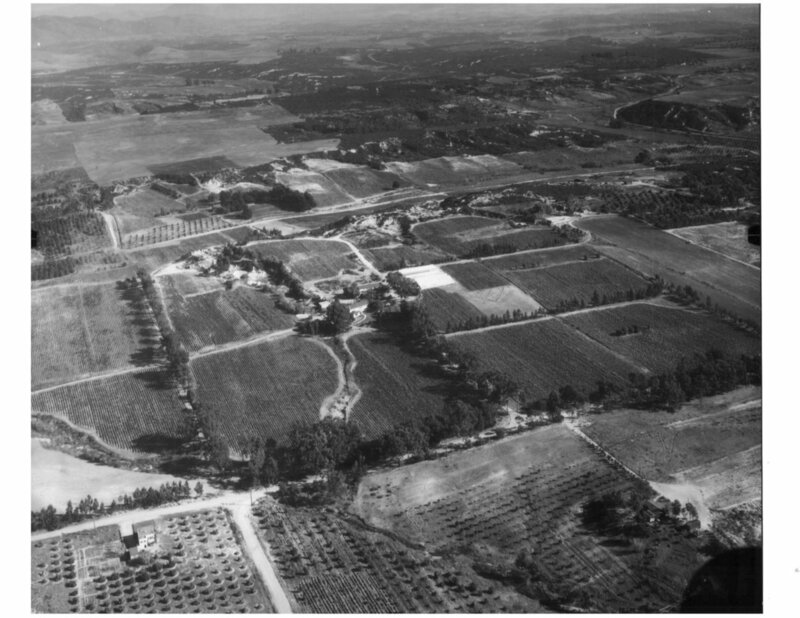 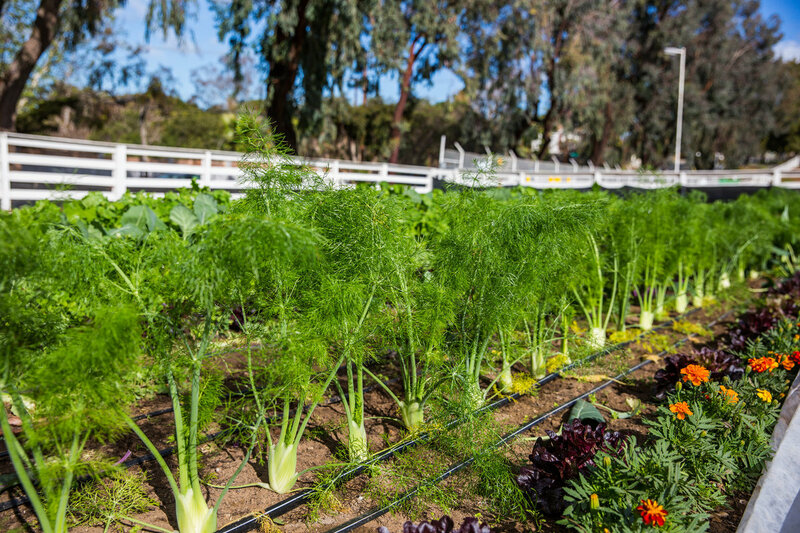 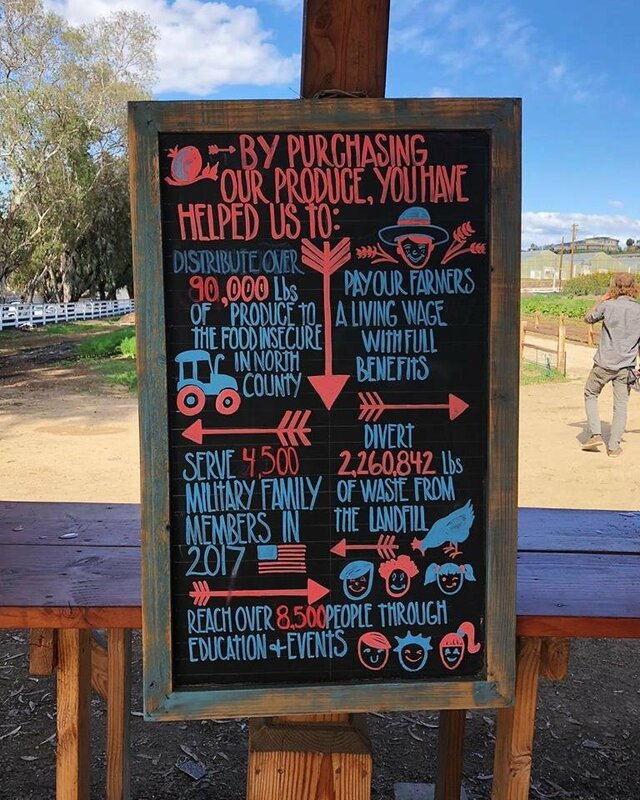 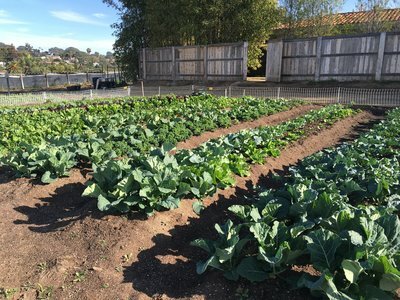 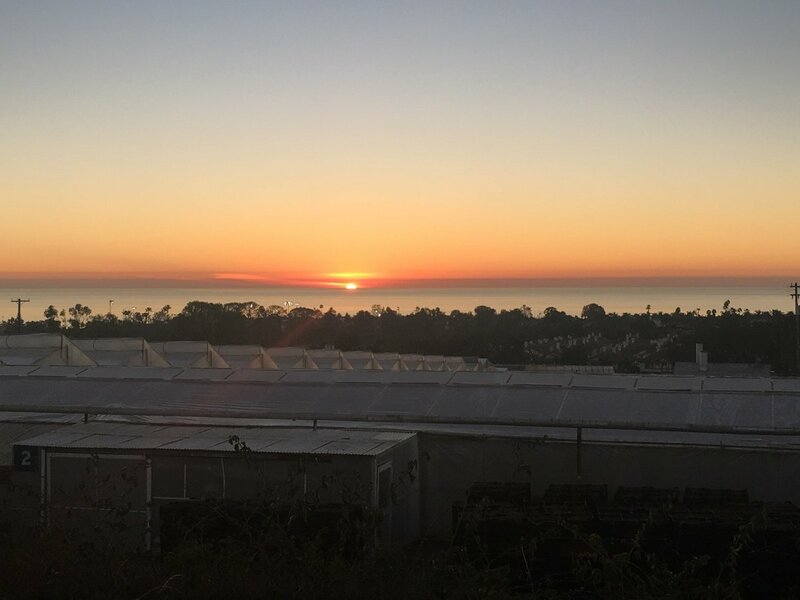 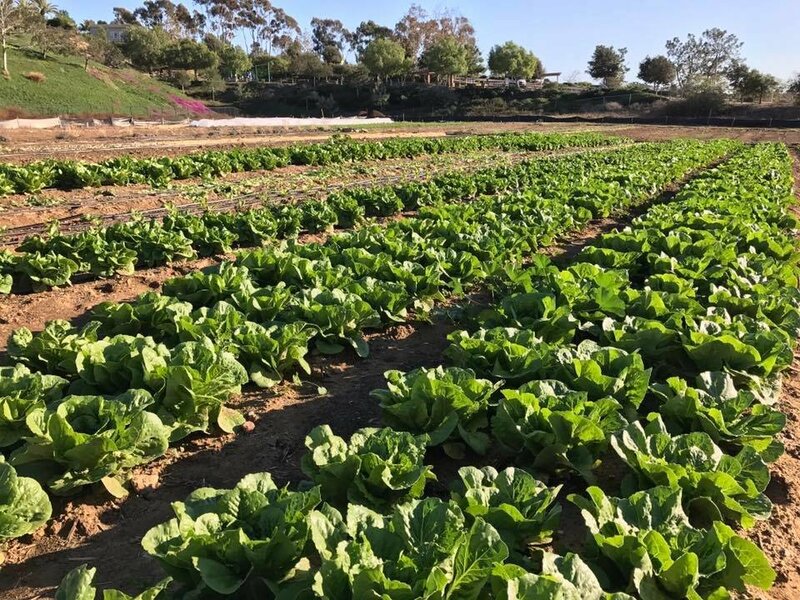 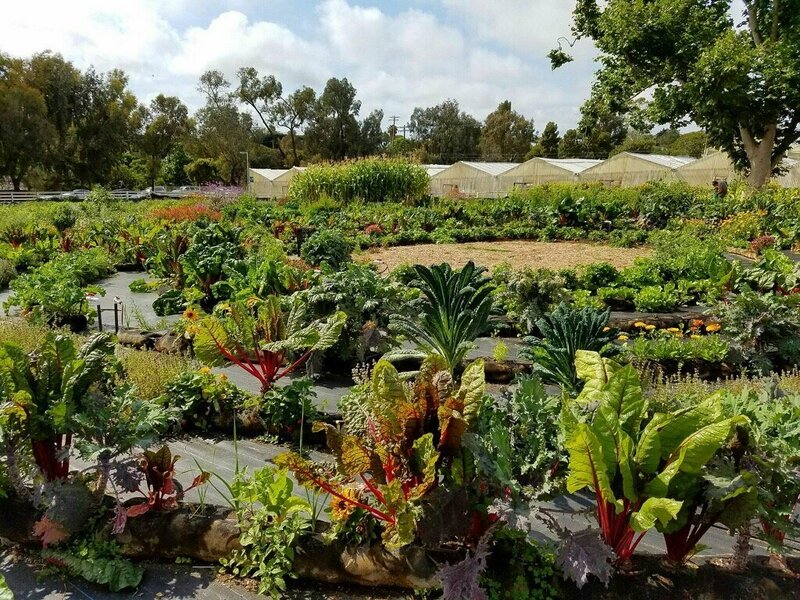 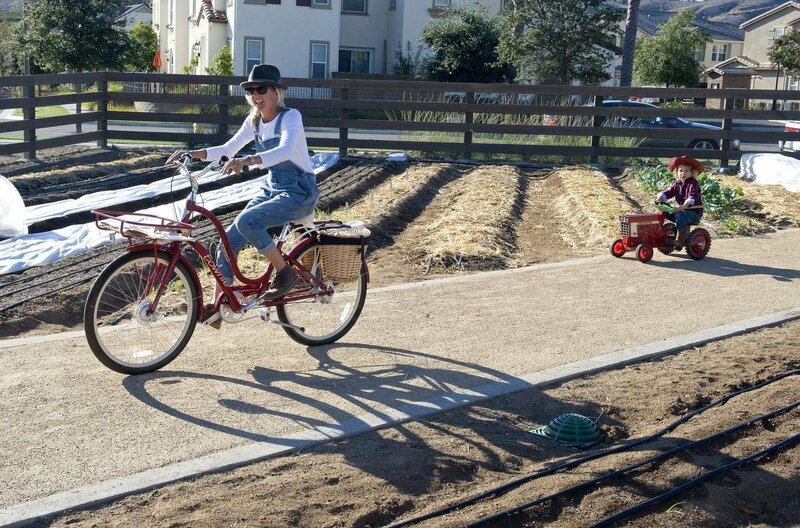 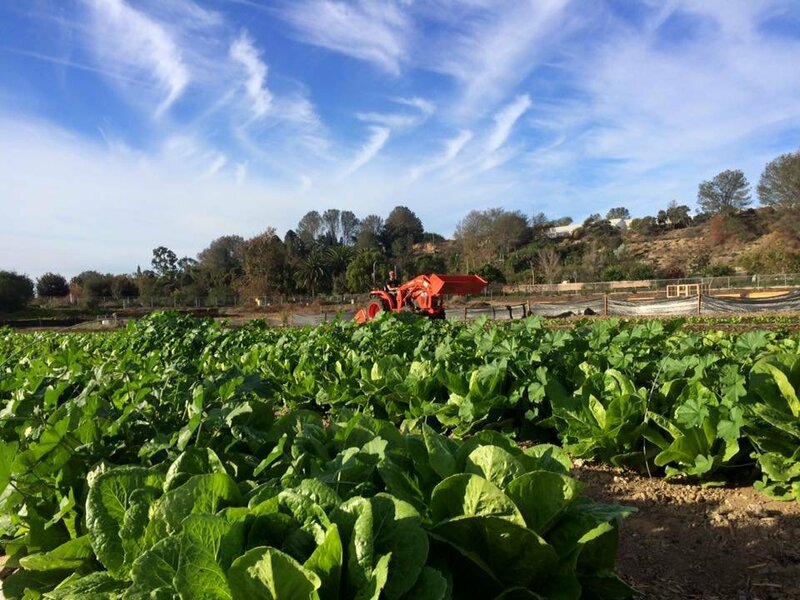 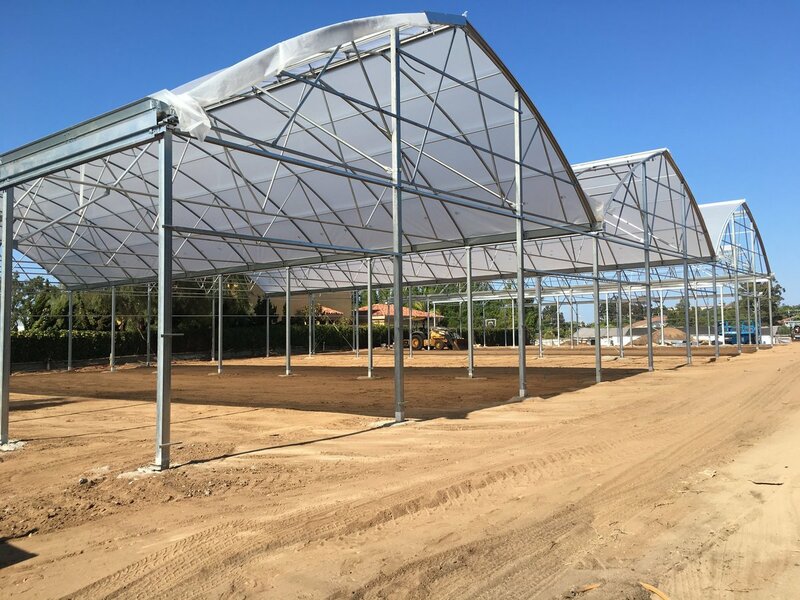 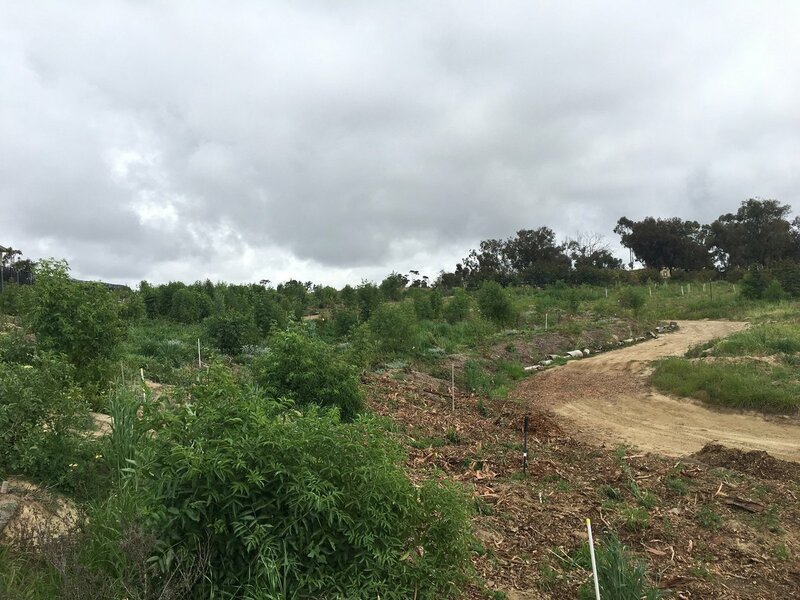 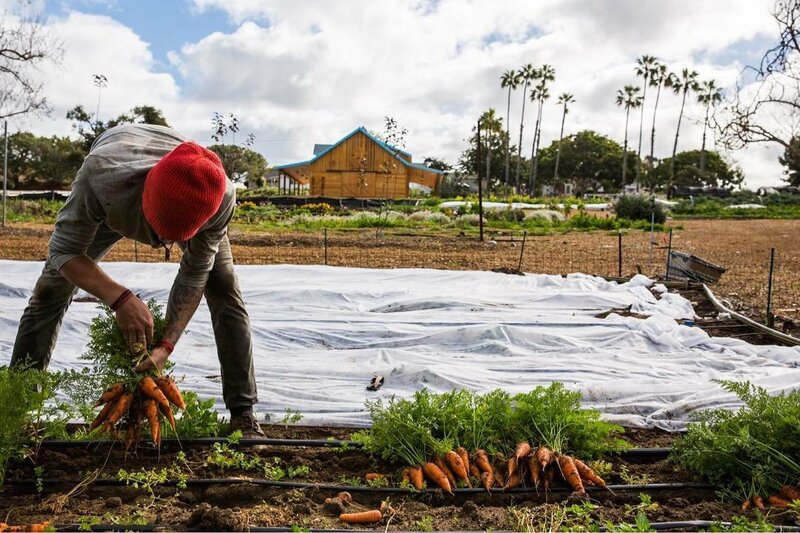 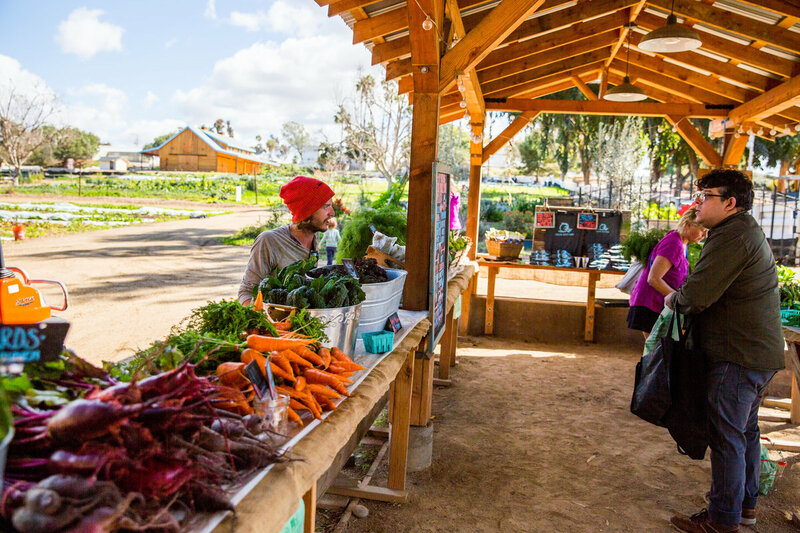 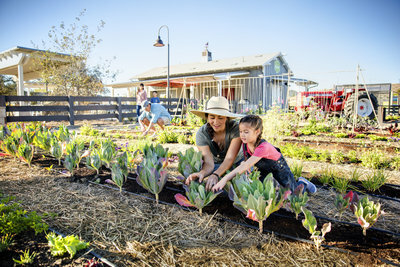 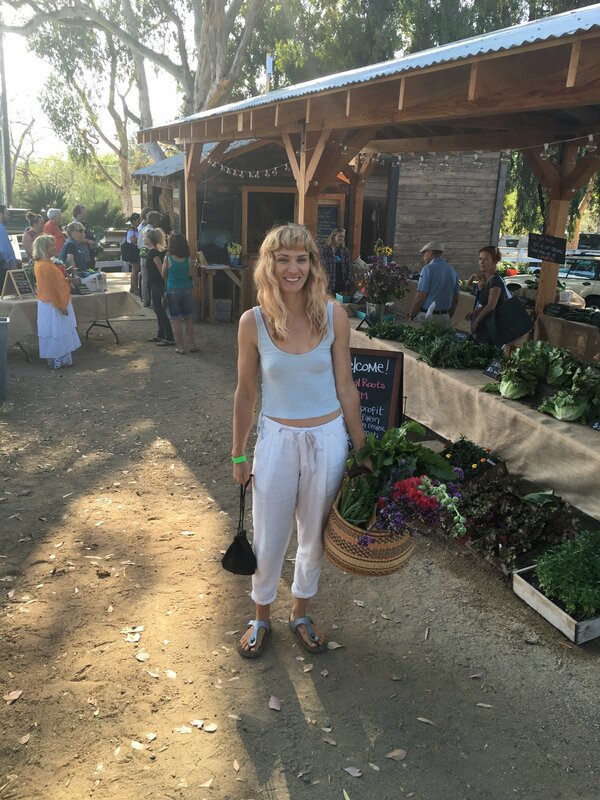 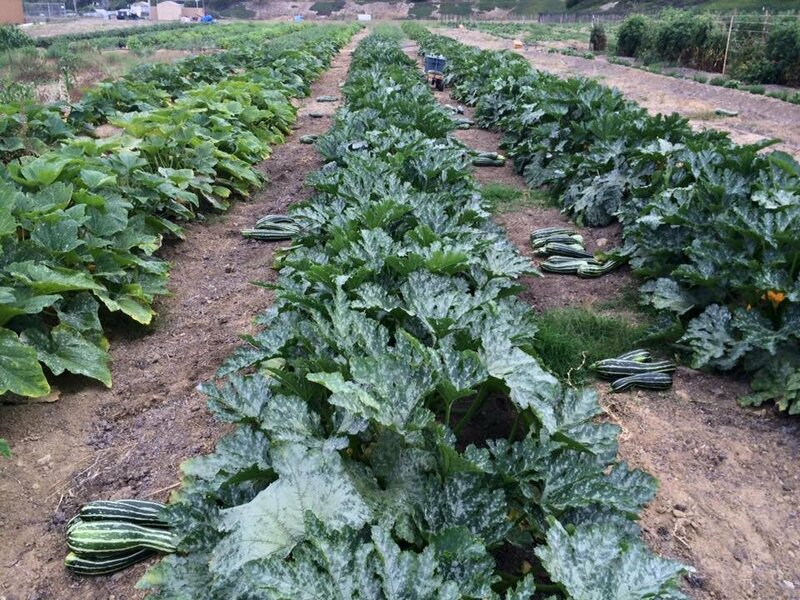 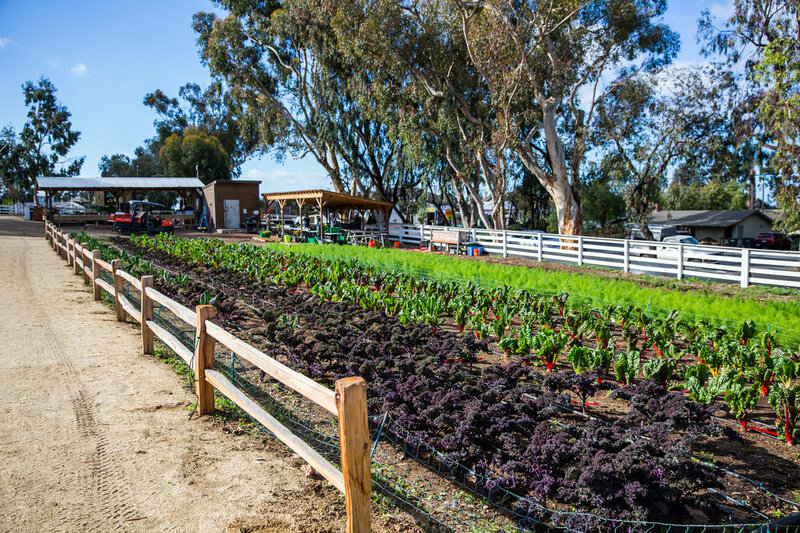 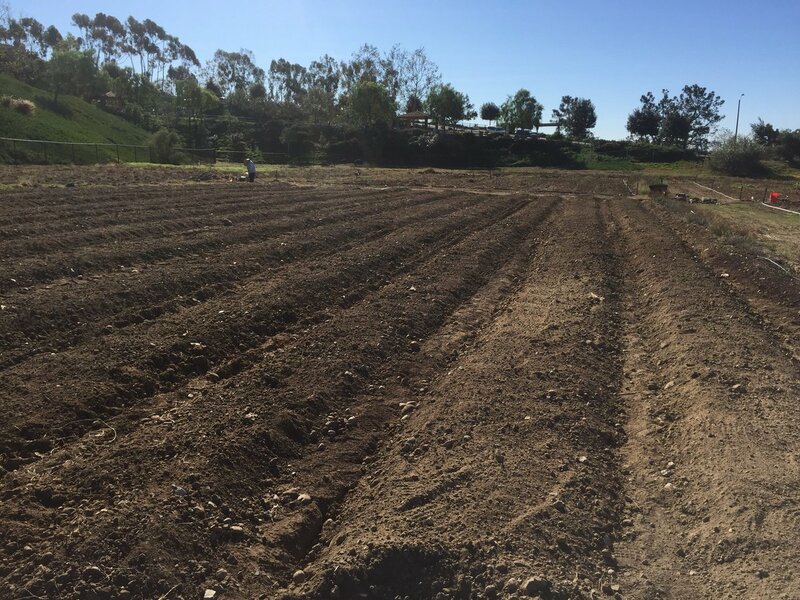 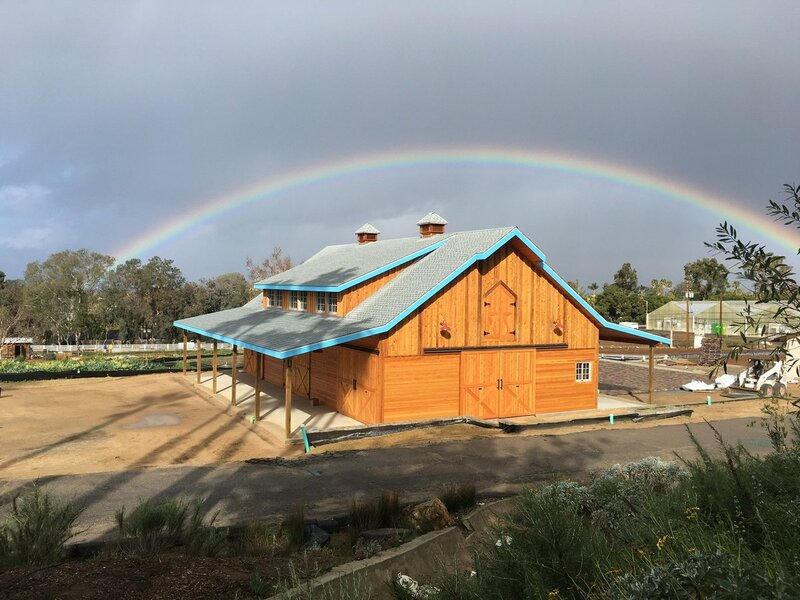 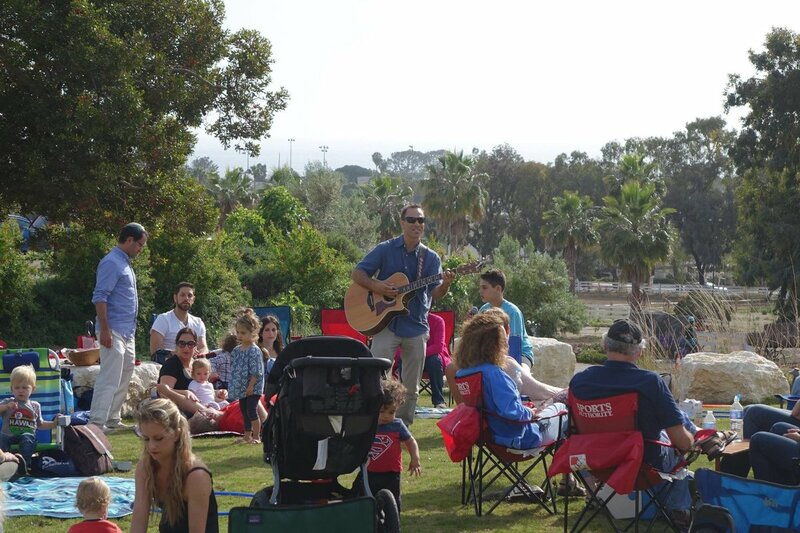 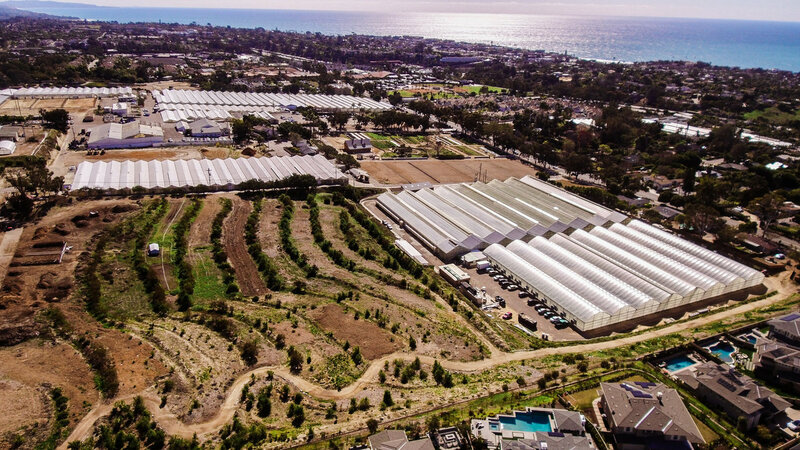 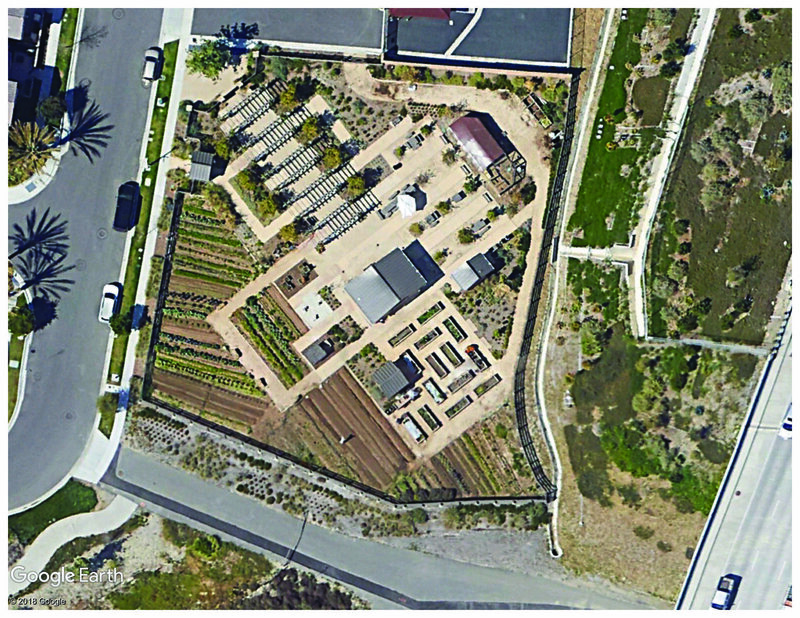 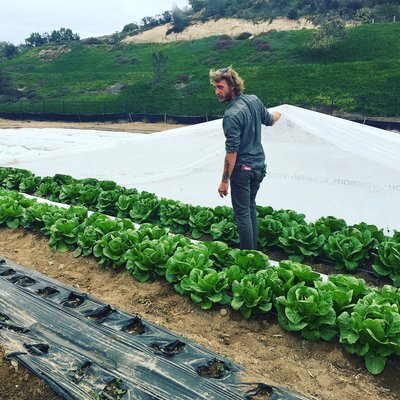 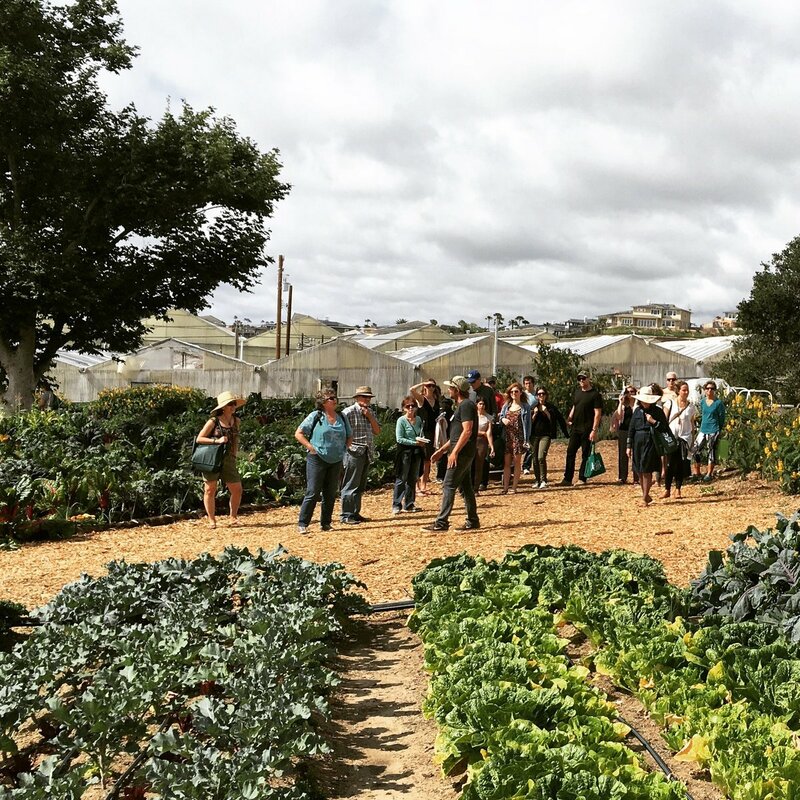 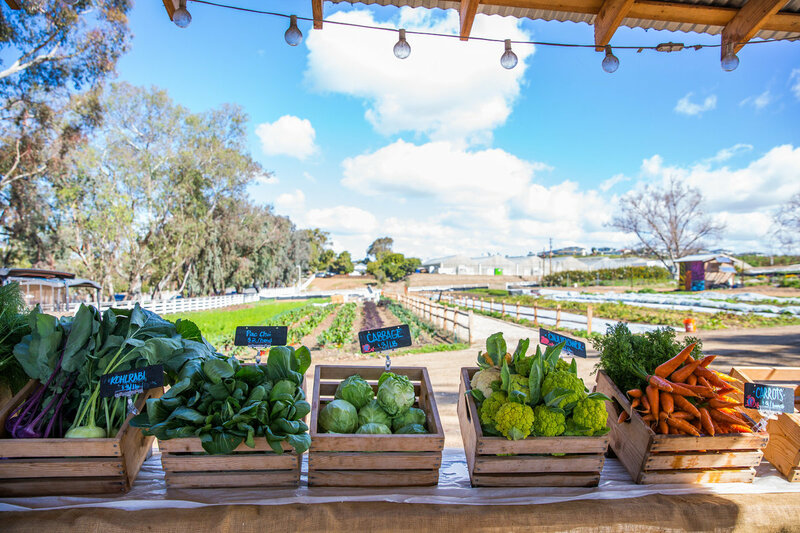 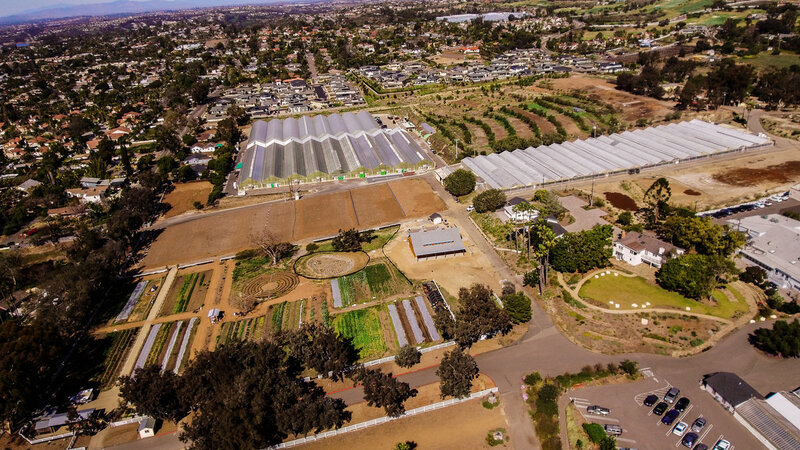 In 2013 Farmer D Consulting was hired by the Leichtag Foundation to lead a community visioning process to inspire a new Jewish Community Farm on the Foundation's 67.5 acre Leichtag Commons property in the heart of Encinitas, CA. 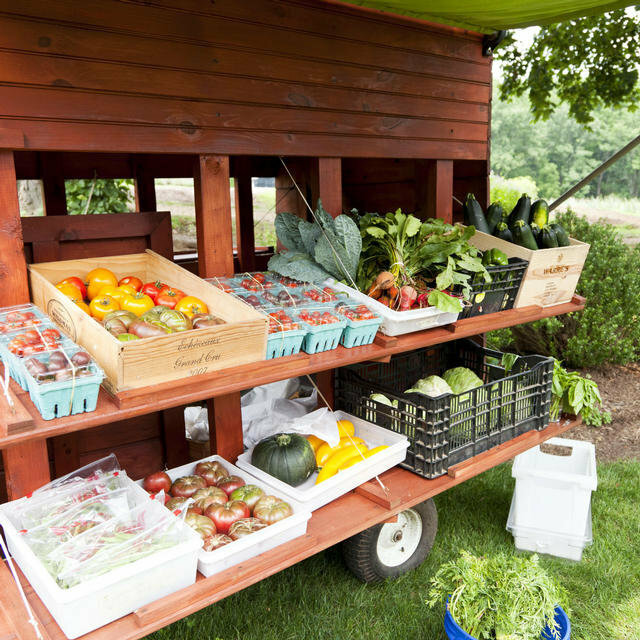 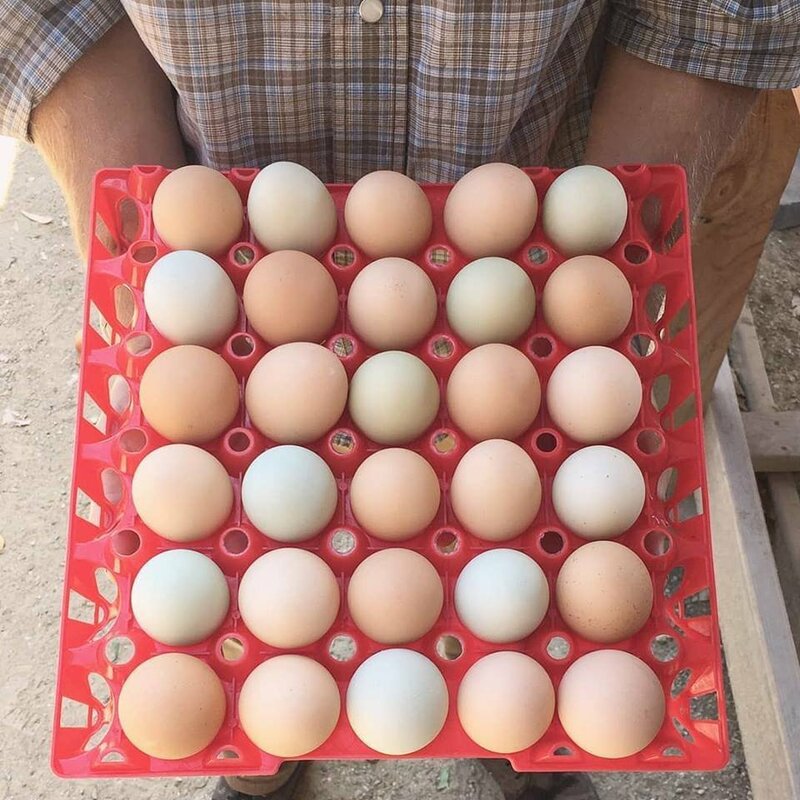 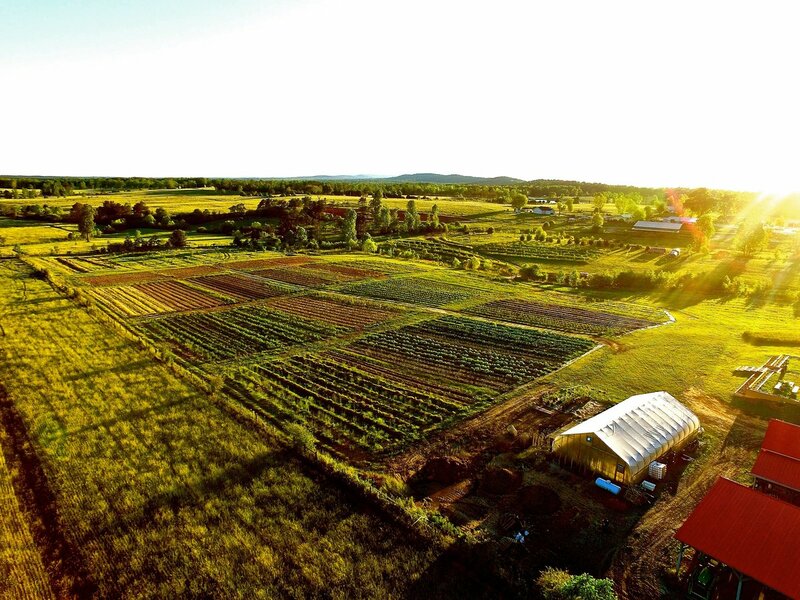 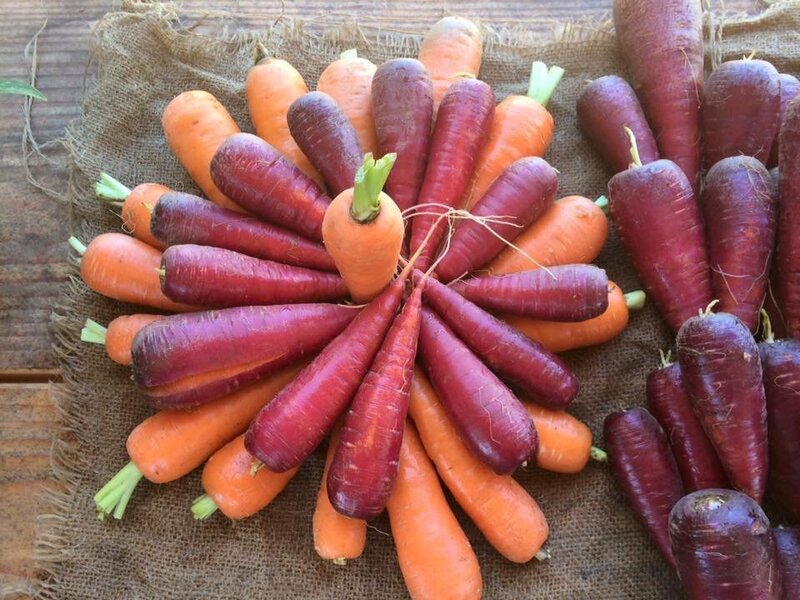 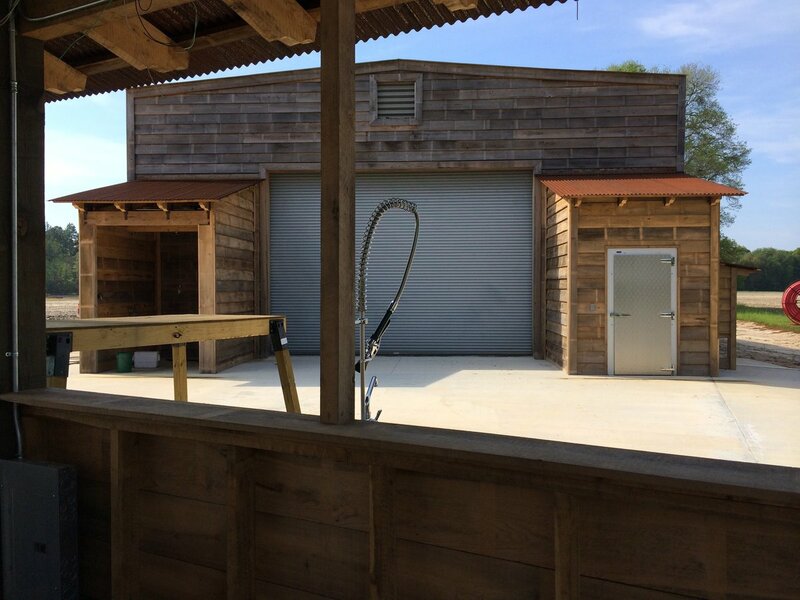 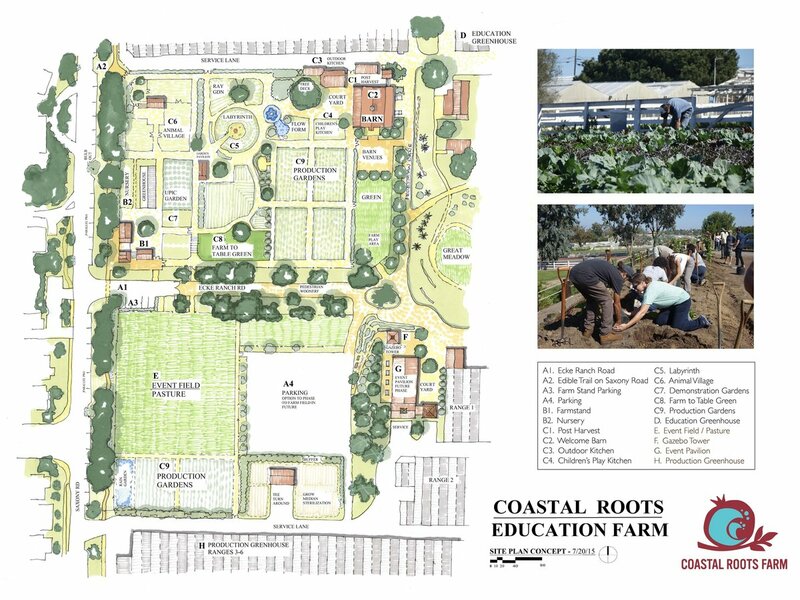 The Coastal Roots Farm program and designs that were completed by Farmer D Consulting in 2015 focused on approximately 15 acres of the overall property and included vegetable production areas, educational gardens, pay-what-you-can farm stand, barn, food forest trail, silvopasture, vineyard, biblical garden and an animal husbandry and compost operation. 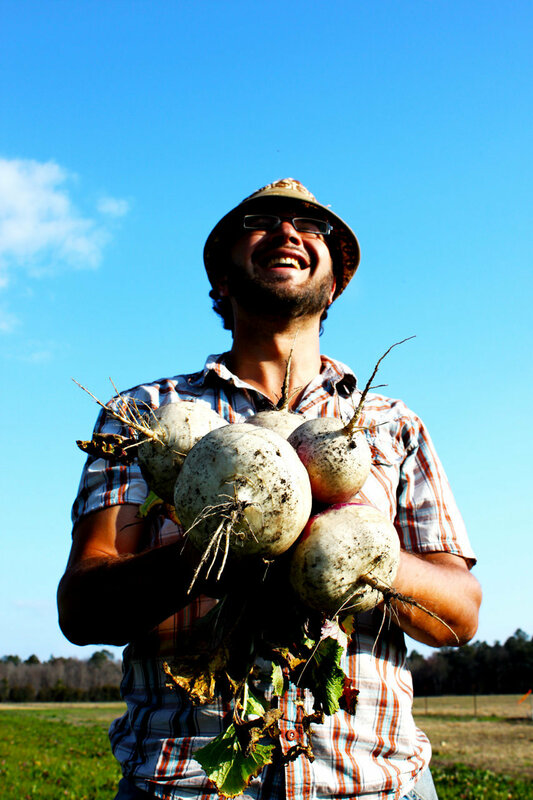 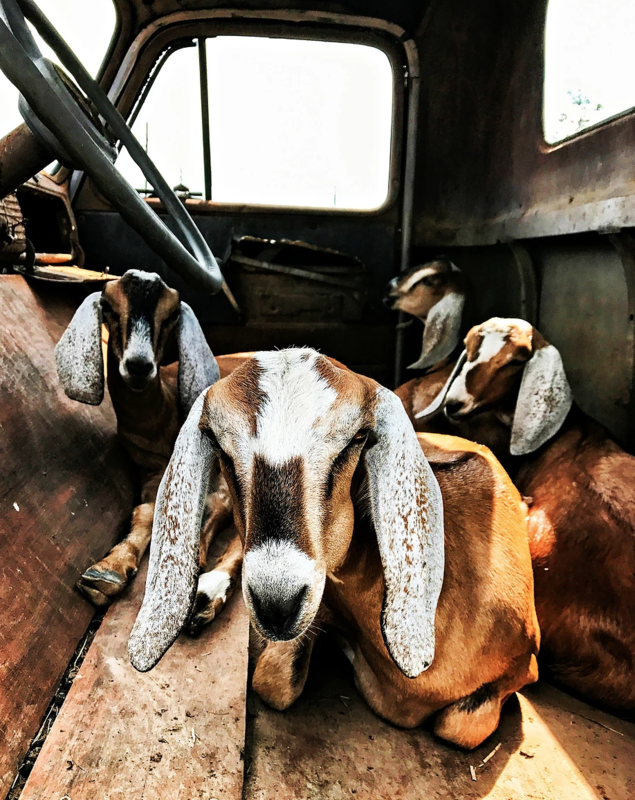 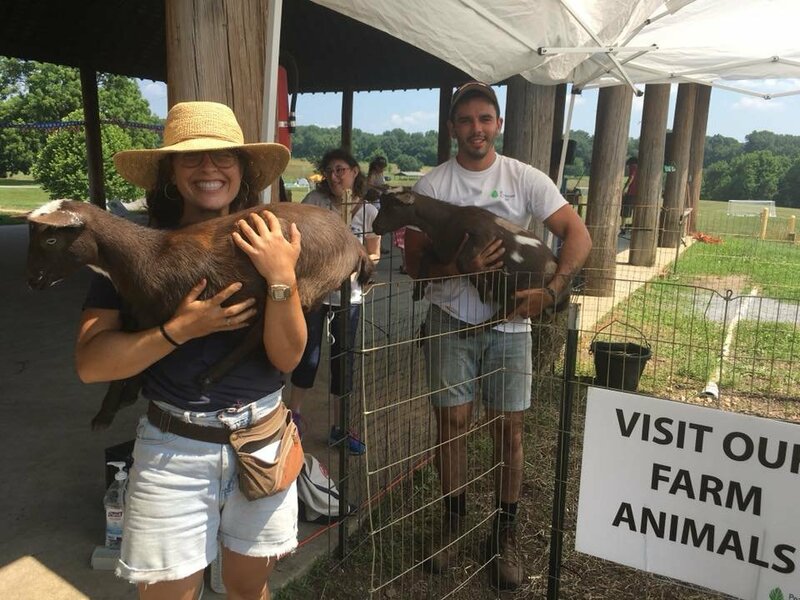 In 2018 Farmer D transitioned out of being the Founding Director and Board President of Coastal Roots Farm after helping to hire a full time Executive Director, Javier Guererro and Farm Manager, Adam McCurdy. 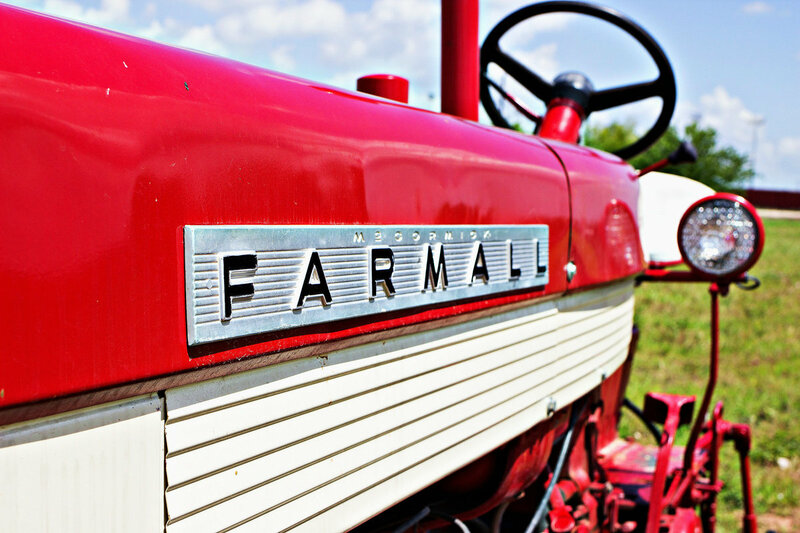 Farmer D continues to consult for the farm and has a design studio on site. 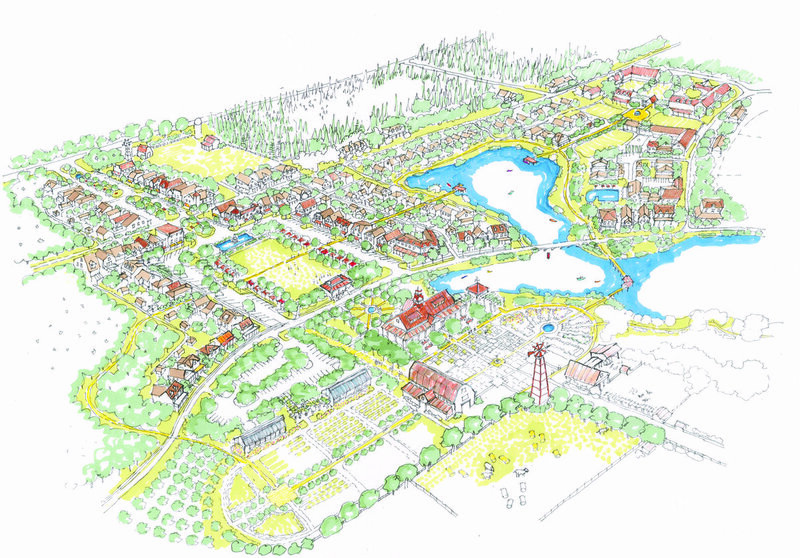 After giving a talk on "Agriculture - The New Golf" at a ULI Spring Meeting in Charlotte, NC in around 2008 Farmer D was hired by Johnson Development Company in Houston, Texas to assess several of their large master planned communities for opportunities to integrate farms and/or gardens into the existing master plans. 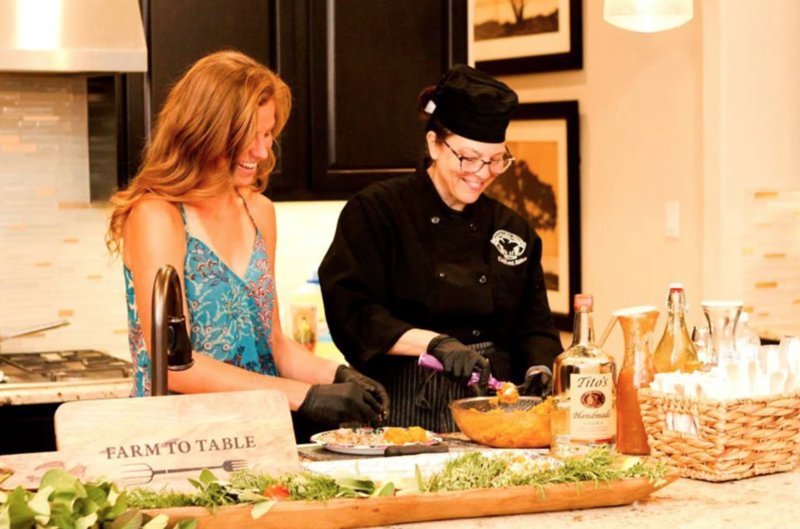 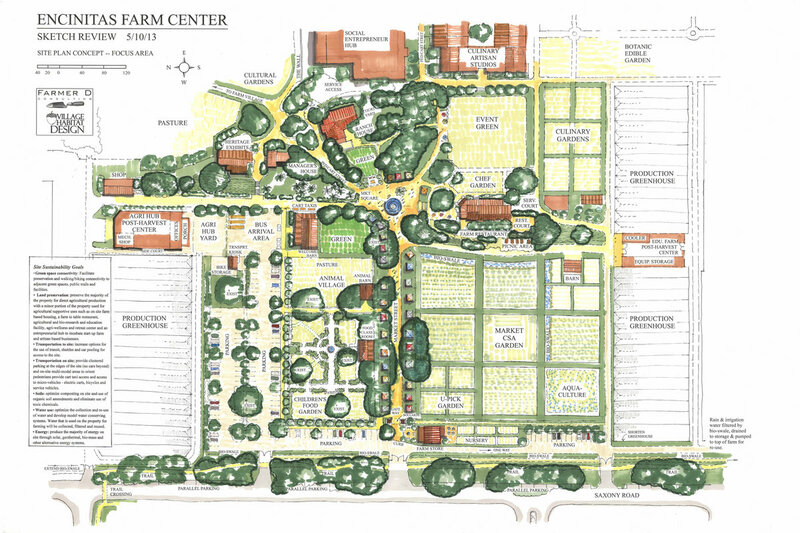 Johnson Development Co. ultimately decided to create a new community themed around a farm and Harvest Green was born. 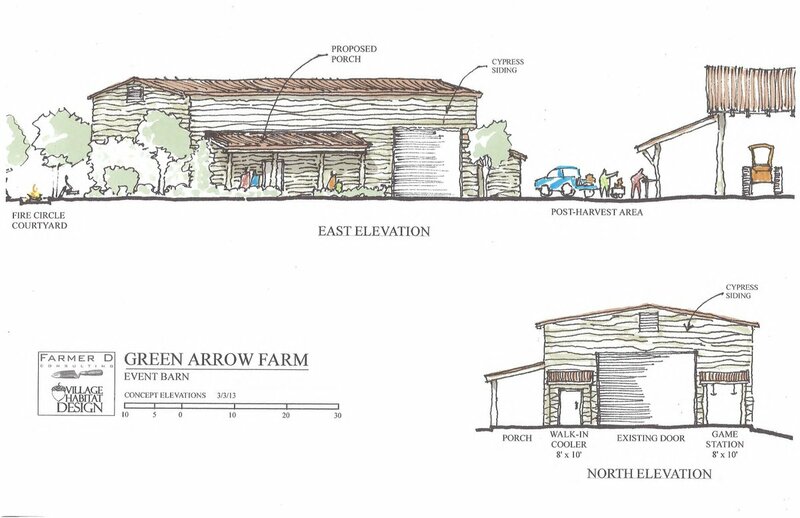 Farmer D Consulting designed the farm and worked with SWA to integrate into the overall community master plan. 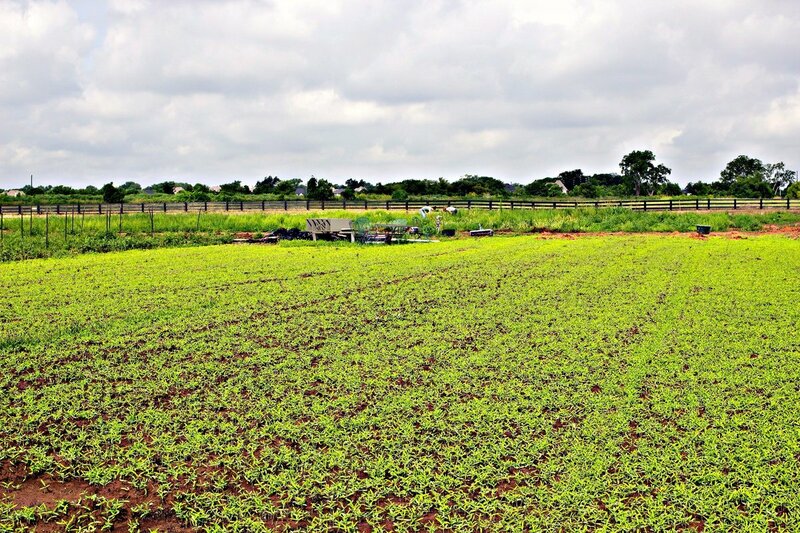 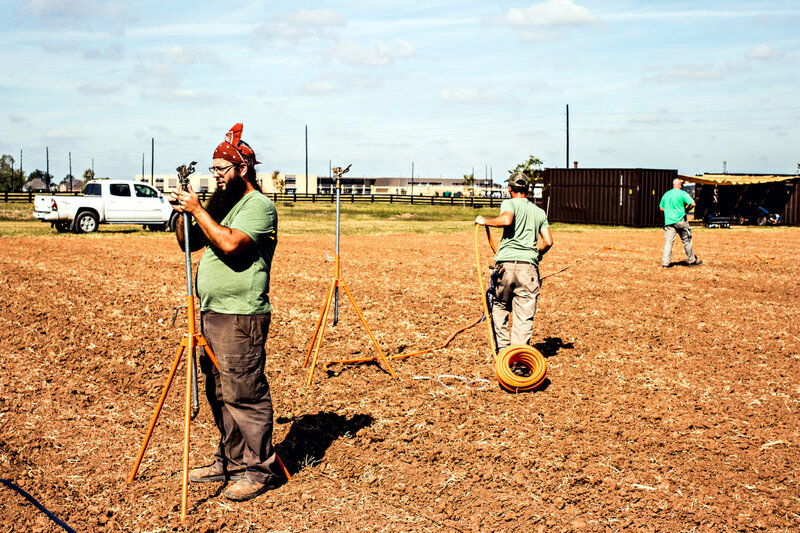 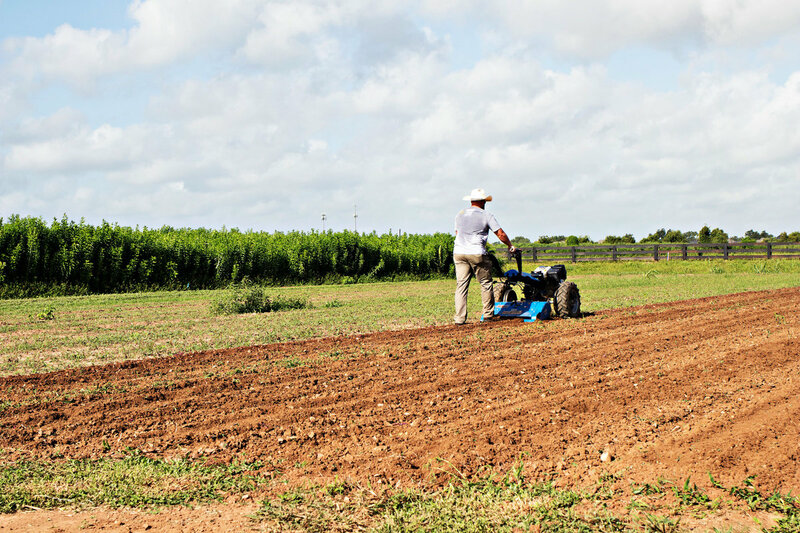 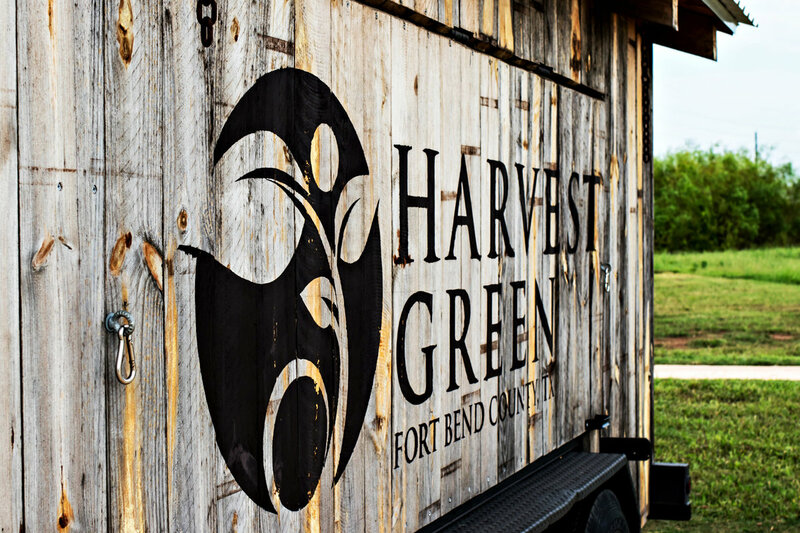 The farm was implemented and is being managed by Agmenity, a local Houston Company and partner of Farmer D Consulting. 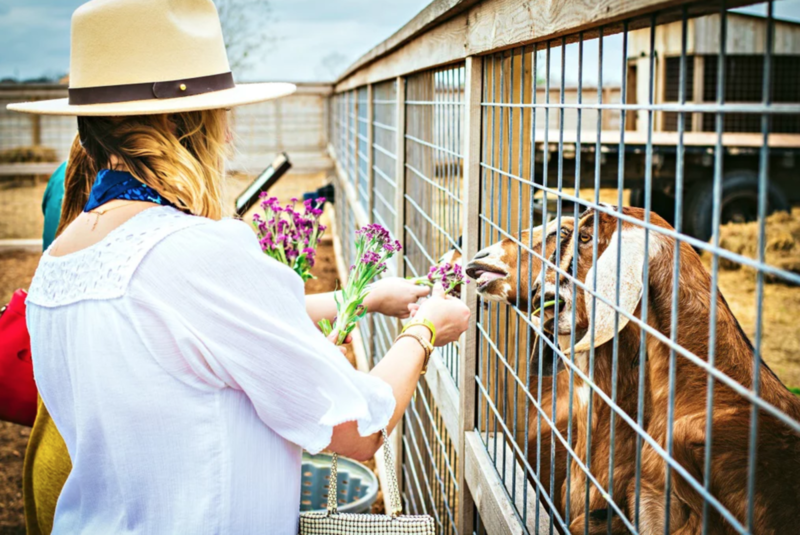 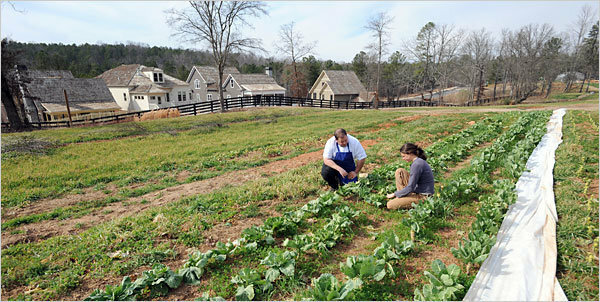 Farmer D was hired in 2002 to be the founding farmer at Serenbe and stayed there for three years establishing Serenbe Farms. 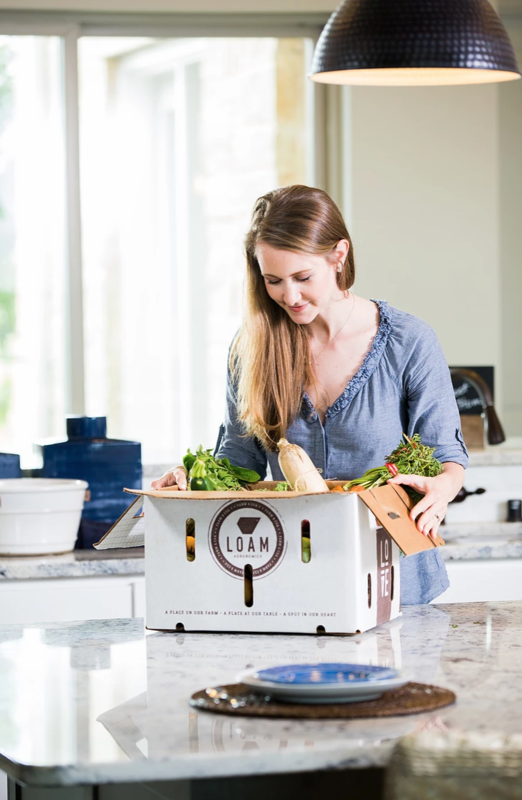 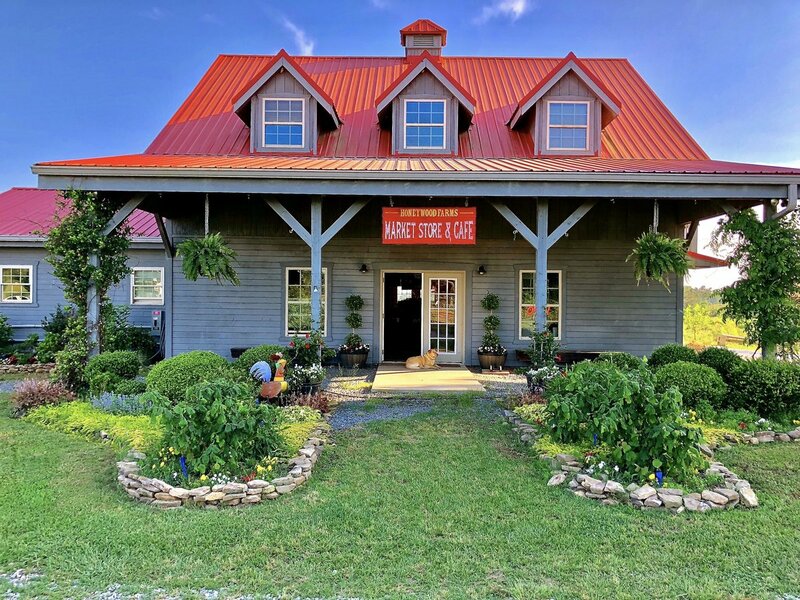 The farm at the time was on 25 acres of land with about 3 acres of intensive vegetable production serving a CSA, restaurants and farmers markets throughout Atlanta. 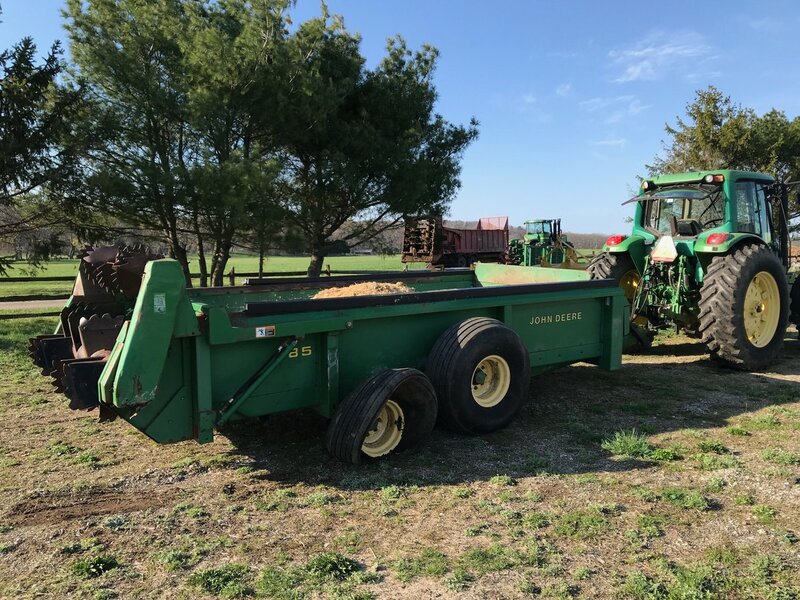 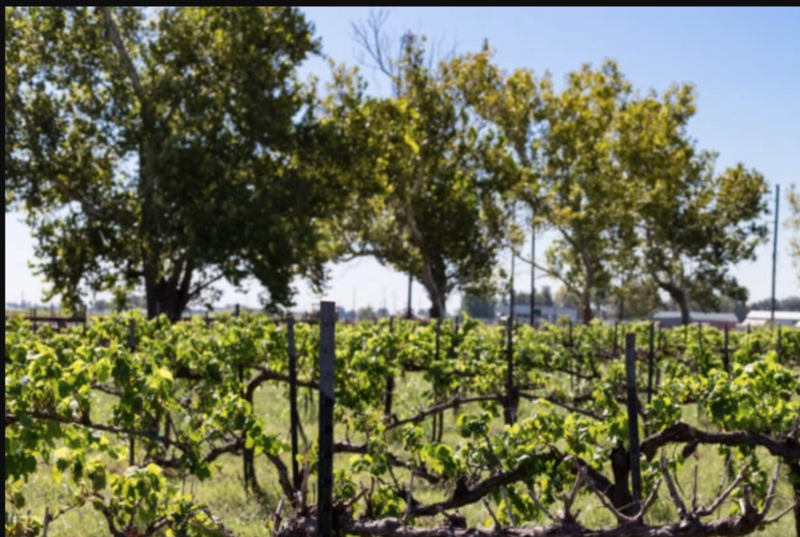 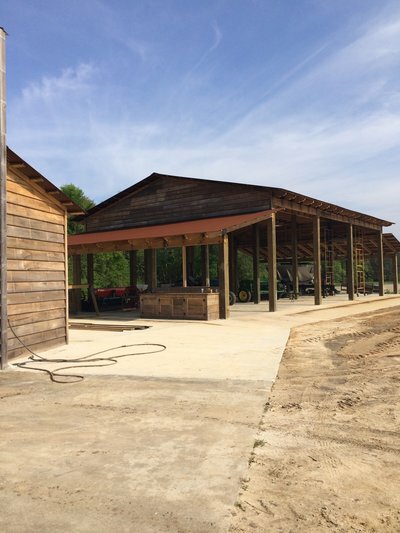 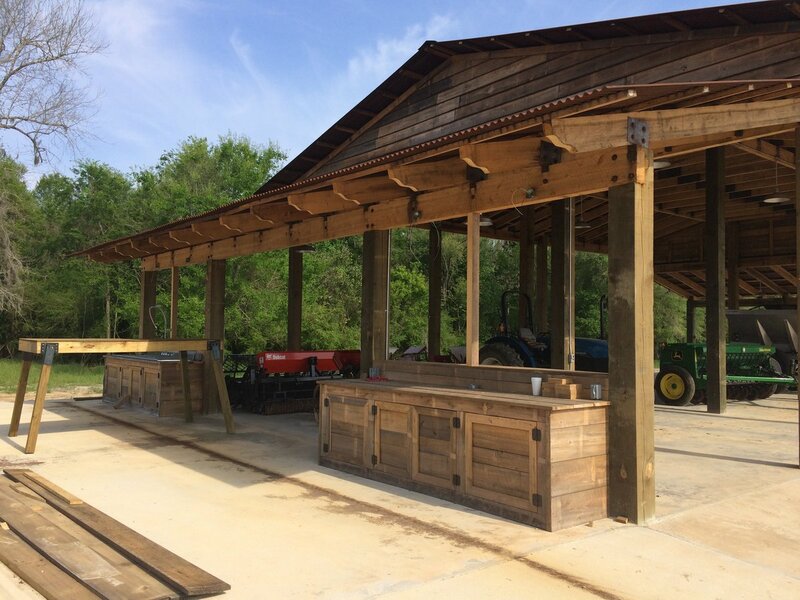 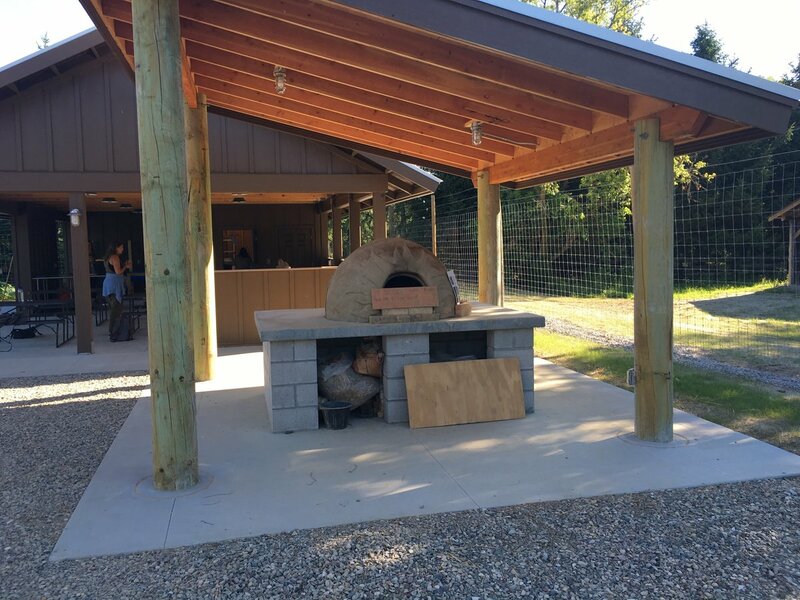 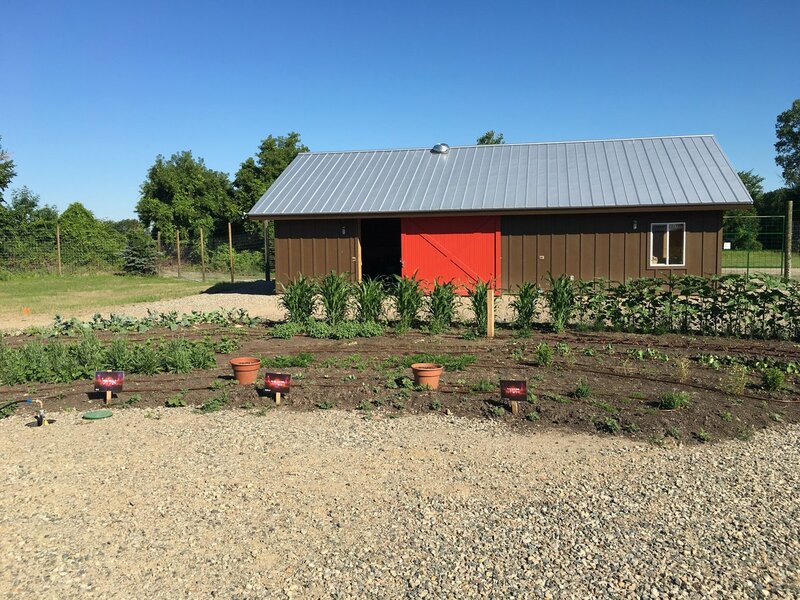 In the early years, Farmer D laid out the fields, amended the heavy clay soils, installed the irrigation system, installed fencing and built the post harvest structure with cooler, sourced equipment, ran programs and managed staff and apprentices. 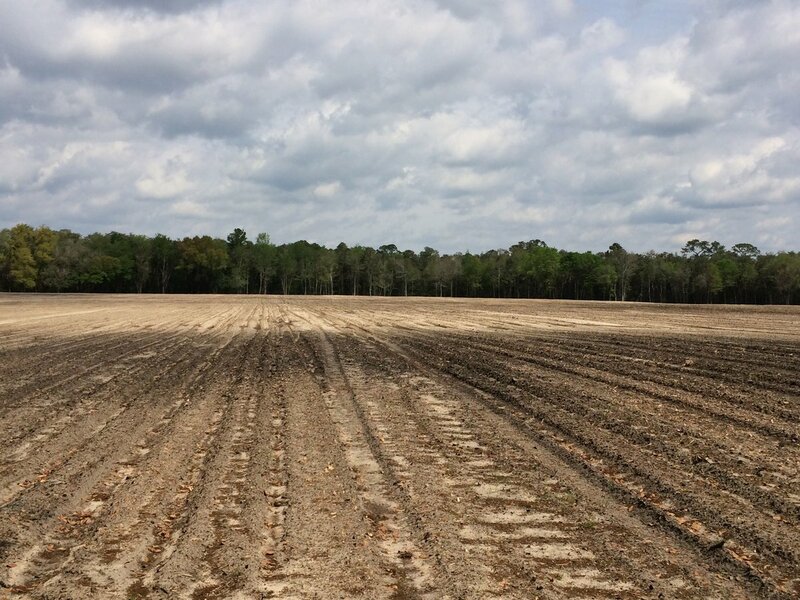 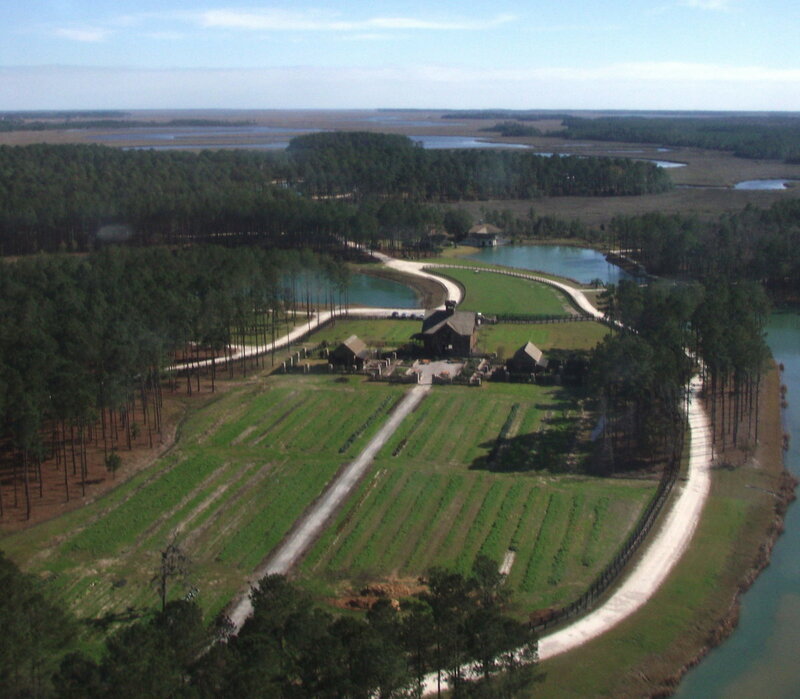 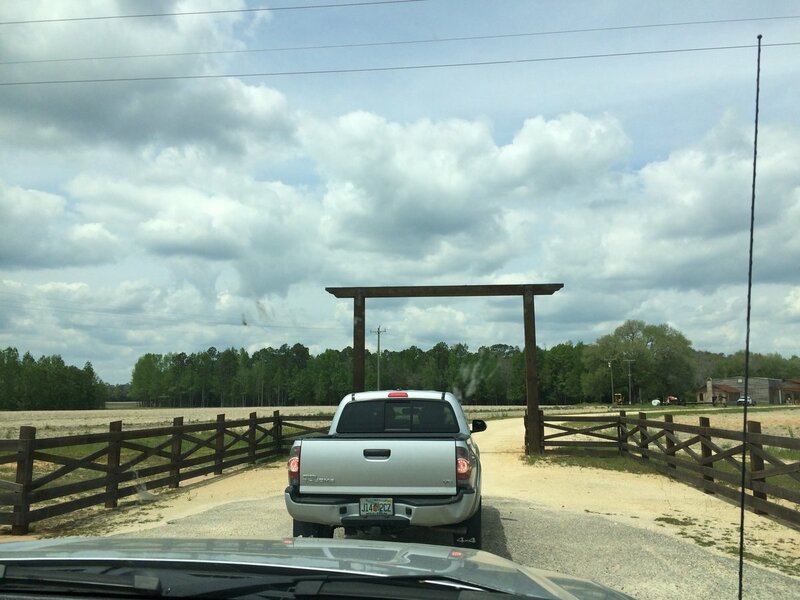 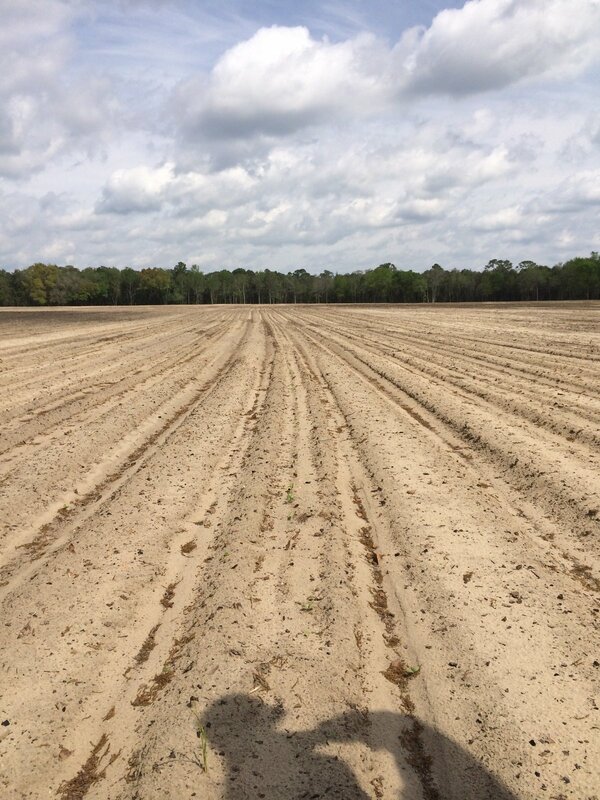 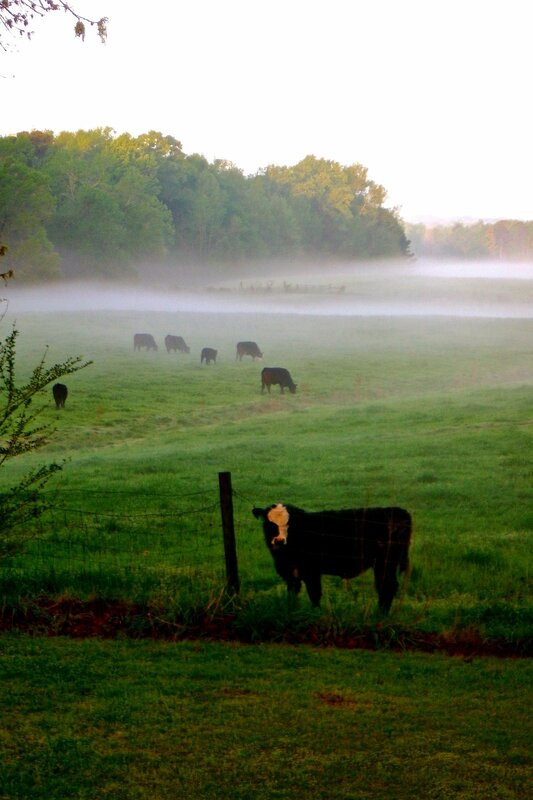 In 2005, Farmer D was recruited to assist with the development of a new farming project near Savannah, GA called Hampton Island Preserve and assisted with the hiring and on-boarding of Paige Witherington as the new farm manager. 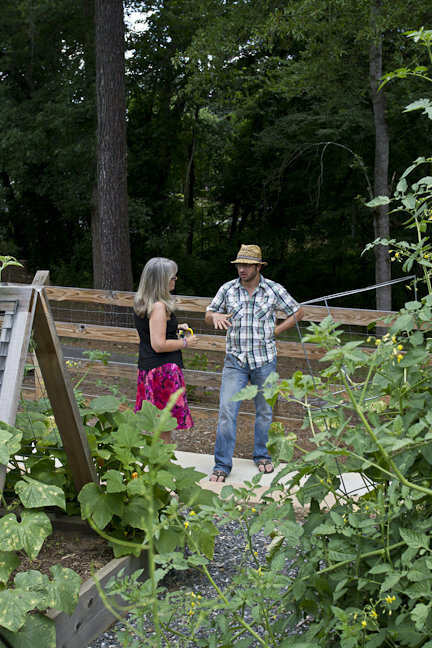 Farmer D has stayed connected with Serenbe and visits there often with his Atlanta family. 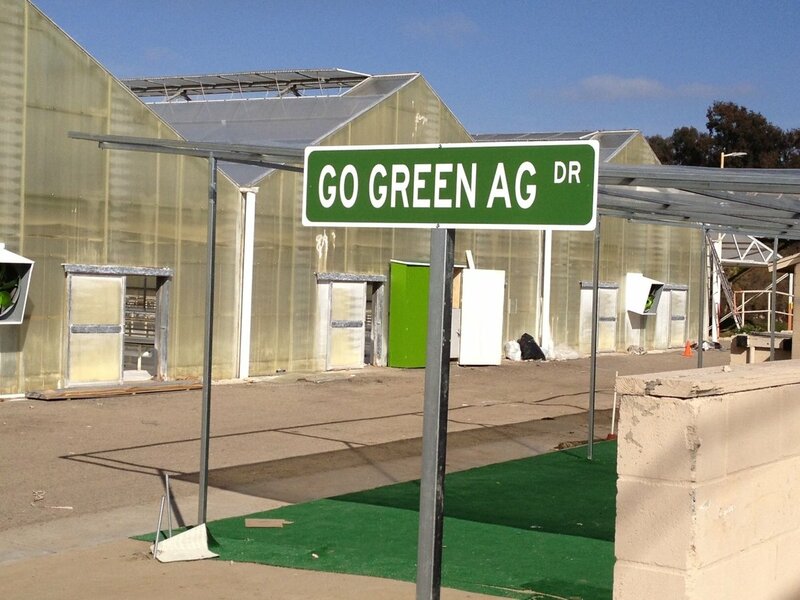 After giving a talk entitled "Agriculture - The New Golf" at a Vine Salon in Northern California in 2012, Farmer D was approached by a Design Principle at Valley Crest Design Group (now Brightview). 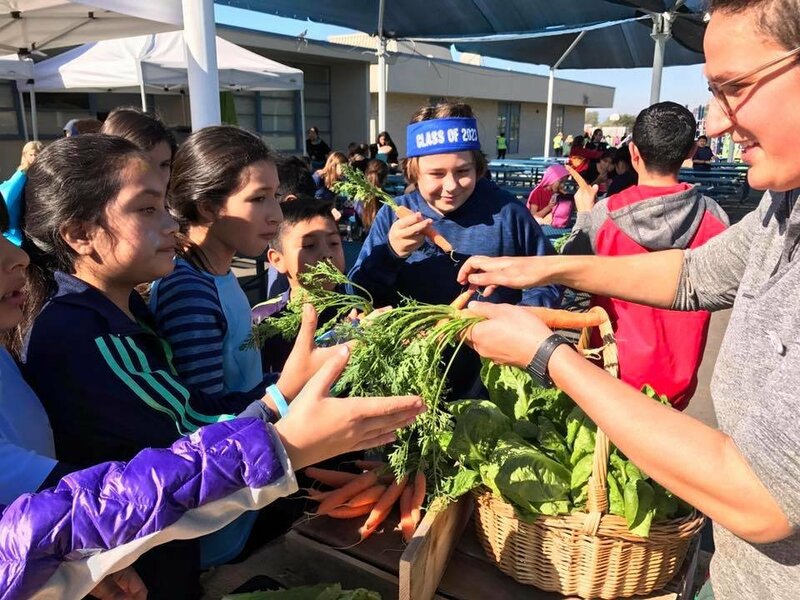 He invited Farmer D to participate in a Think Tank with their company to explore how they could be at the forefront of the growing trend of bringing food production into urban and suburban communities. 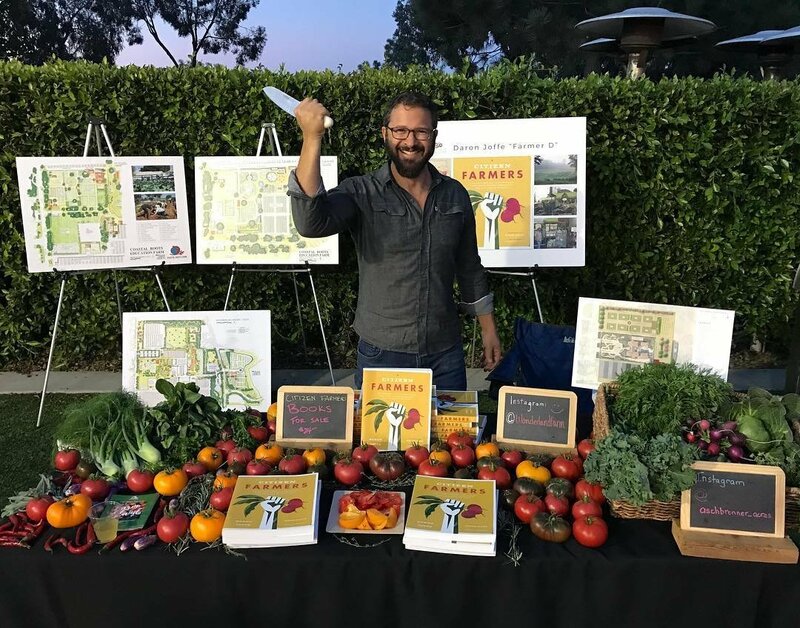 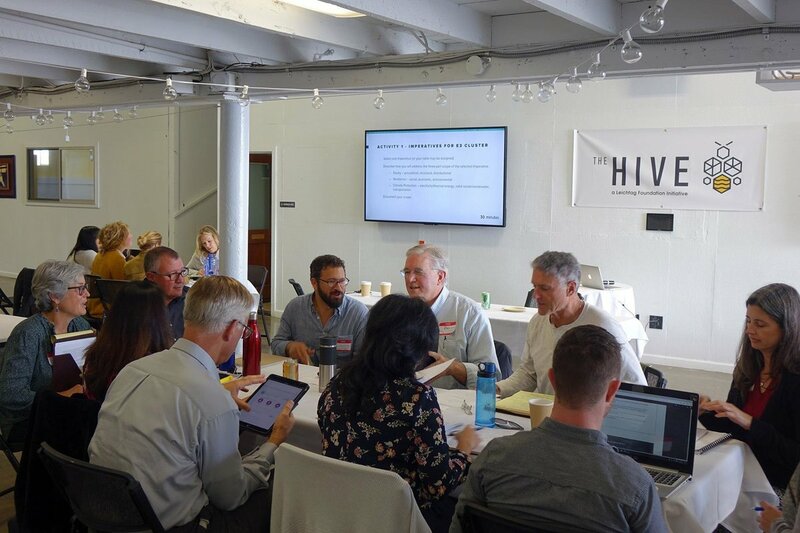 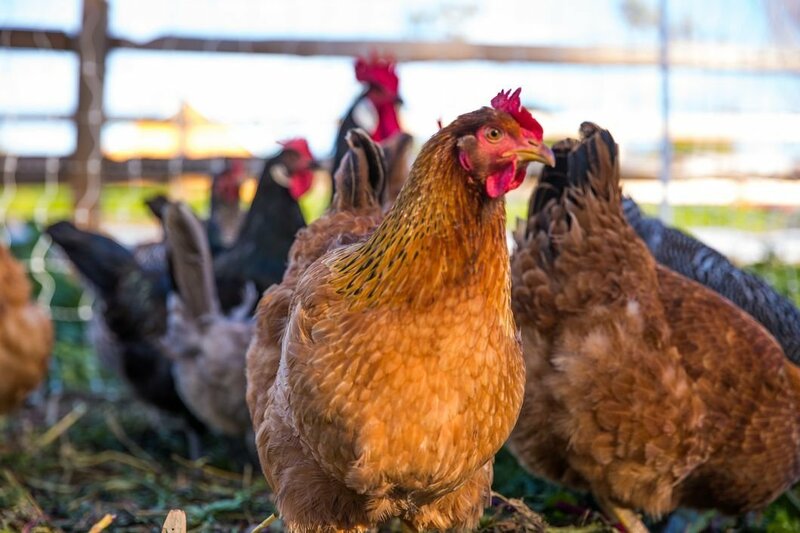 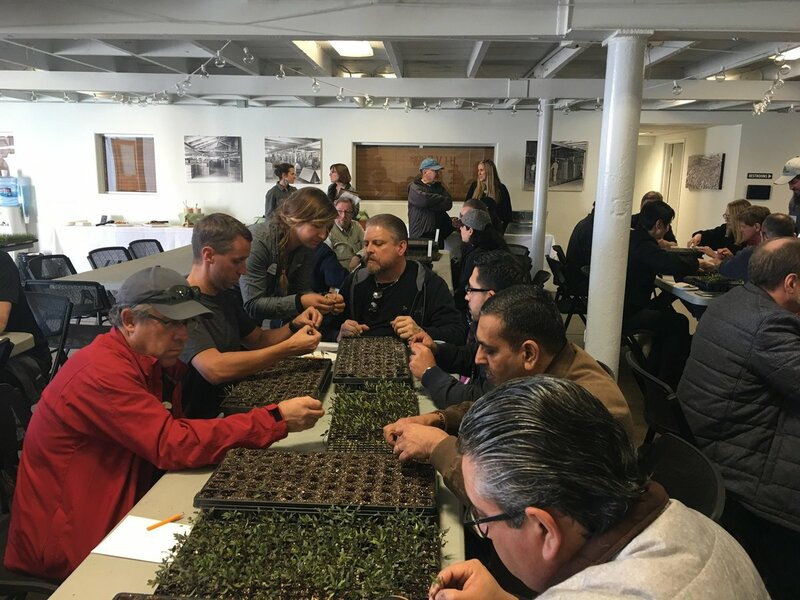 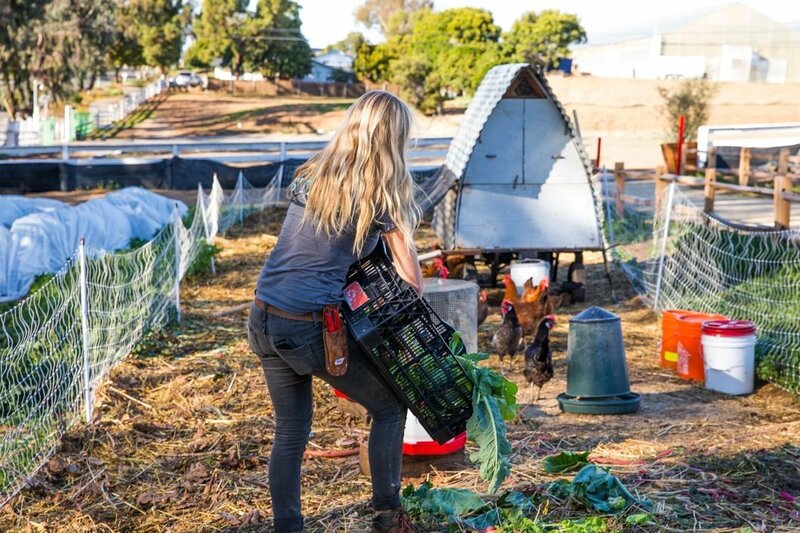 After a few think tank sessions Valley Crest and Farmer D approached a few of Valley Crest's larger clients including Rancho Mission Viejo (RMV) about integrating farms into their communities. 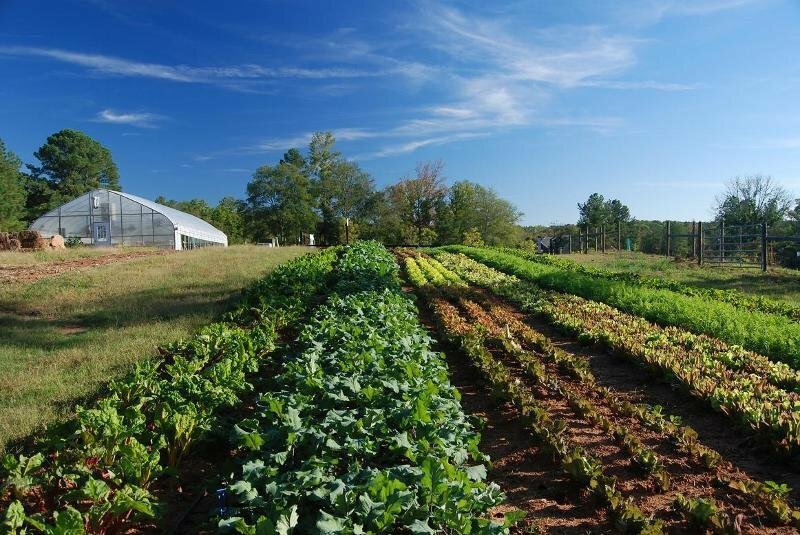 RMV was quick to act as it was a natural fit with their rich agricultural heritage and vision for creating healthy communities. 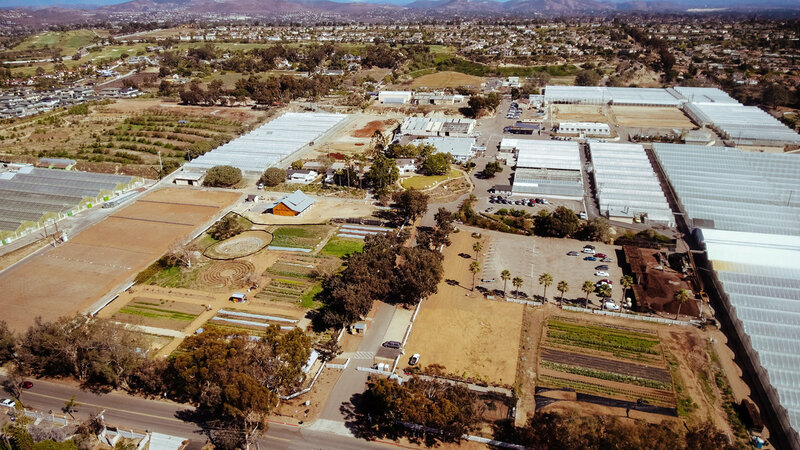 Farmer D worked with Valley Crest and RMV to help design and build Sendero Farms and worked with IMA Design Group on Esencia Farm. Farmer D continues to work with RMV as they look to build on their farming program in new planning areas. 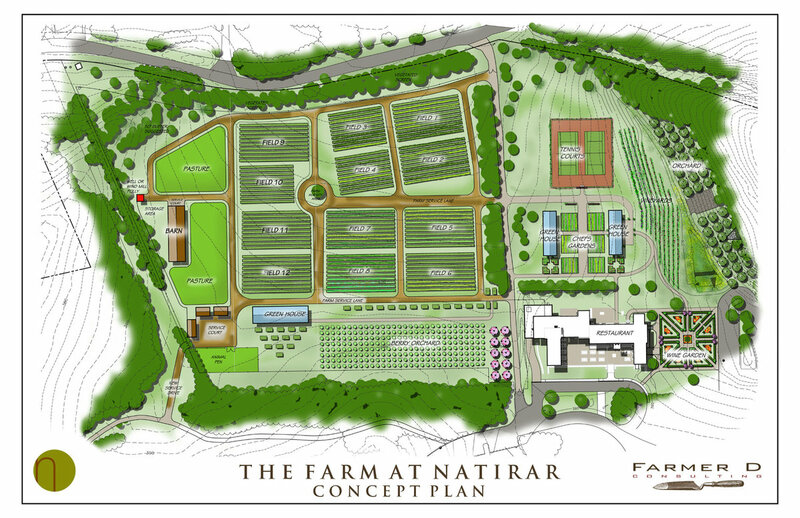 In 2008, while running the farm at Hampton Island Preserve, a long time friend Ronny Bell introduced Farmer D to a new project called Natirar that was taking root in Peapack-Gladstone New Jersey that was being developed as the first luxury Virgin Spa in the US. 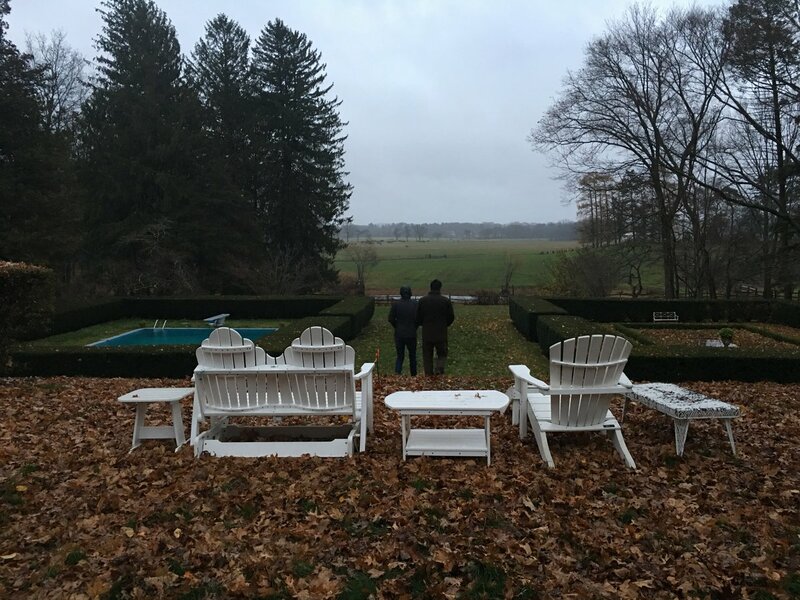 Farmer D was invited by the founder Bob Wojtowicz to see the property and propose a consulting agreement to help design and build the farm. 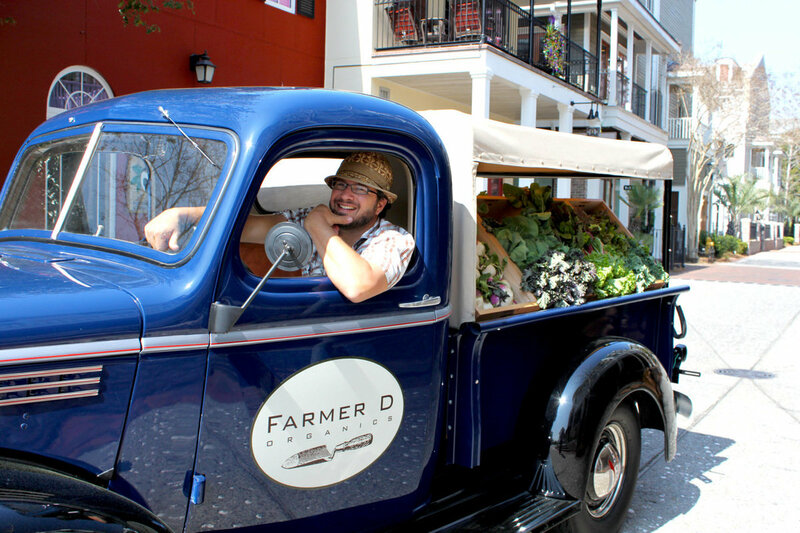 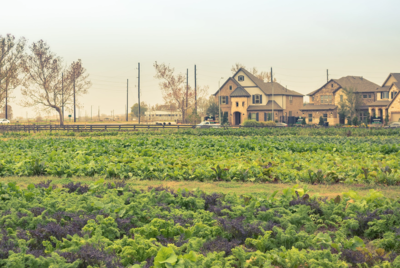 Farmer D helped design and kickstart the farm in 2009 and continues to play a management consulting role and is in the process of redesigning the farm now that it is expanding with the addition of a Pendry Hotel, Spa and Agrihood Residences. 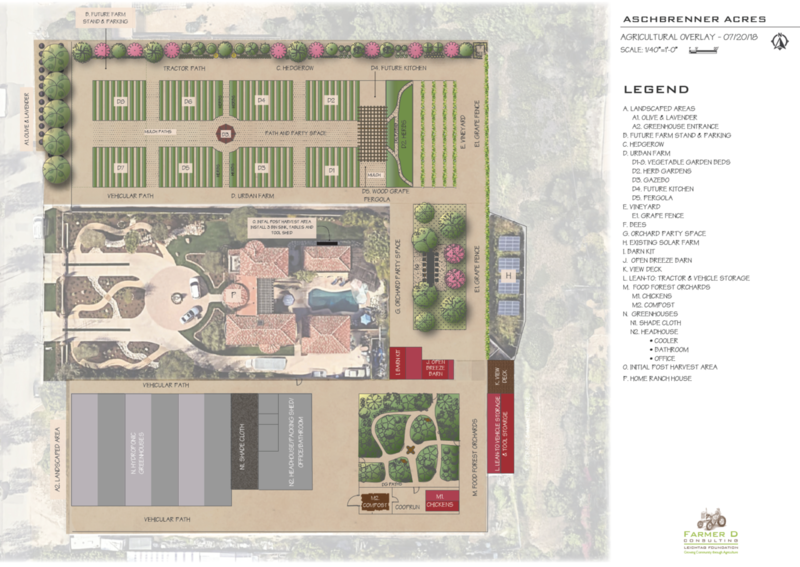 Natirar is currently comprised of Ninety Acres Restaurant, Cooking School, Club with fitness center and pool and the Mansion Event Venue with the hotel and spa opening scheduled for 2020. 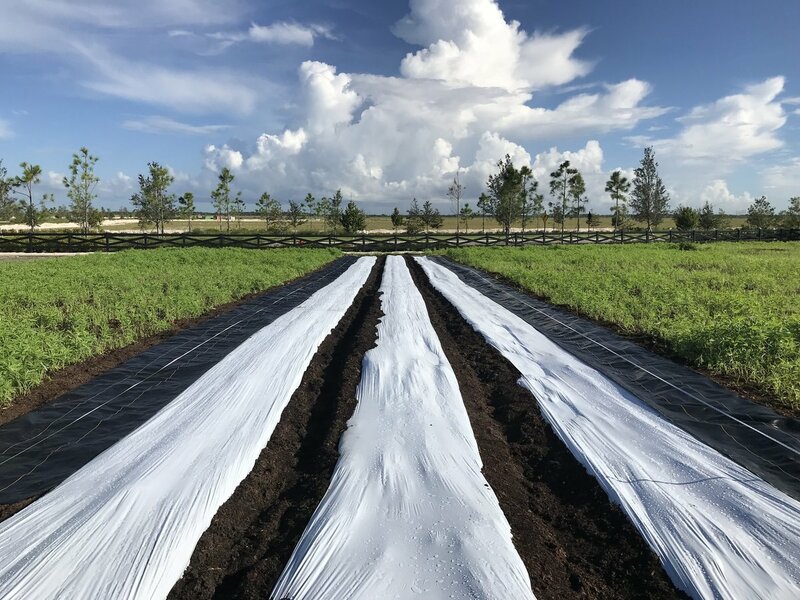 Farmer D Consulting was hired by Freehold Communities in 2014 to assist with the program and design for the farm at Arden, a new agrihood in West Palm Beach, FL. 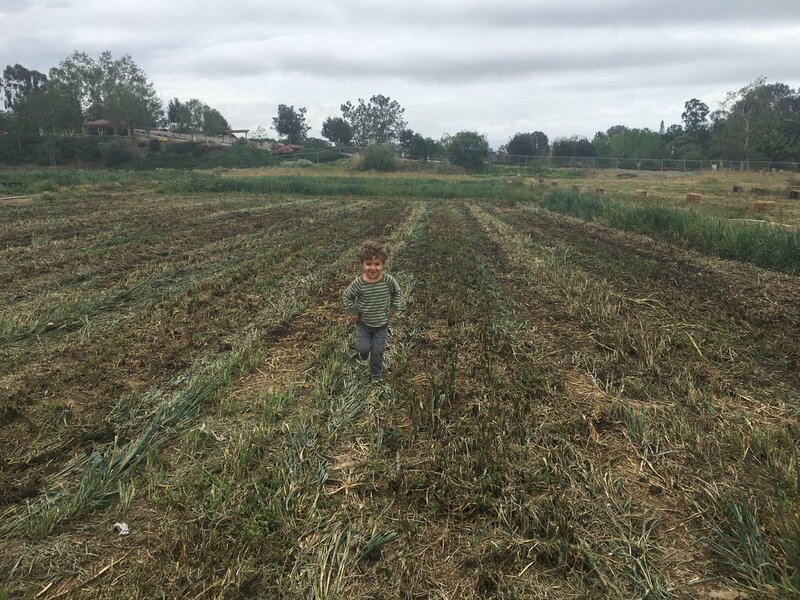 The vision that was laid out between 2014-2017 has recently been put into action with the help of Farmers Tripp Eldridge and Carmen Franz. 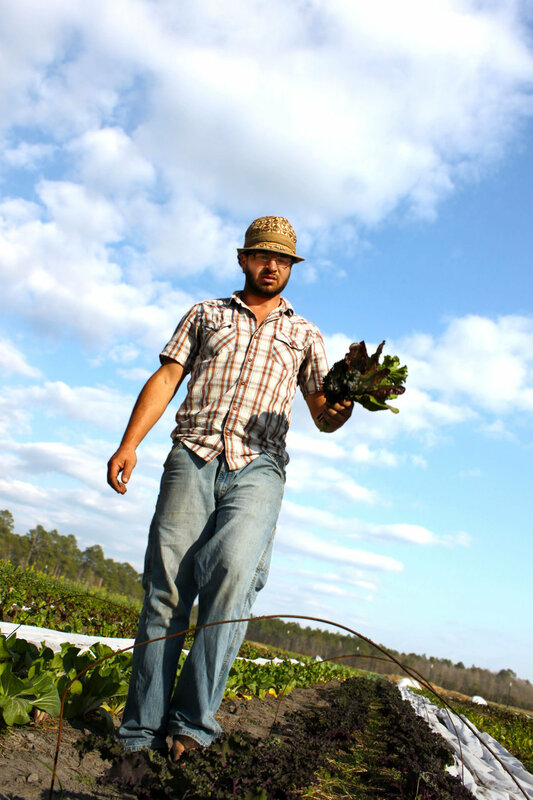 Farmer D first met Tripp at Hampton Island near Savannah in 2005 and was excited to find out he was selected as the Farm Director with his partner, Carmen. 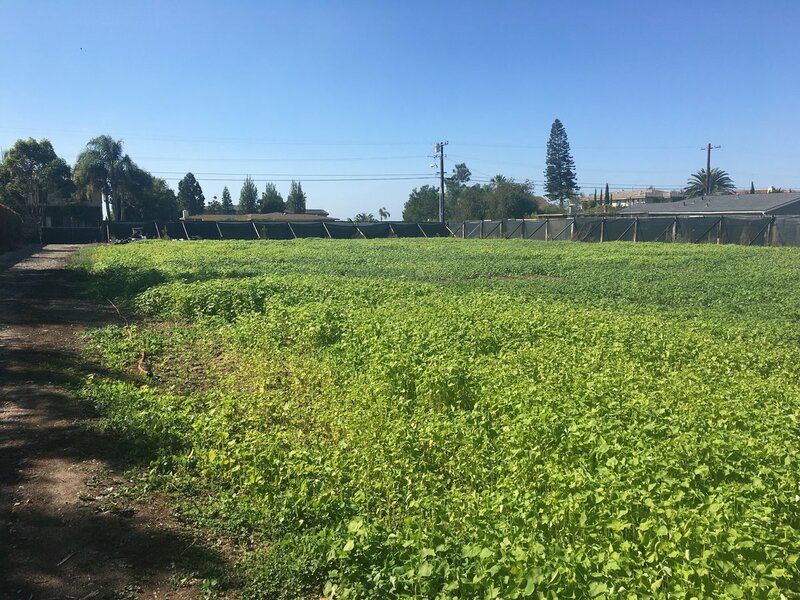 I look forward to seeing what they will grow in the way of healthy food and vibrant community there at Arden. 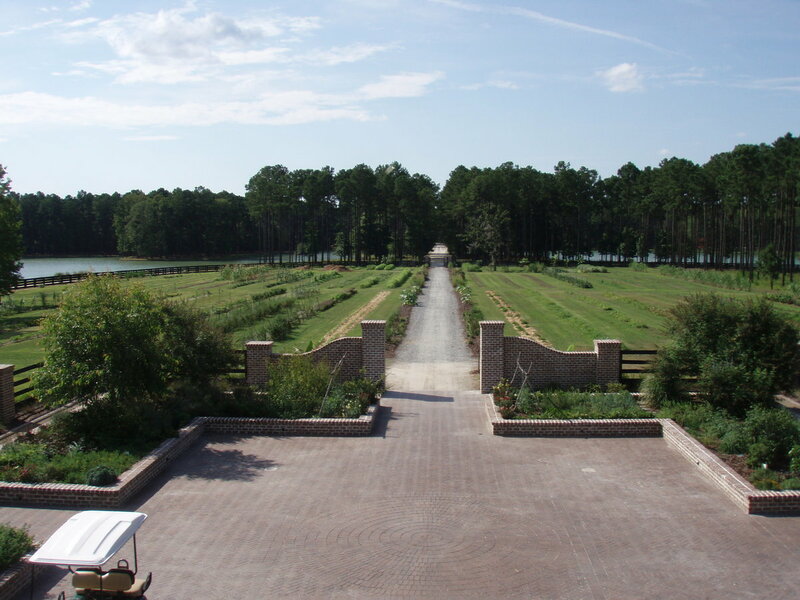 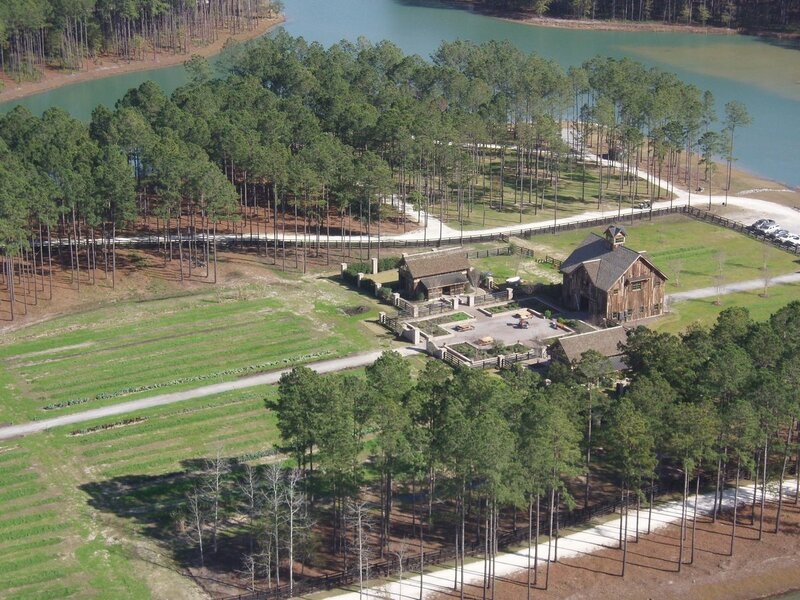 While at Serenbe in 2004, Farmer D was recruited by the developer and chef of Hampton Island to come and help start a farm in this 4000 acre retreat community about an hour south of Savannah in Riceboro, GA. 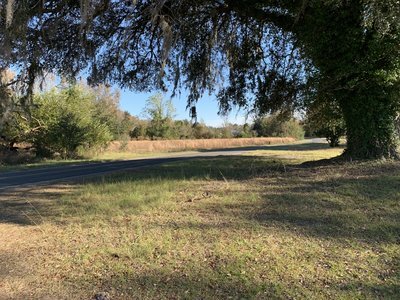 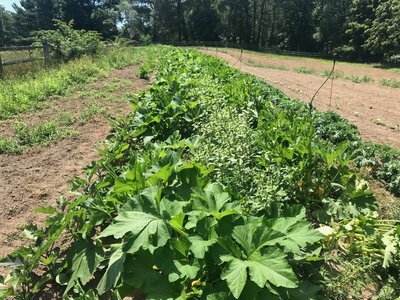 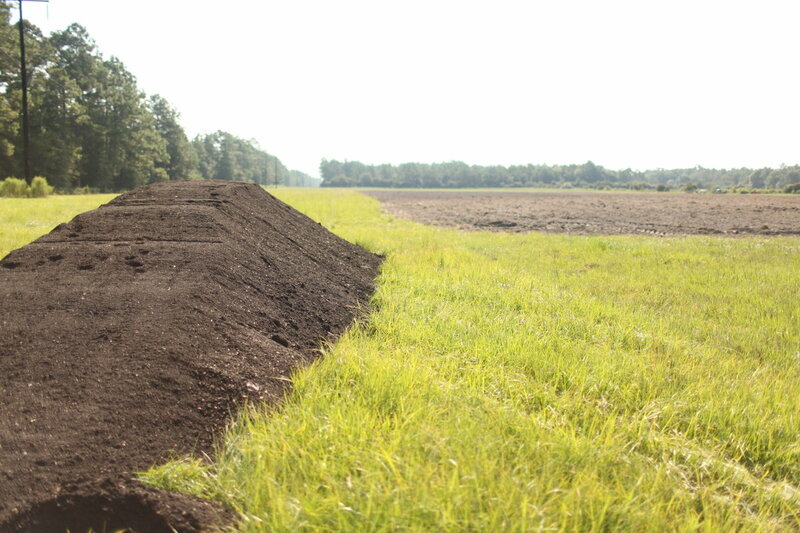 Curious, Farmer D went to see the property and saw the opportunity to take a mucky island of "gumbo" (poor sticky clay soil) and turn it into a vibrant heart of this dynamic project. 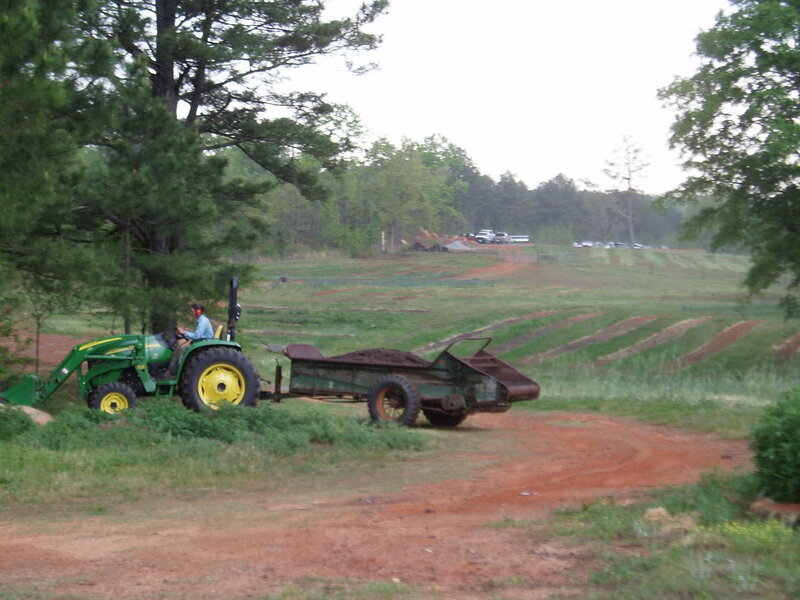 It was a nice change of scenery as Farmer D left the piedmont of Serenbe and began farming the Georgia coast experimenting with new crops like Sugarcane, Green Tea, Bananas and Carolina Gold Rice. 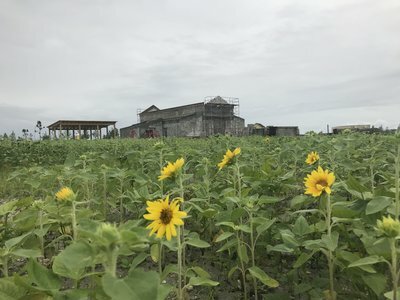 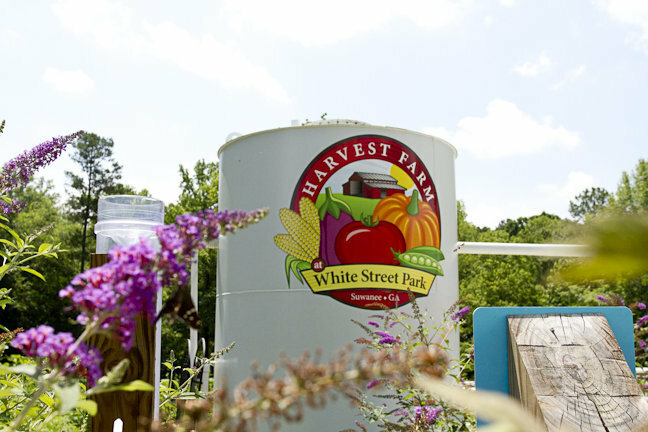 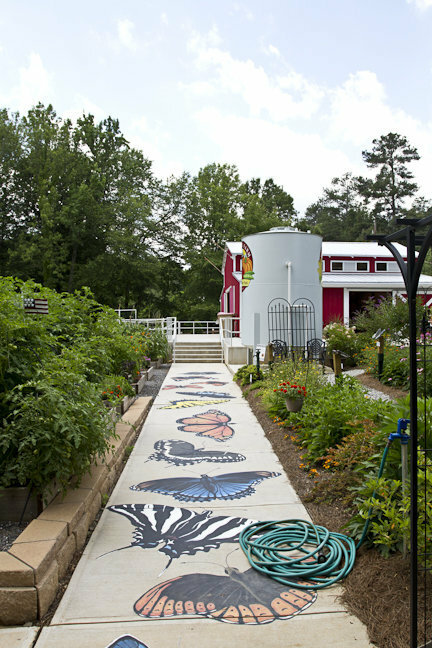 While there Farmer D helped with the design, programming and implementation of Harvest Farm, a 13 acre island farm with iconic reclaimed barn, interpretive center, farm spa and diverse gardens of herbs, vegetables and fruit that set the stage for a culinary, educational, healing farm . 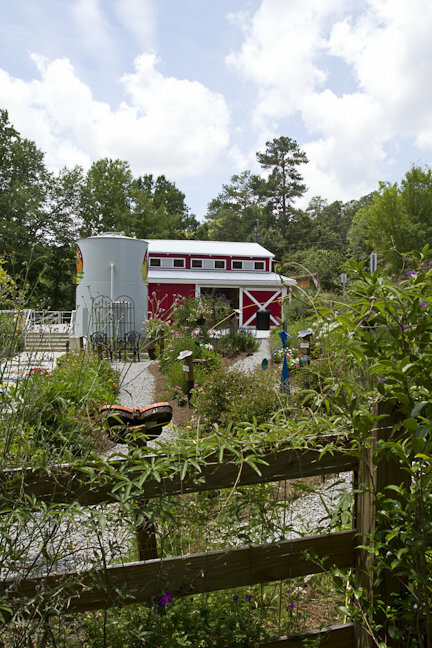 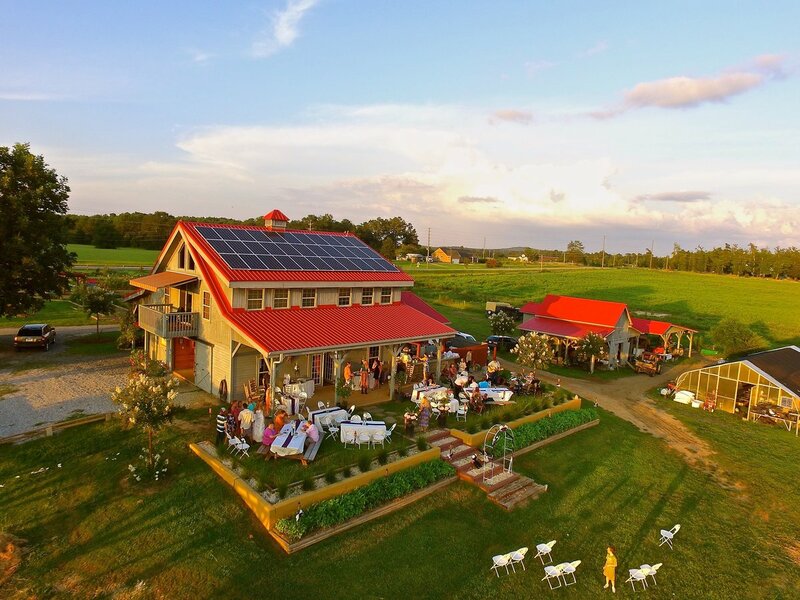 Ed Mitchell approached Farmer D in 2012 to help him reimagine his family cattle farm in Barnesville, GA into a permaculture showcase education farm. 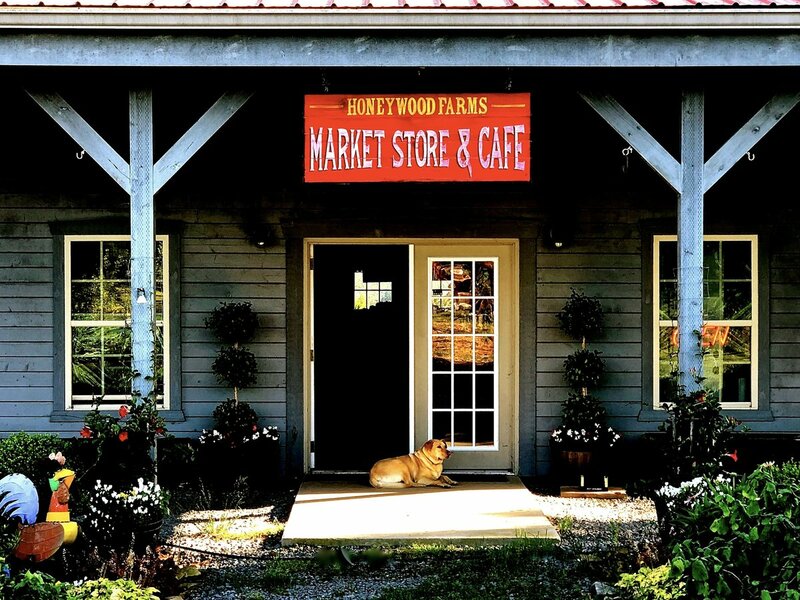 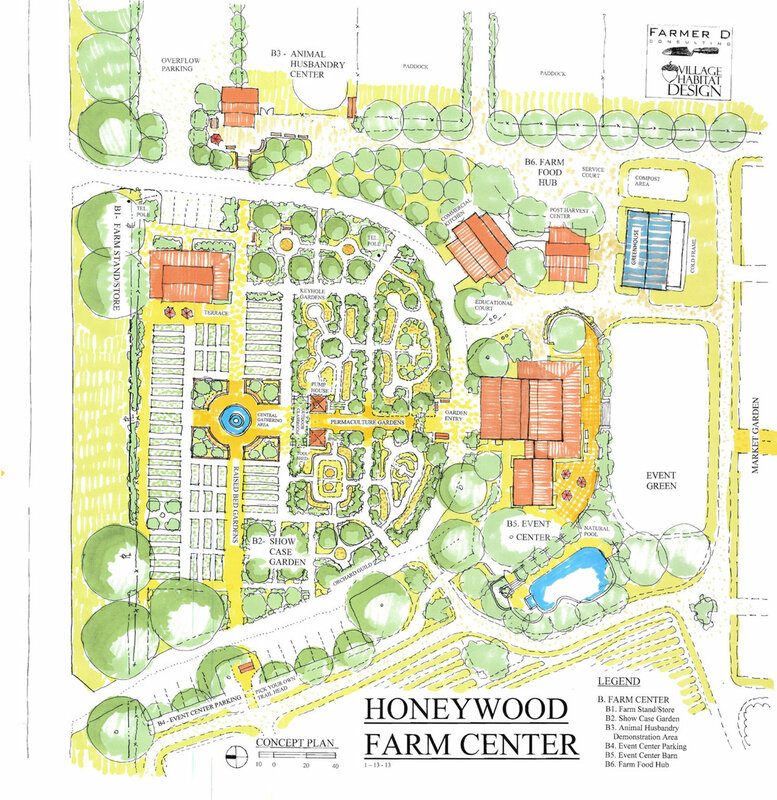 The Honeywood Farm converted a relatively small portion of the conventional cattle operation, about 20 acres, into a certified organic diversified farm complete with market garden, orchards, food forest, livestock, permaculture gardens, commercial kitchen, retail farm store and cafe and events barn. 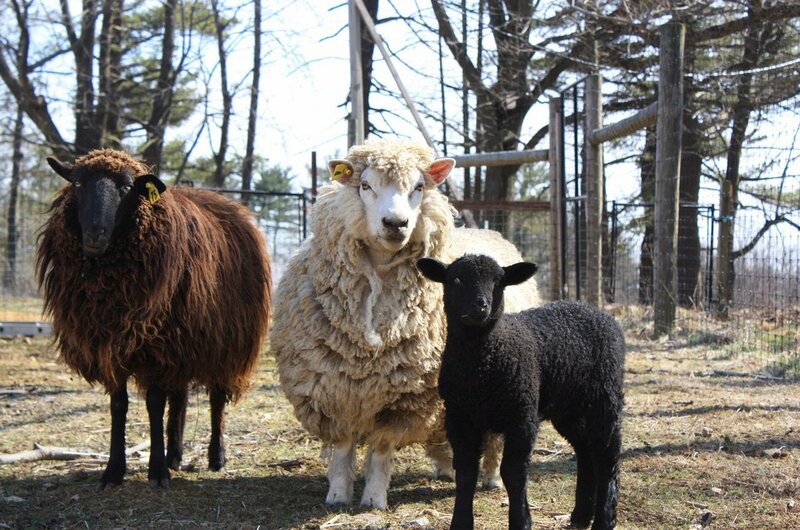 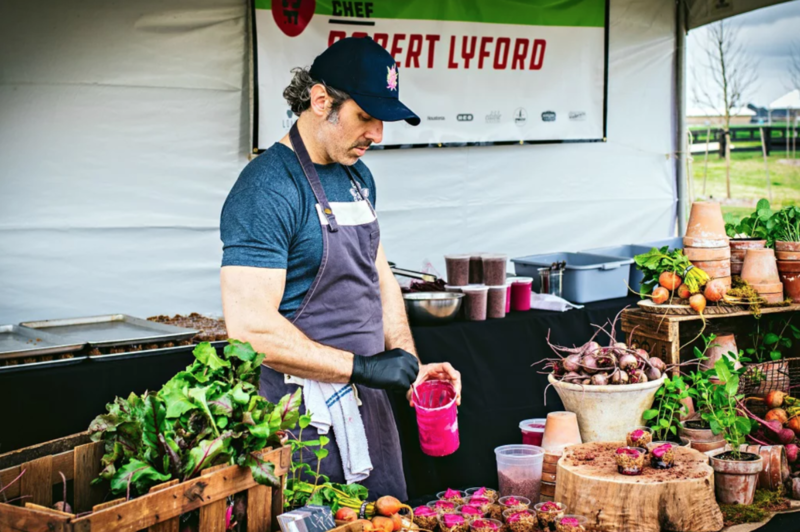 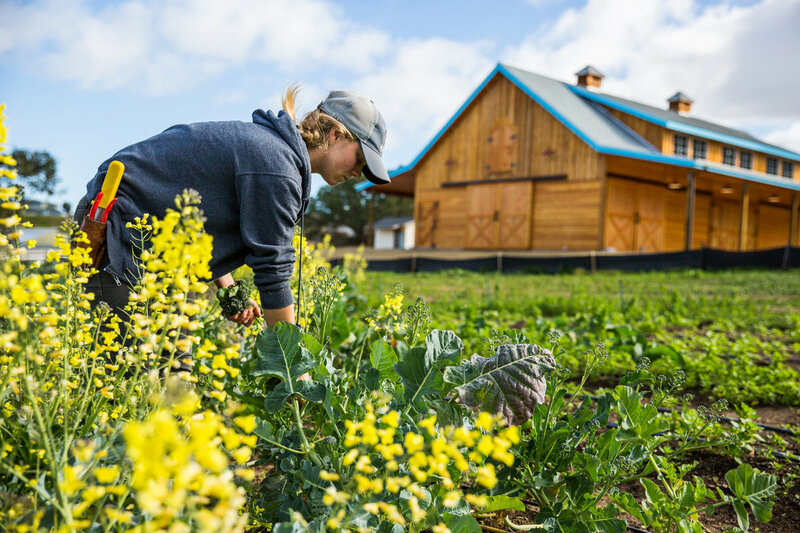 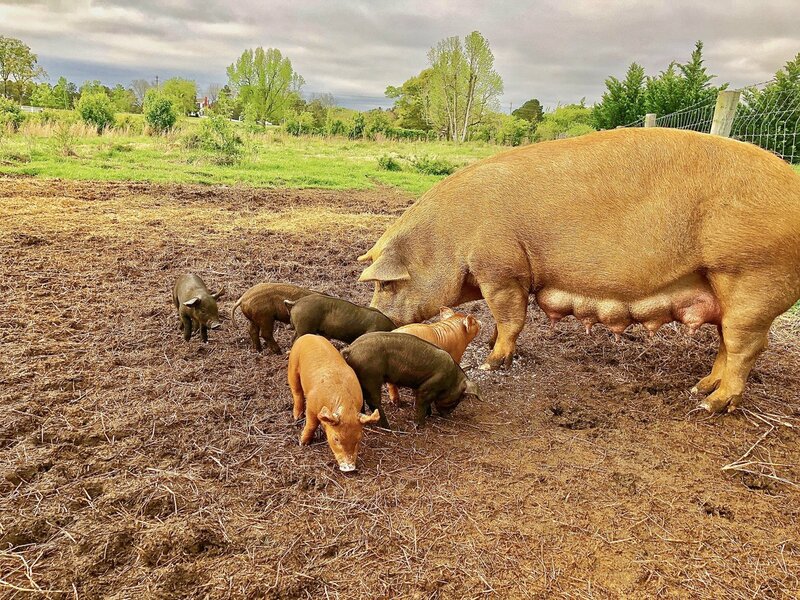 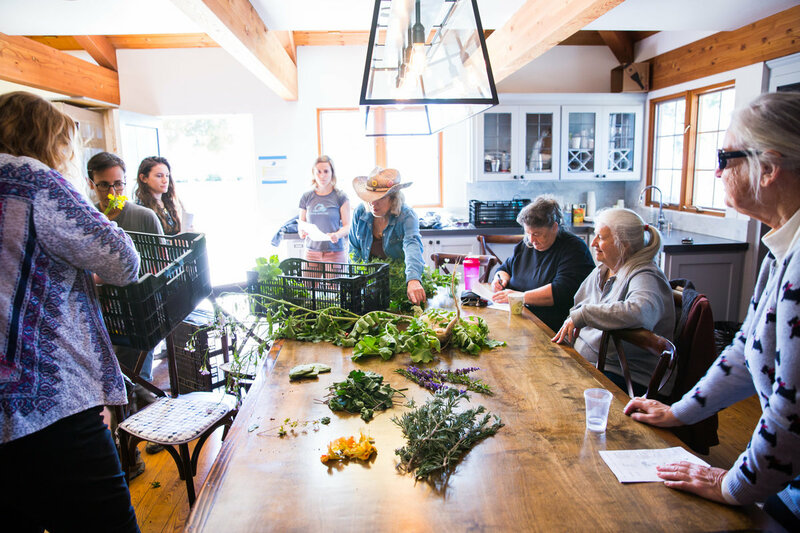 Ed is carrying on a rich family legacy of stewardship ushering in a new generation of innovative, sustainable farming with a focus on education and community. 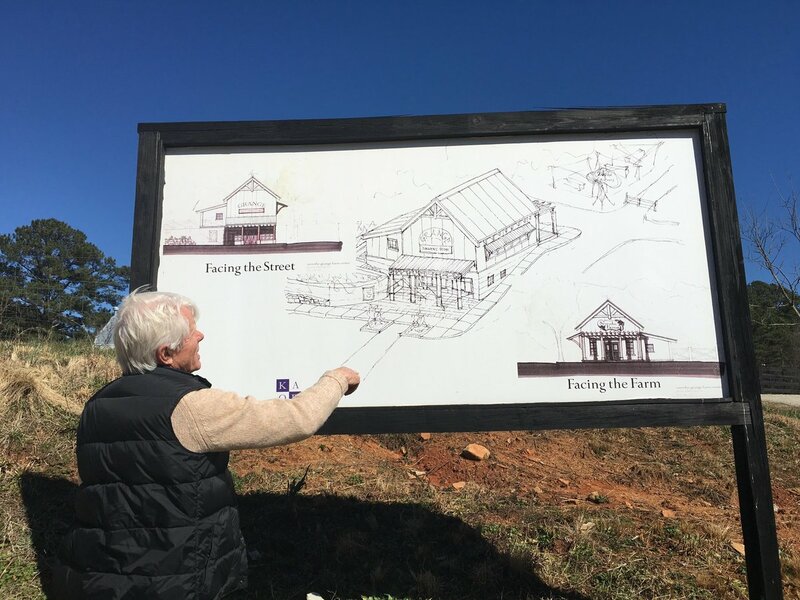 I am so impressed with Ed and his family's hard work and dedication to bring this vision to life and far exceed my expectations. 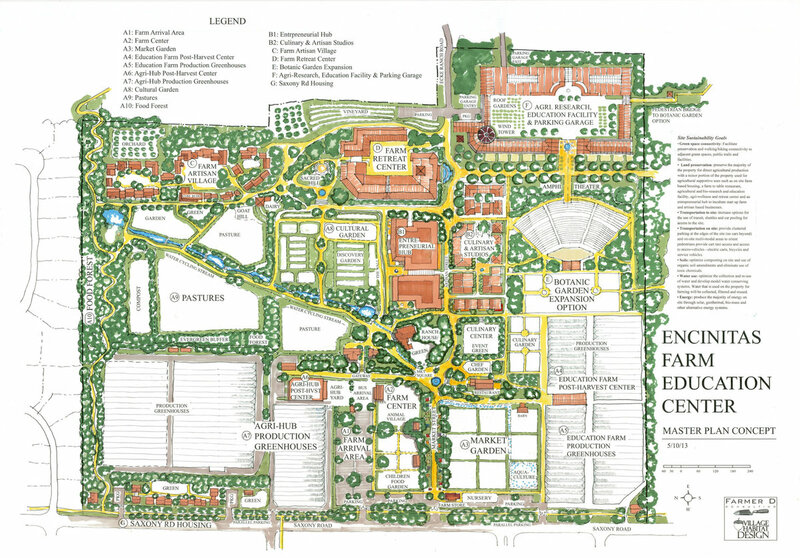 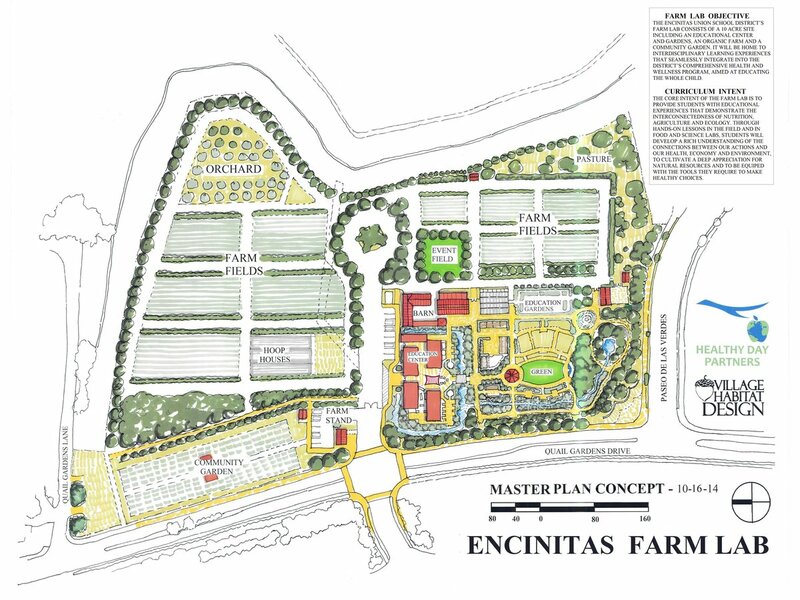 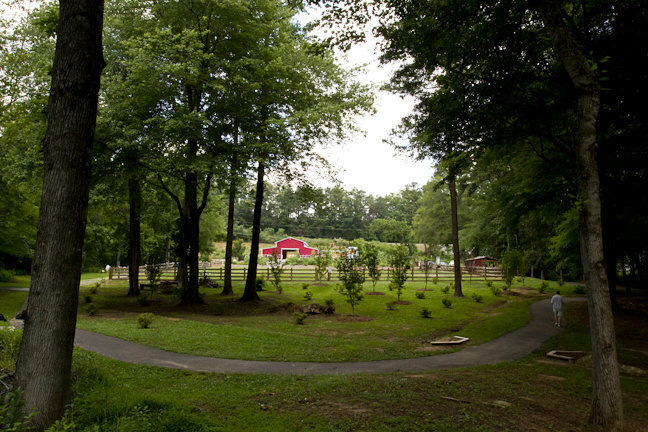 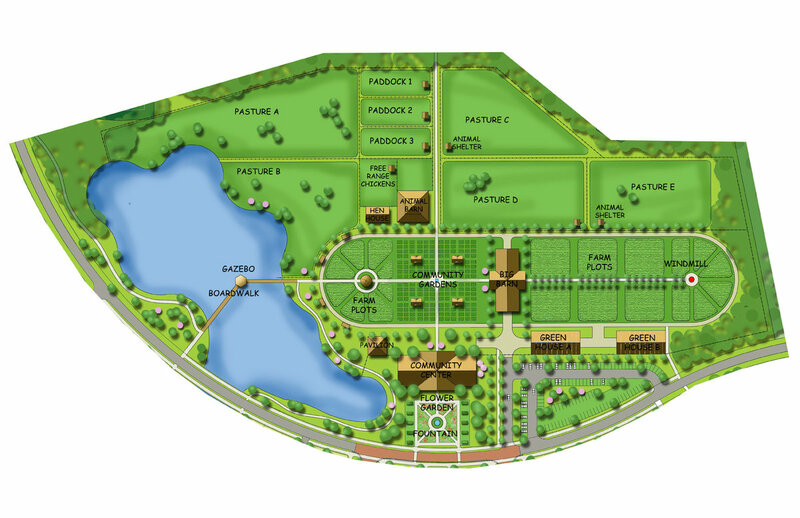 In 2008, Farmer D was asked to reimagine an equestrian community master plan and replace the equestrian center with a community farm. 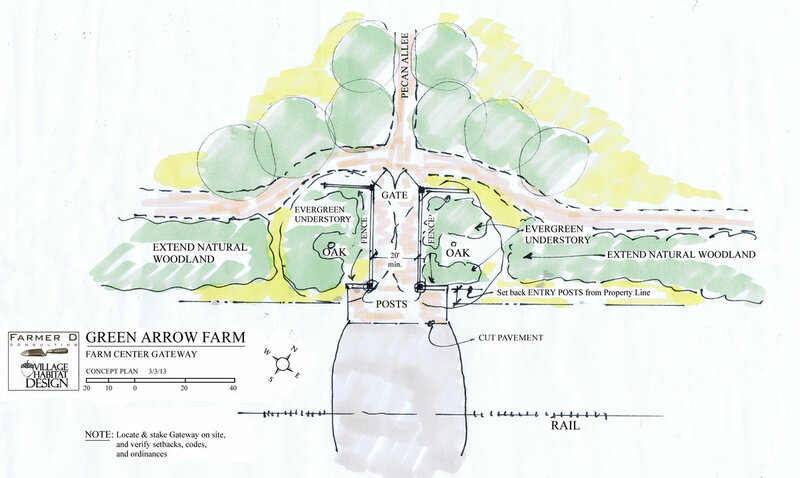 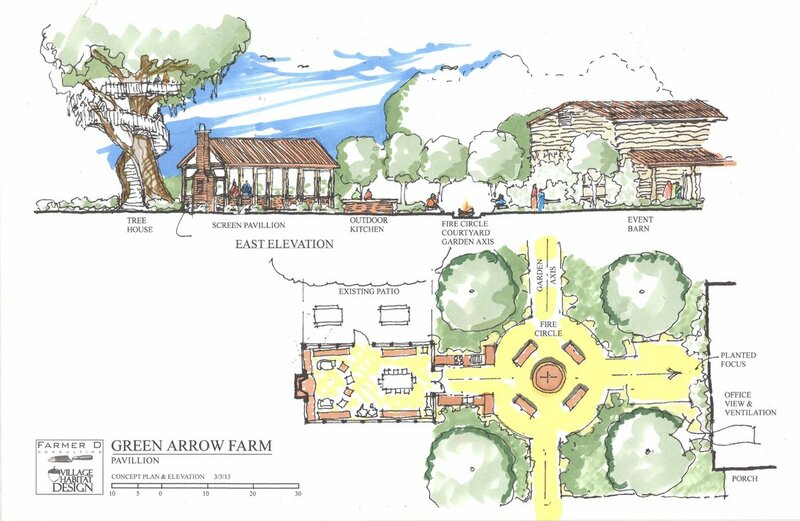 As part of the revisioning process Farmer D and his team suggested a town center with farm-themed main street and market square adjacent to a senior center and school. 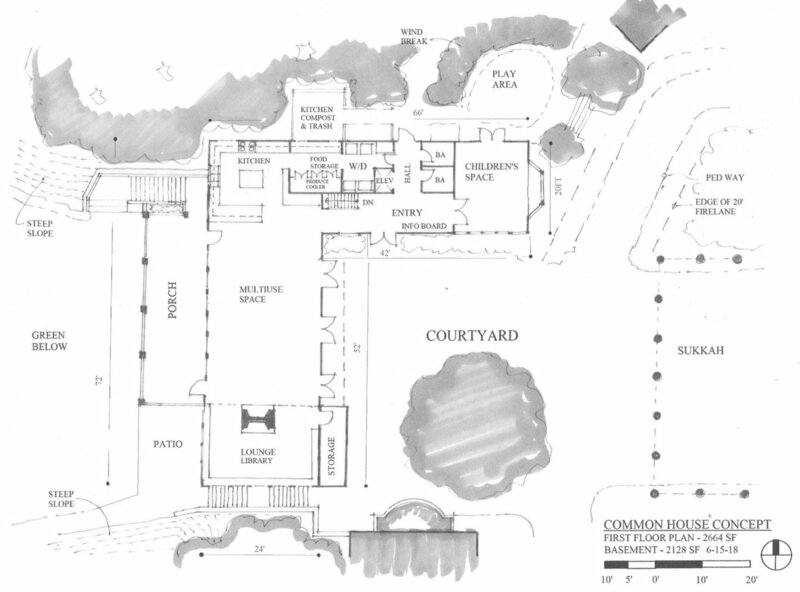 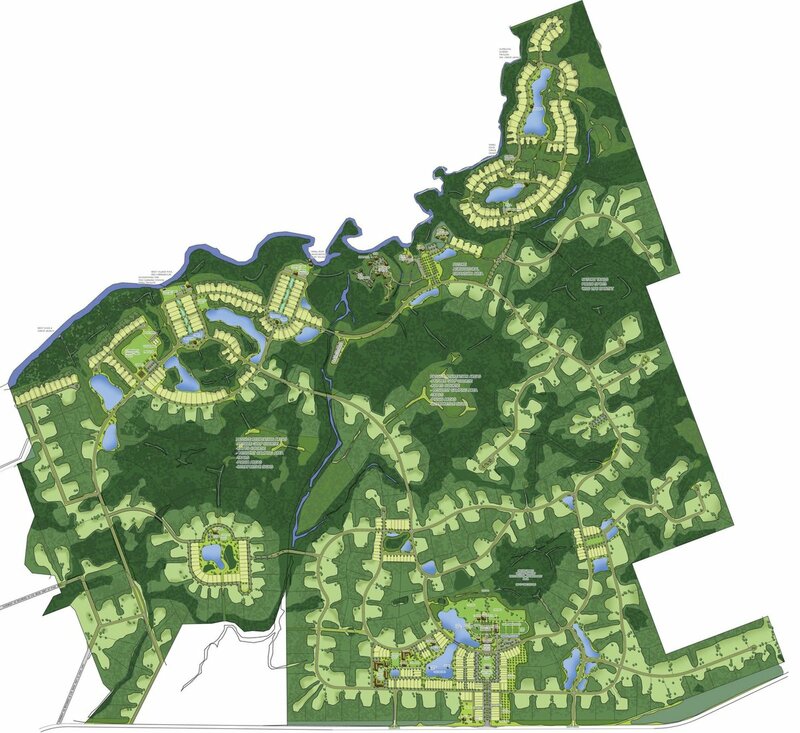 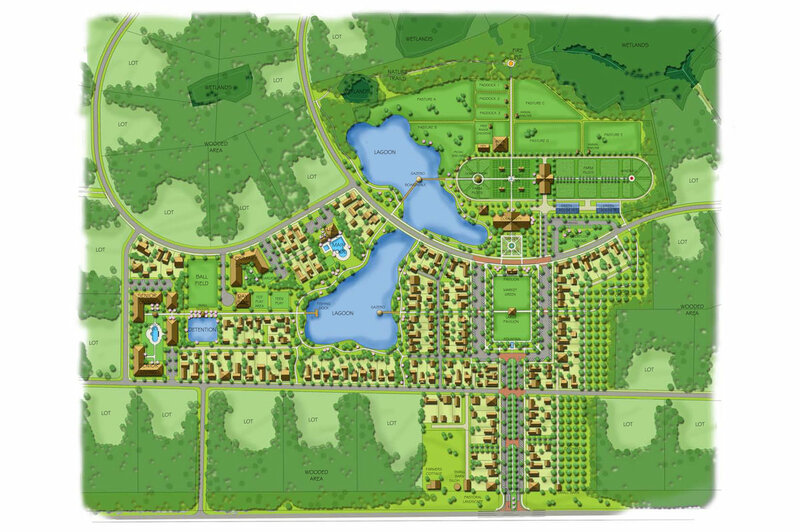 The client loved this vision so much he asked Farmer D Consulting to redesign the entire 2400 acre master plan. 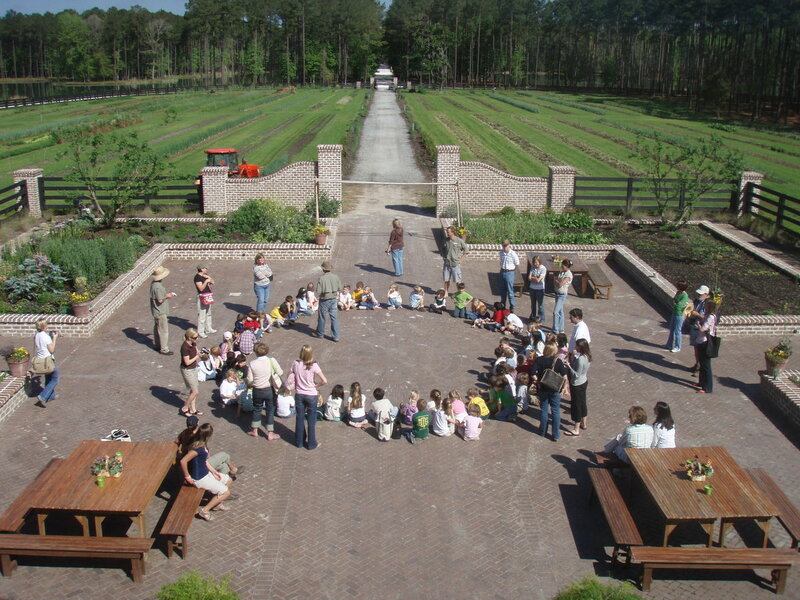 FDC worked closely with the scientists at the neighboring E.O. 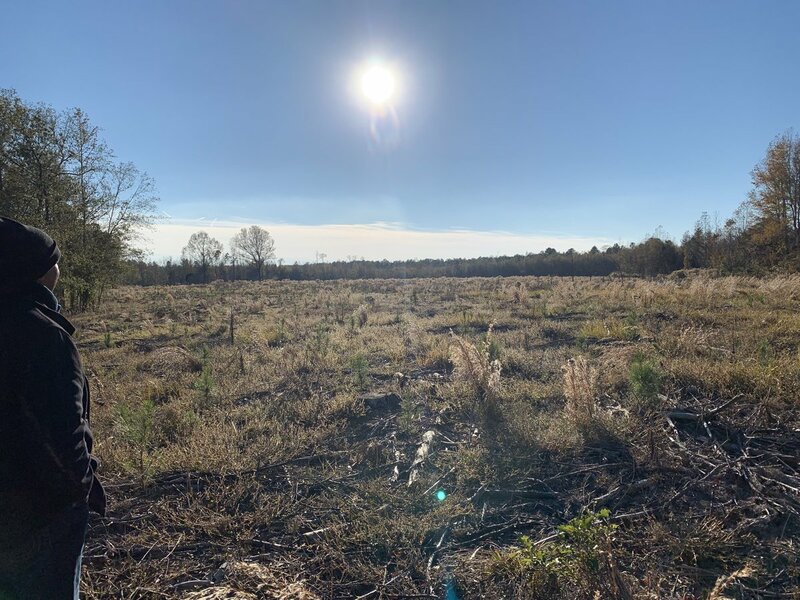 Wilson Biophilia Center and 50,000 acre Nokuse Plantation to ensure the revised plan connected to the wildlife corridors and extended the restoration of the native Longleaf Pine Forest ecosystem. 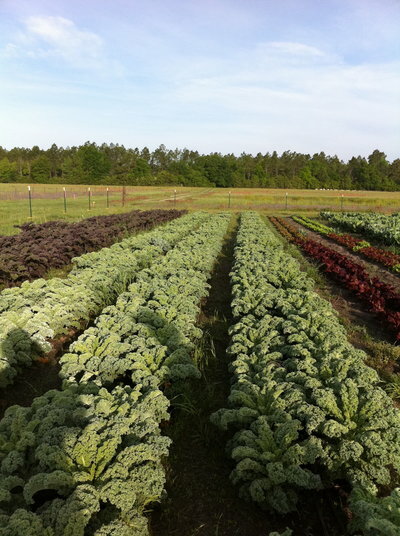 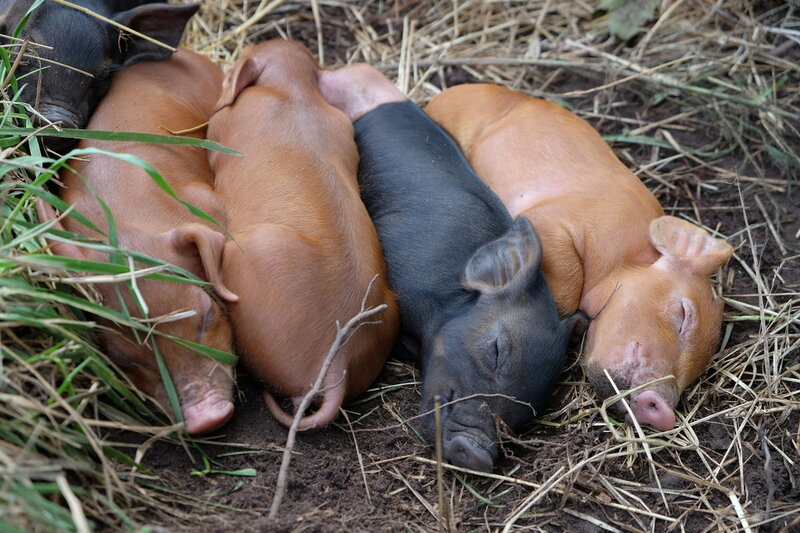 Farmer D helped implement the organic farm and began an organic stewardship plan for the entire 2400 acres. 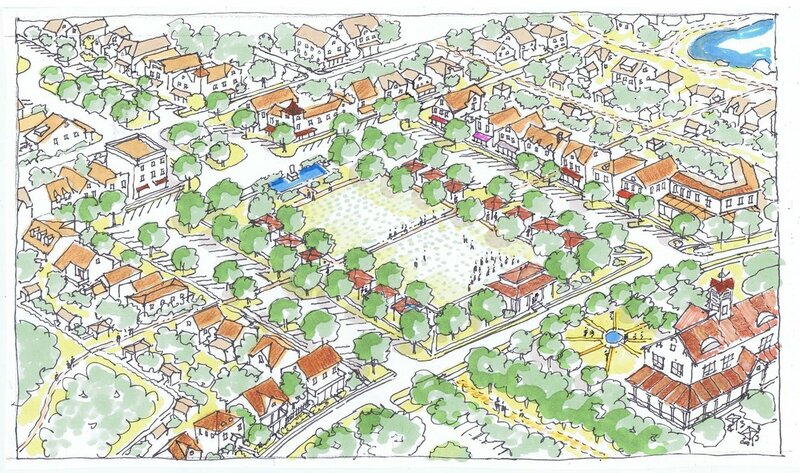 Unfortunately the downturn in 2008 put the project on hold. 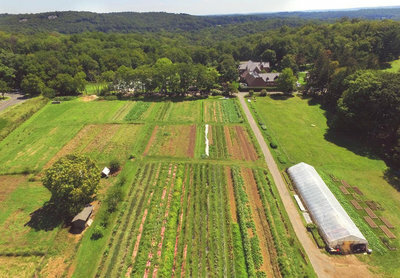 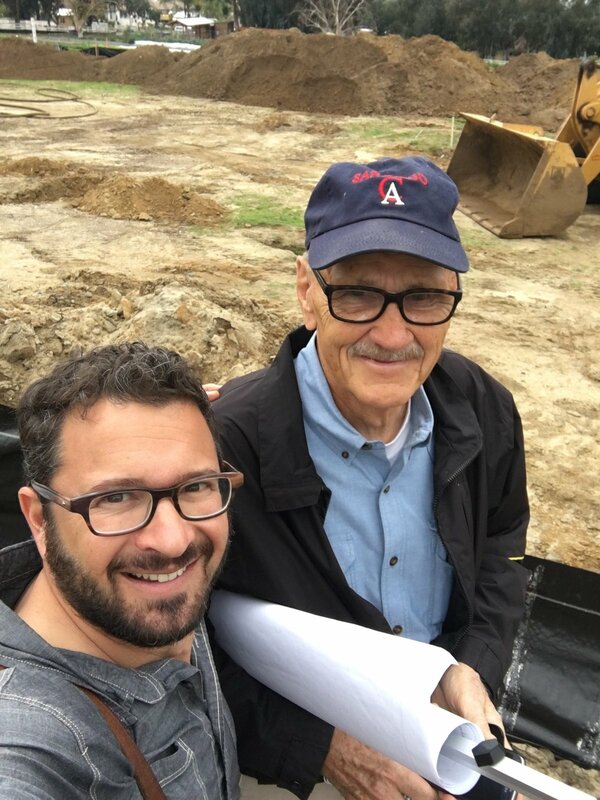 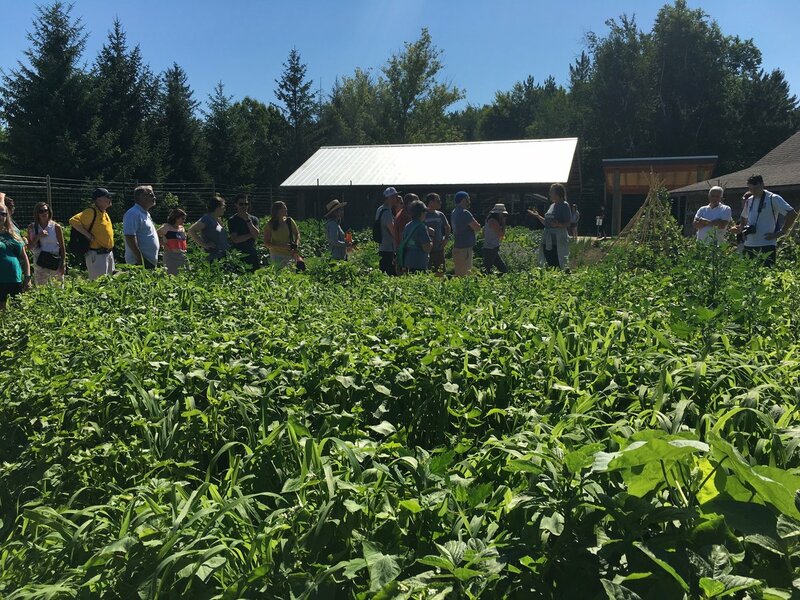 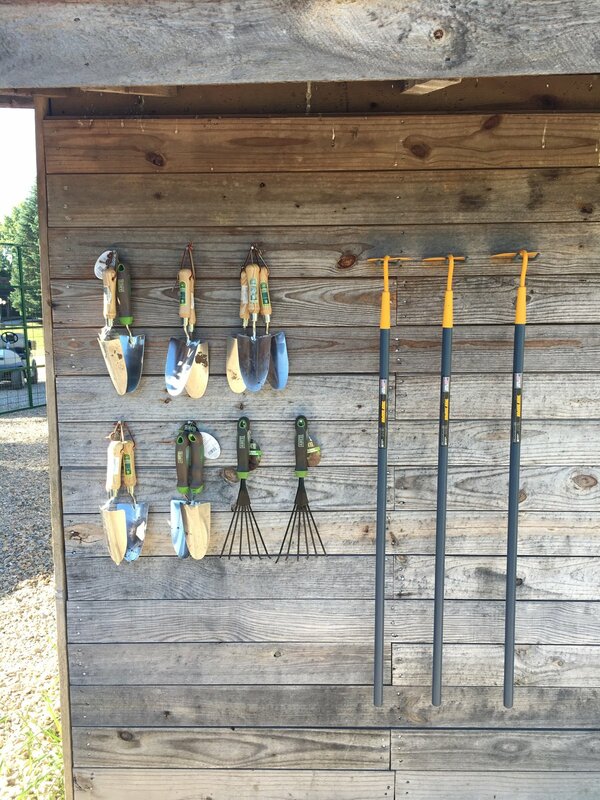 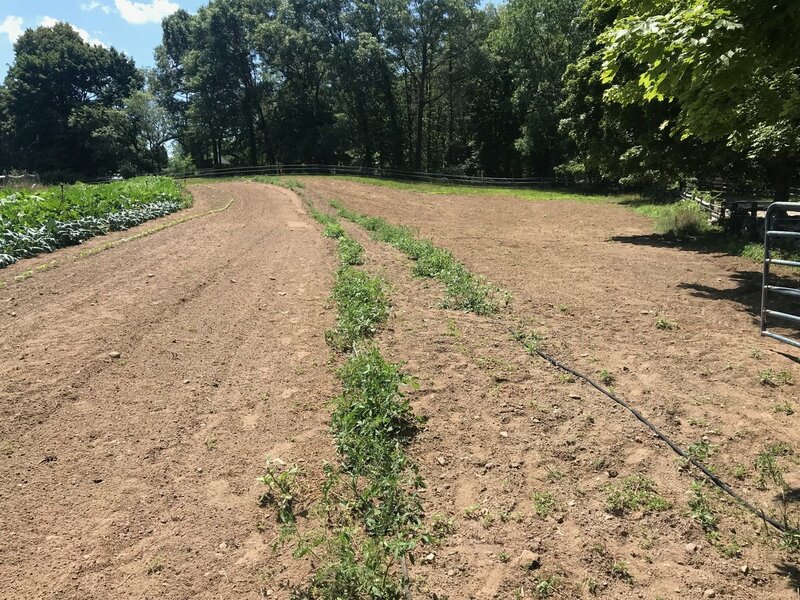 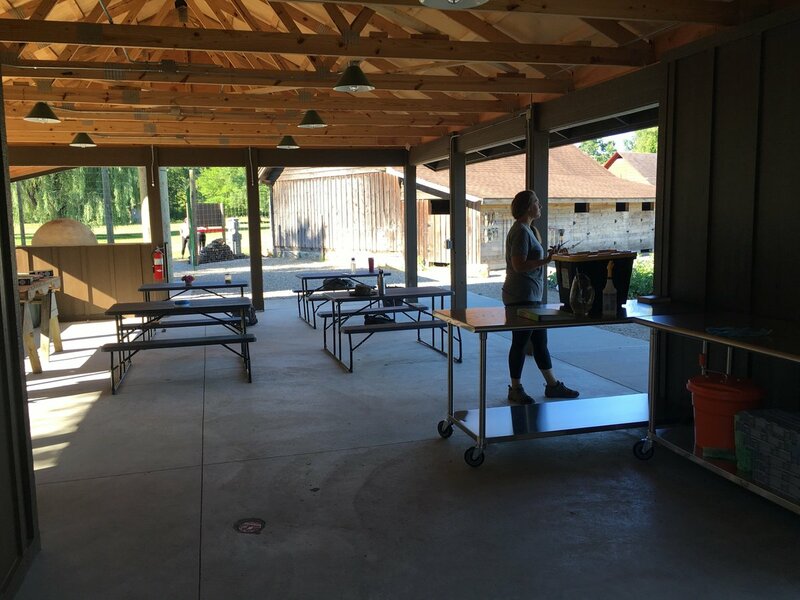 While at Leichtag Foundation and Coastal Roots Farm, Farmer D was approached by Steve Engel, the CEO of Tamarack Camps in Michigan to help develop a plan for a newly acquired 20 acres adjacent to the 1000 acre camp. 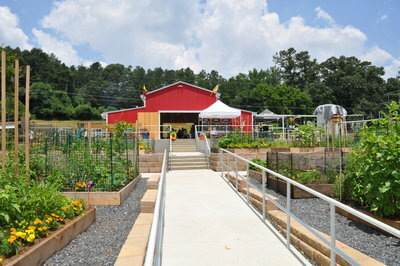 Farmer D worked closely with the Tamarack Camps staff, farm task force, architects and community partners to co-create the program and design of this educational Jewish community farm . 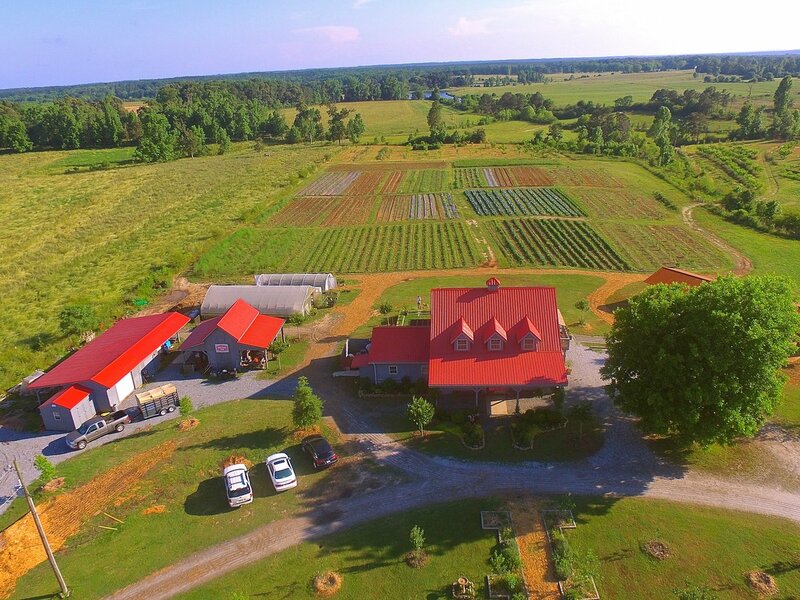 The farm was designed in 2016 and 2017 with 2018 being its inaugural season. 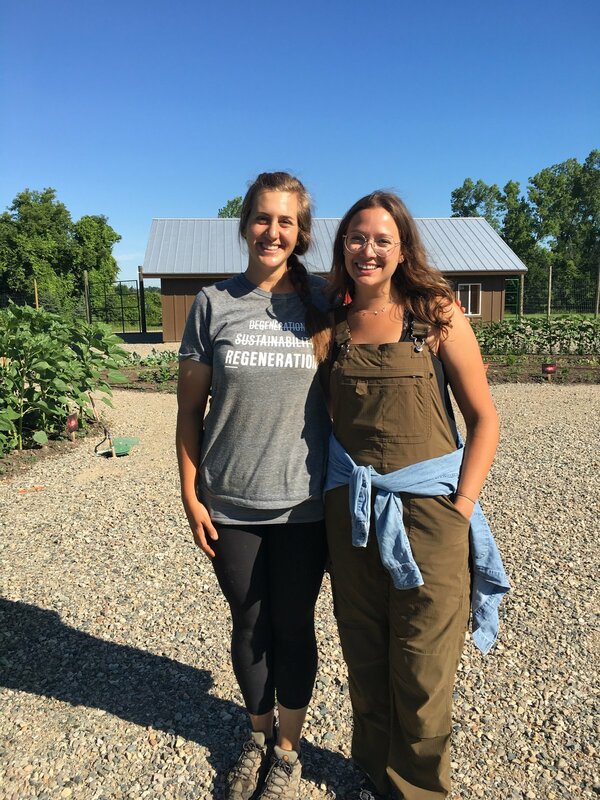 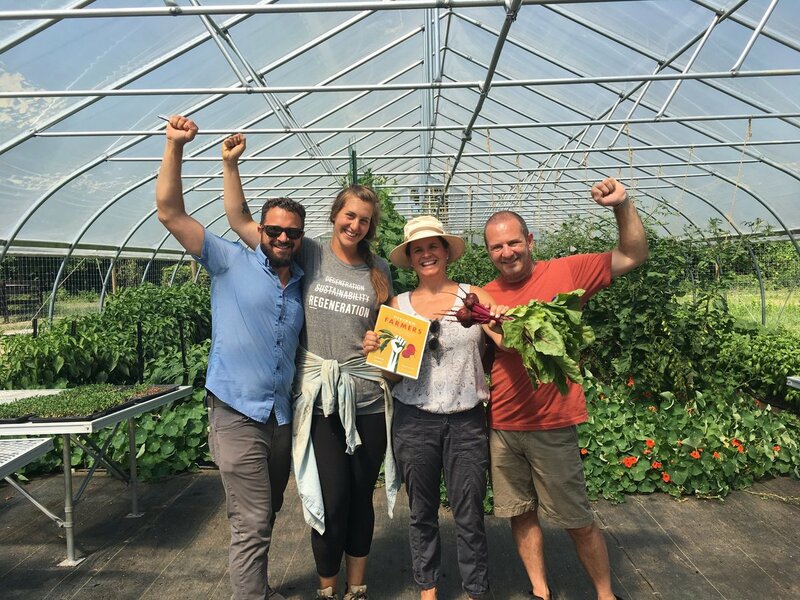 Farmer Alex and Farm Educator Jess took the plan on and created a magical, productive and vibrant teaching farm in a matter of months. 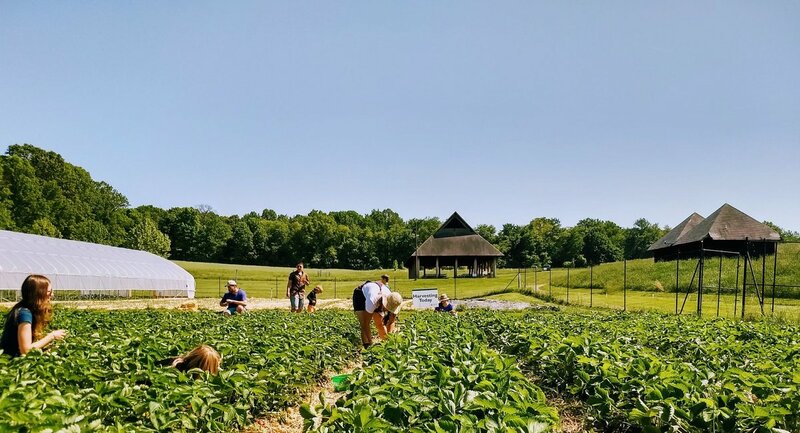 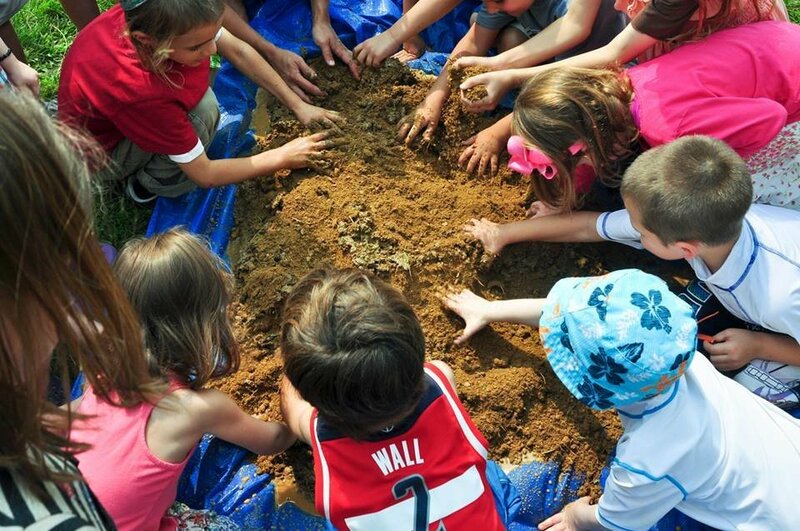 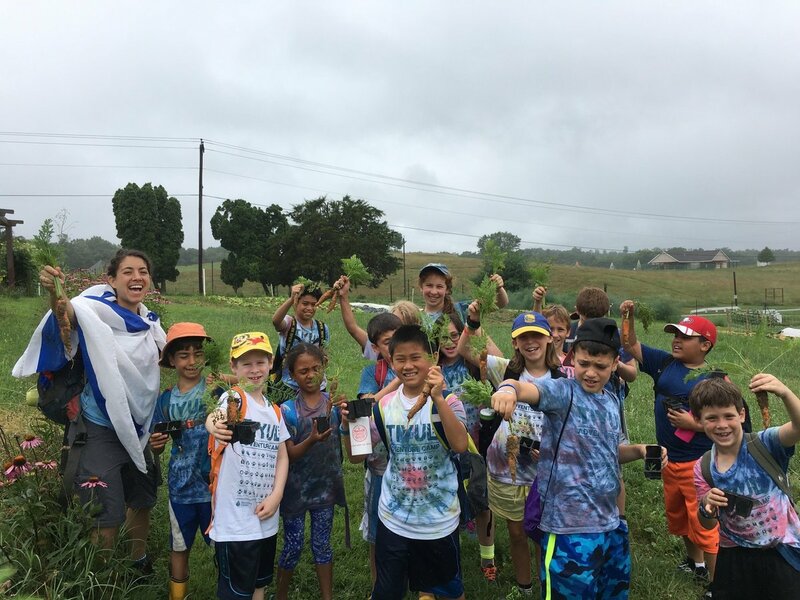 The farm impacts thousands of youth each year getting their hands dirty, growing food and teaching them the about their Jewish agrarian roots. 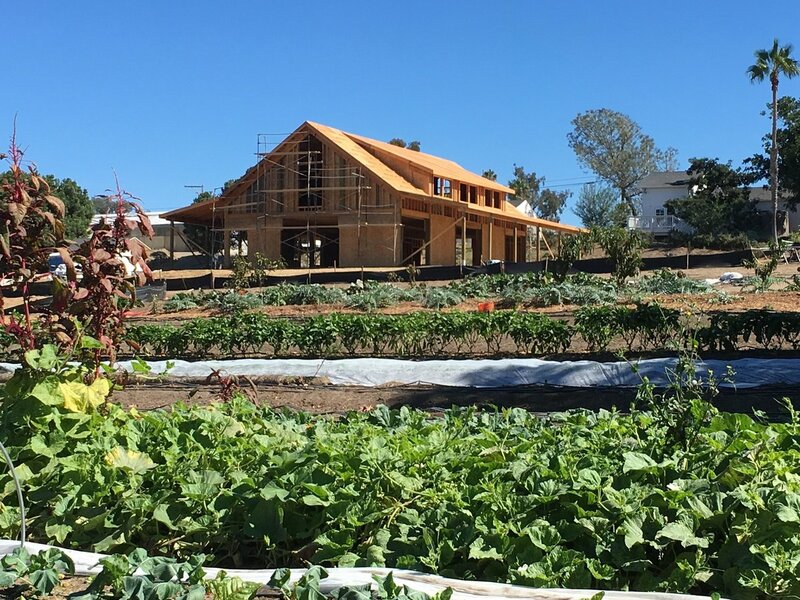 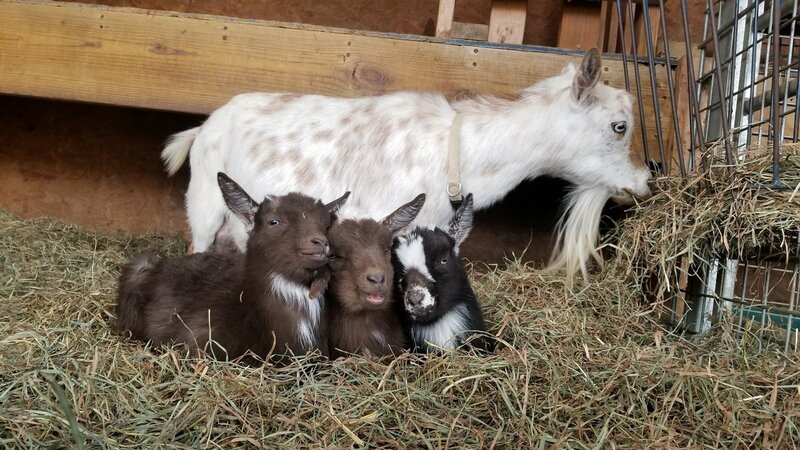 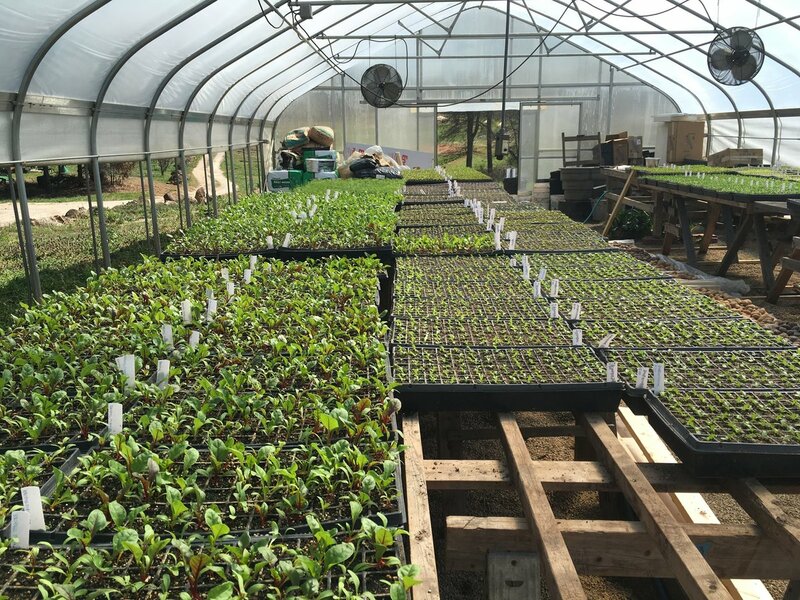 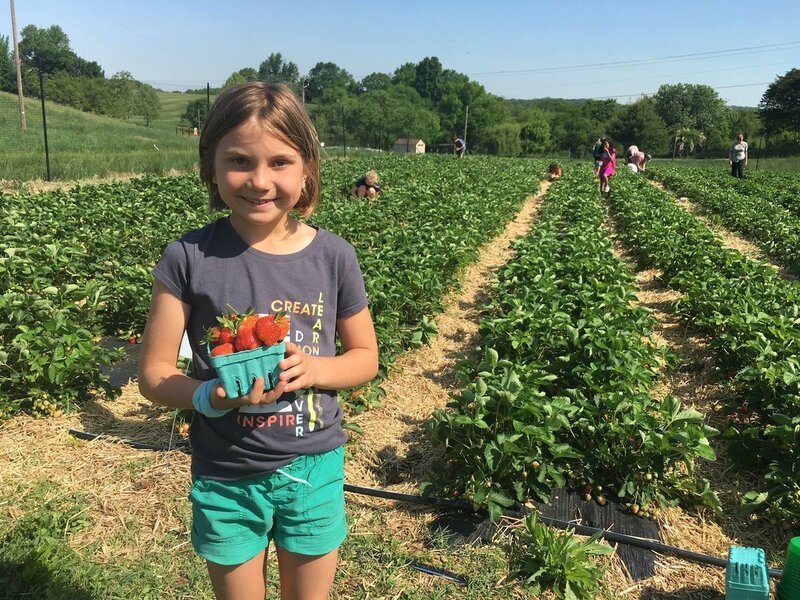 The farm is expanding in 2019 with a new greenhouse, learning lab, orchards and more. 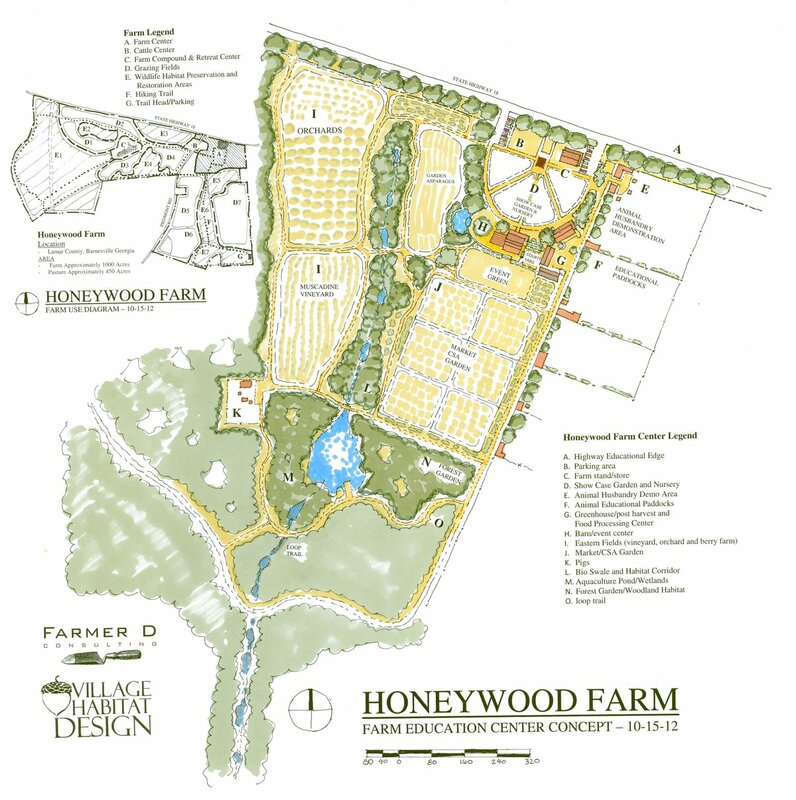 In 2013, the Howard Family asked Farmer D to help them develop a vision and plan for their roughly 150 acre family farm in Ponce De Leon, FL. 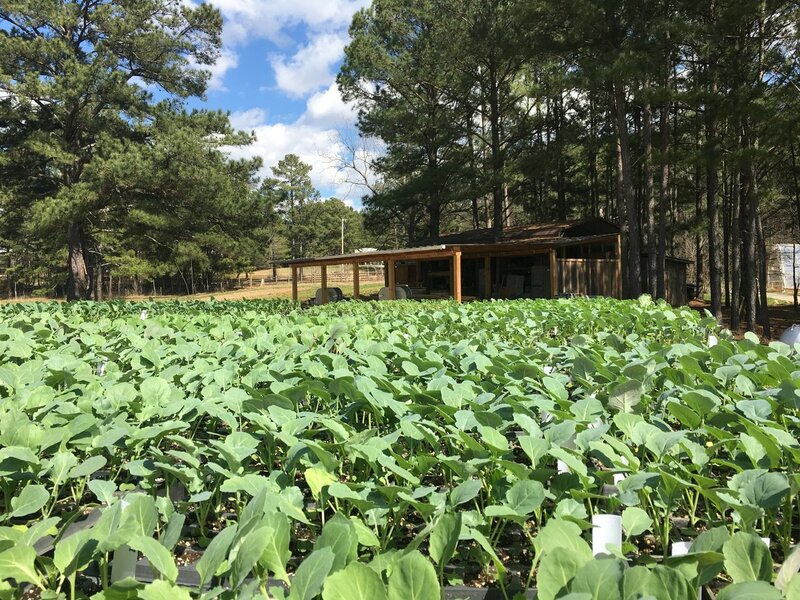 Their goals were to develop an organic farm, create a family retreat and create habitat for wildlife. 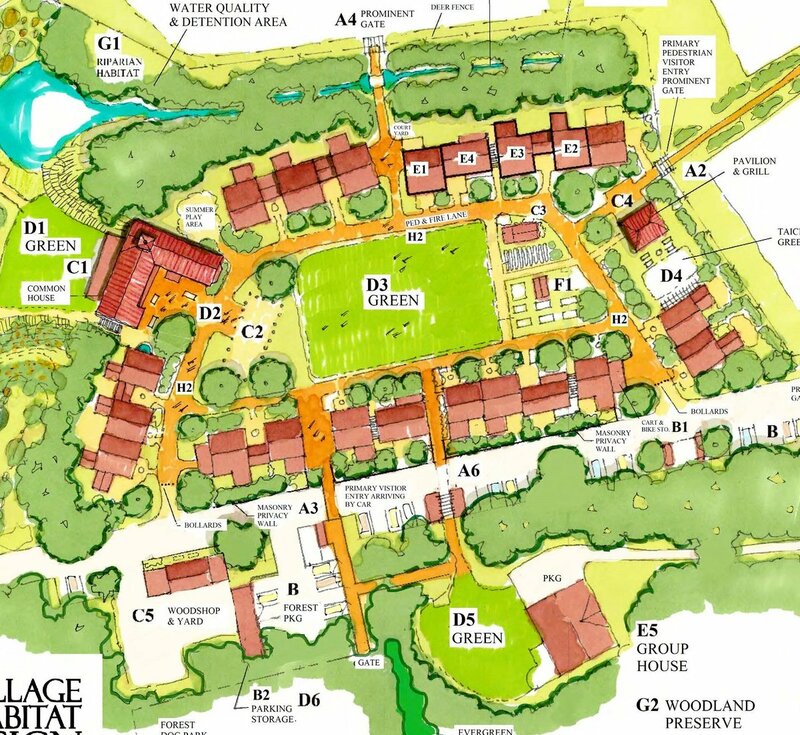 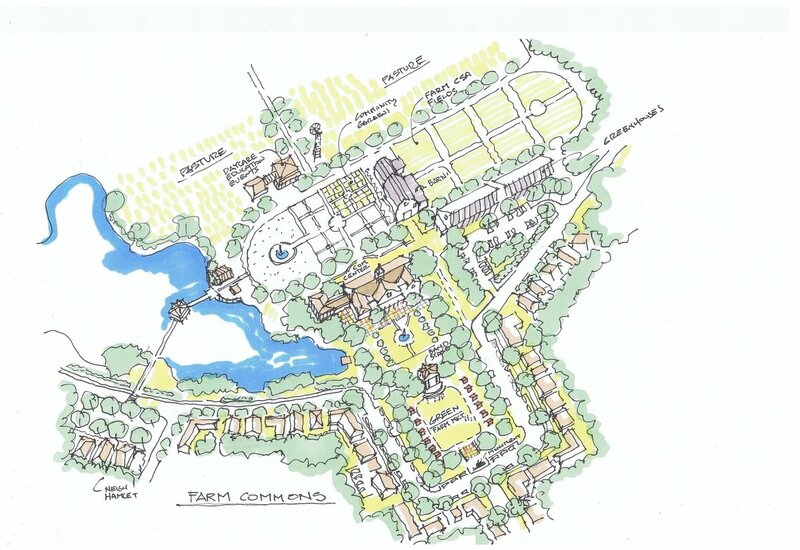 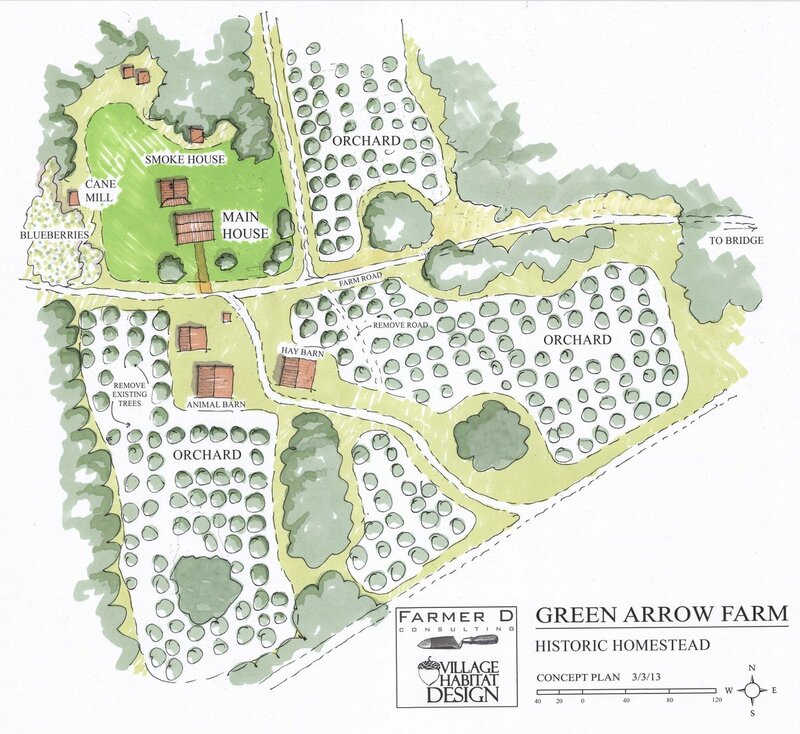 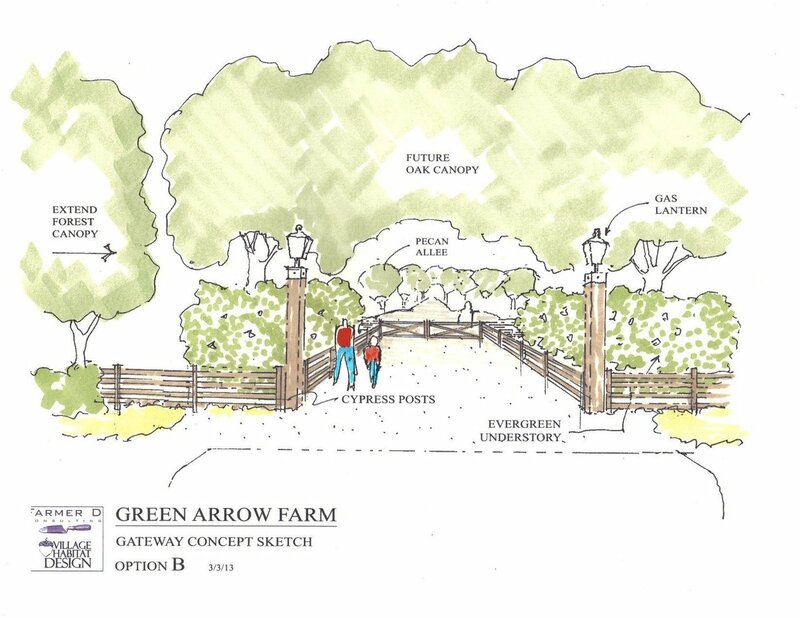 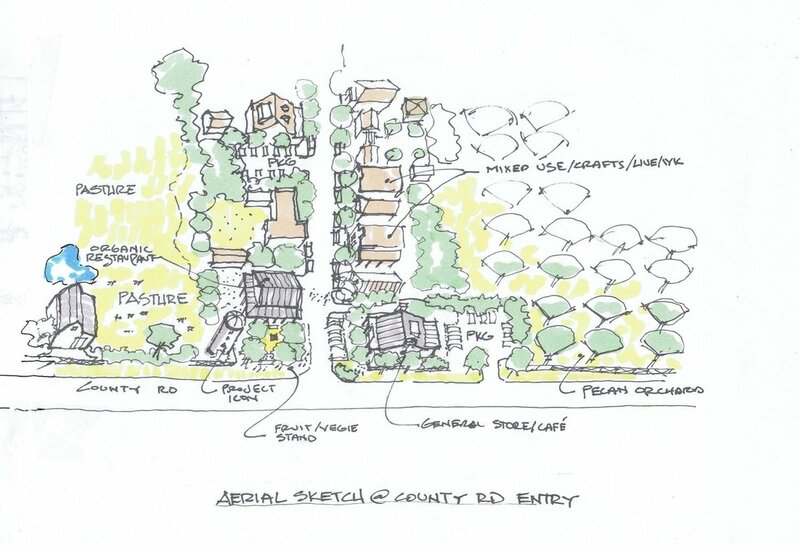 After several site visits and visioning sessions, Farmer D Consulting developed a master concept plan for the property, several focus area plans for the main farm hub and historic farmstead and assisted with the implementation of the farm. 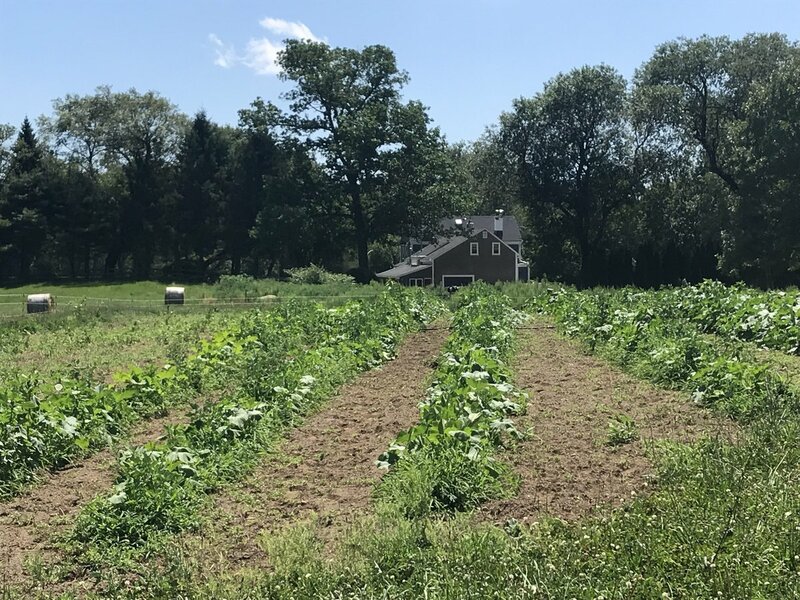 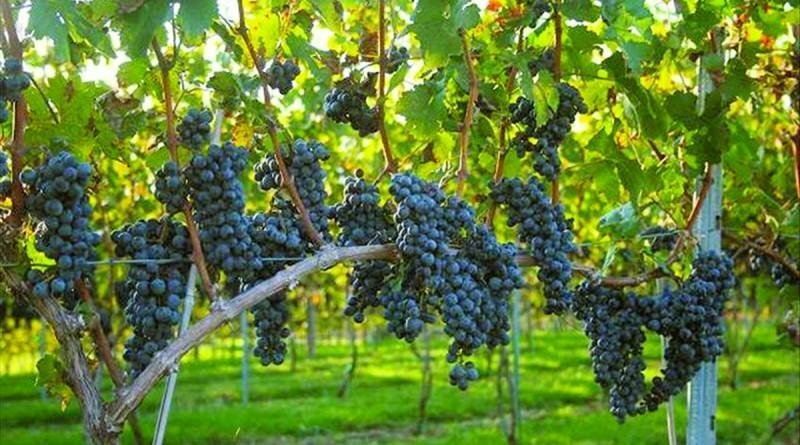 Farmer D also assisted with getting the farm certified organic, developed crop plans and worked closely with the farmer to establish the farm. 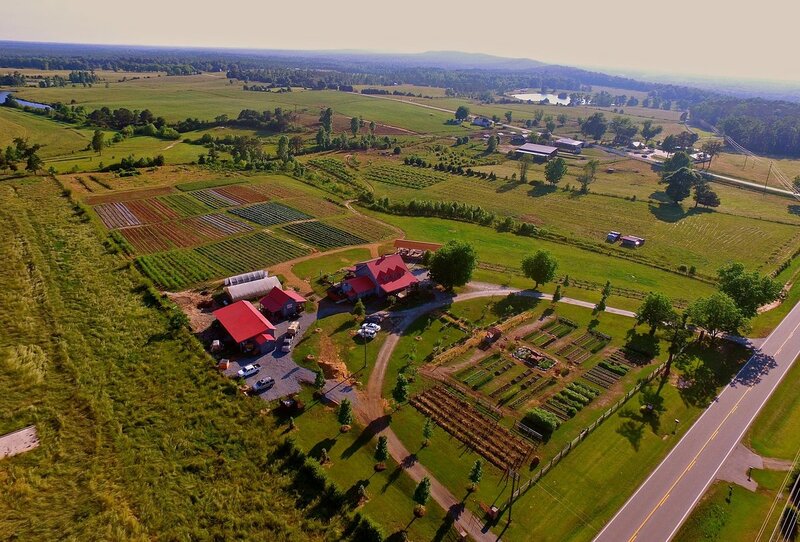 The Howard family has created a beautiful organic farm, family compound and wildlife habitat. 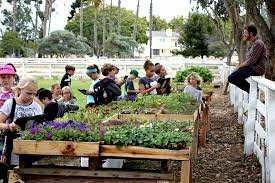 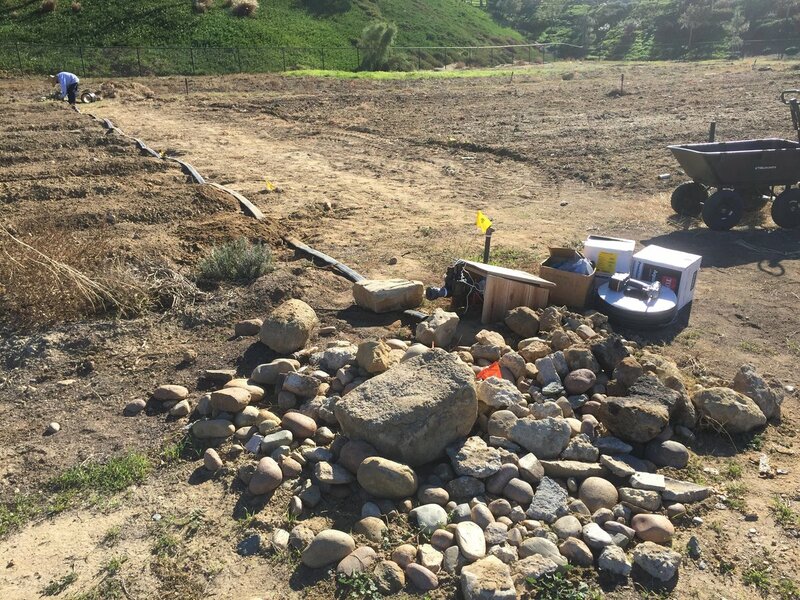 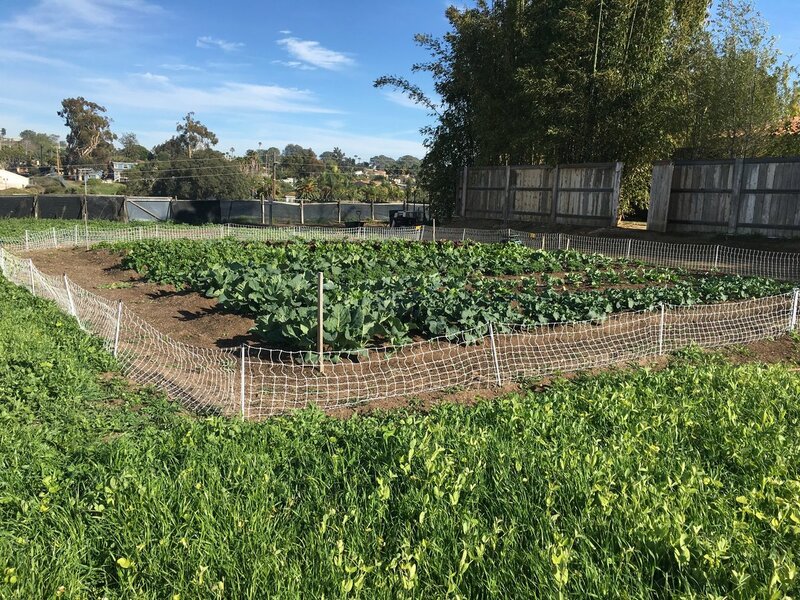 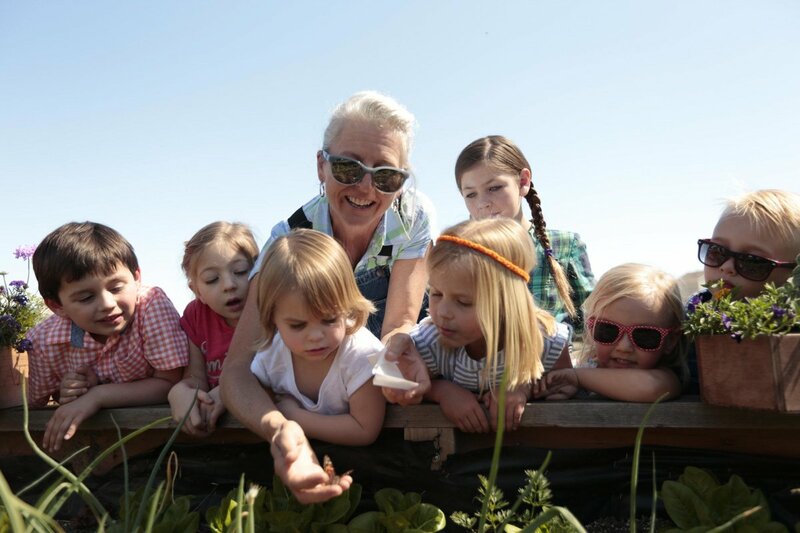 In The Fall Of 2014 Farmer D Consulting helped the Encinitas Union School District develop a program and design for their 10 acre site called Farmlab. 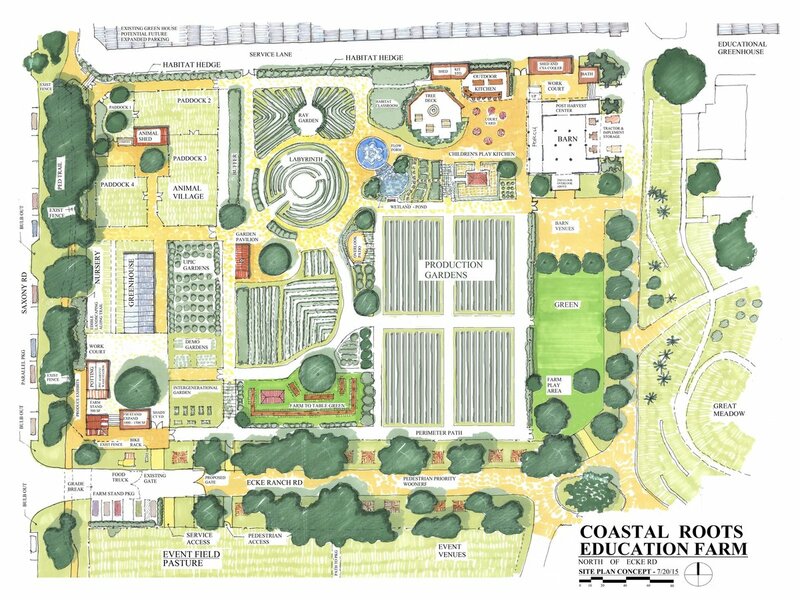 This preliminary vision for the property includes about four acres for production to grow certified organic vegetables for the school lunch program in all nine Elementary Schools, a one acre educational hands-on experiential learning garden for students along with classrooms, makers space and teaching kitchen. 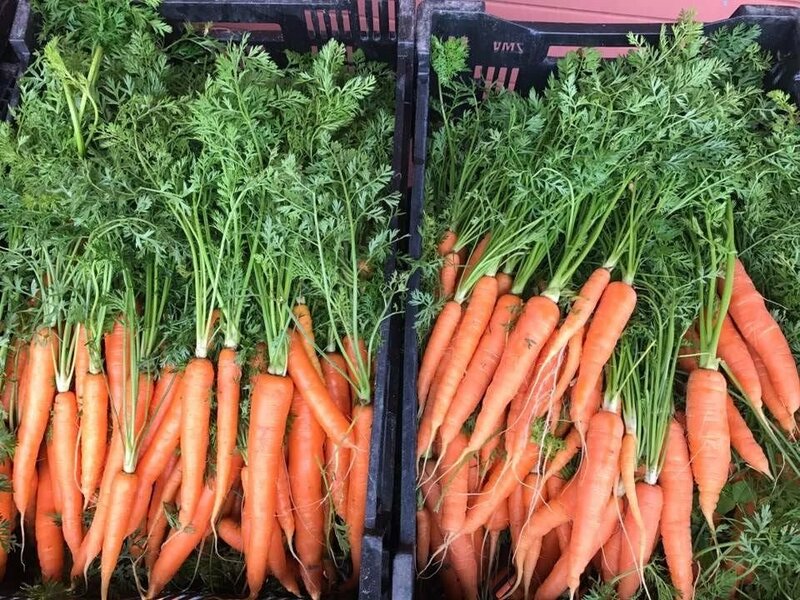 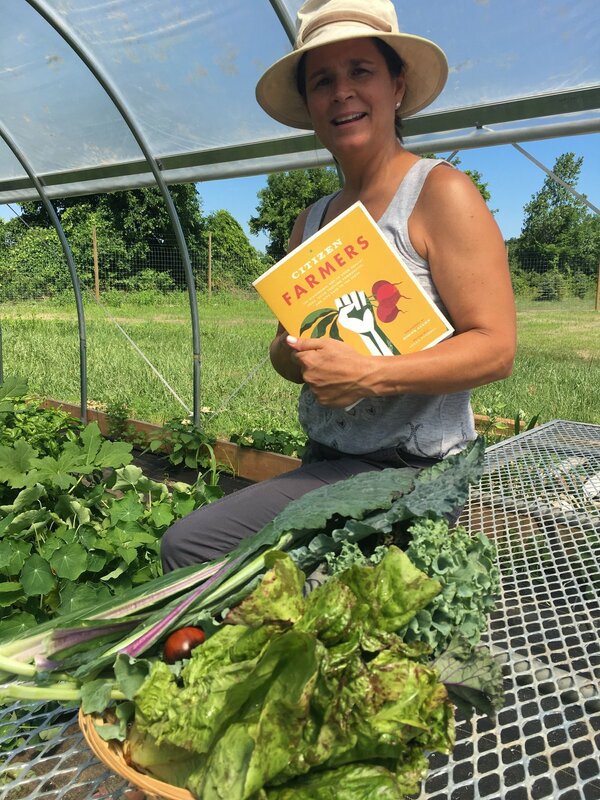 Farmer D while serving as Director of Coastal Roots Farm worked with the school district to help develop the farm and grew thousands of pounds of organic vegetables for the district school lunch program from 2015-2018. 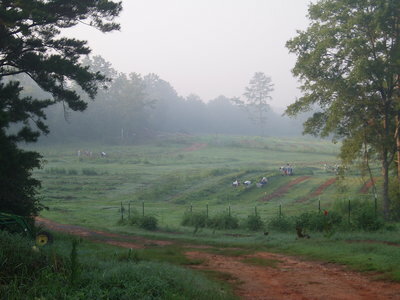 In 2018, the farm management contract was handed off to The Ecology Center. 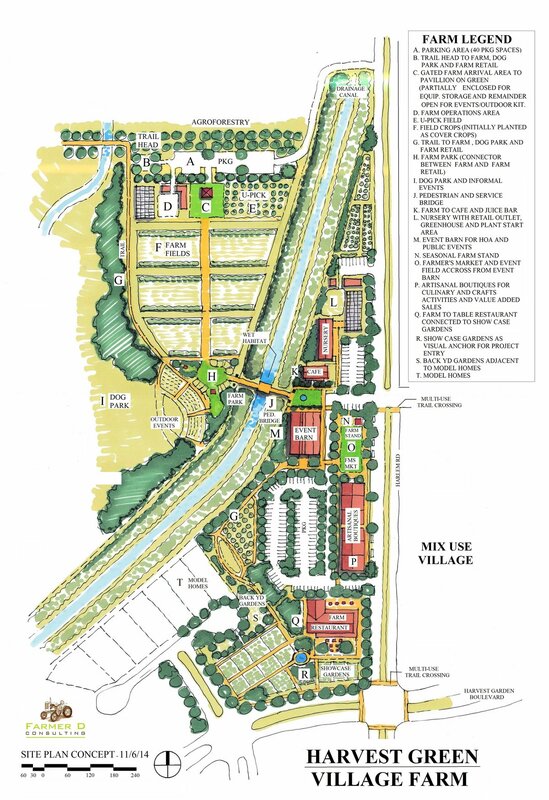 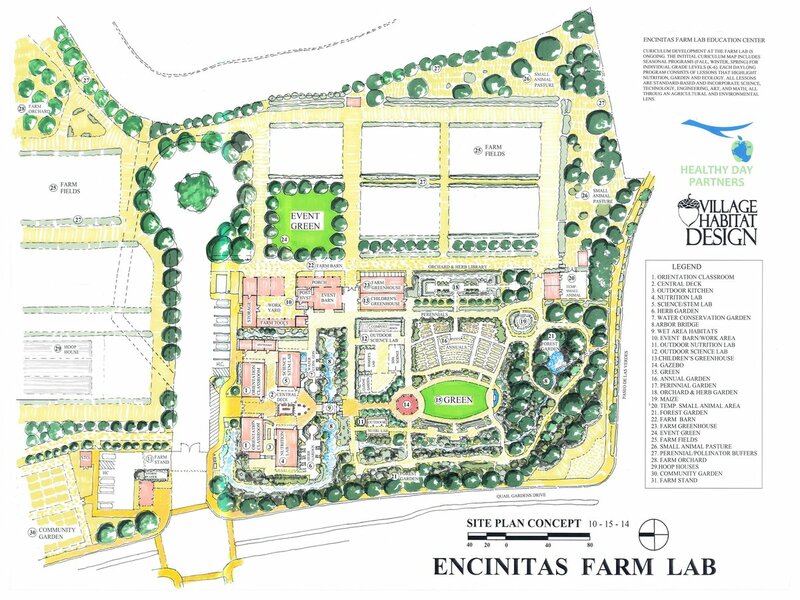 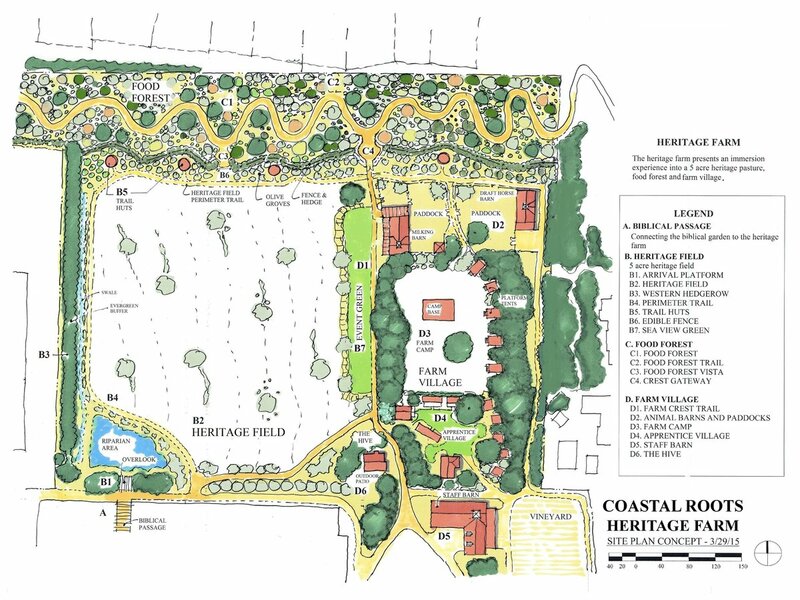 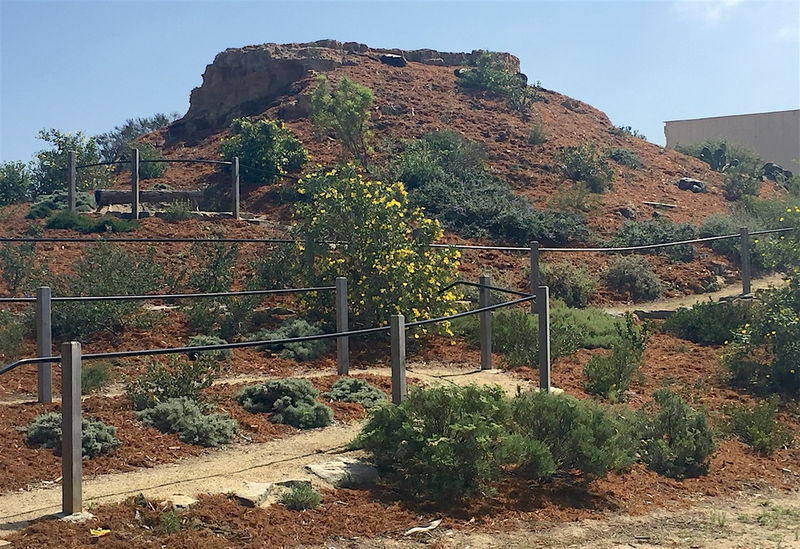 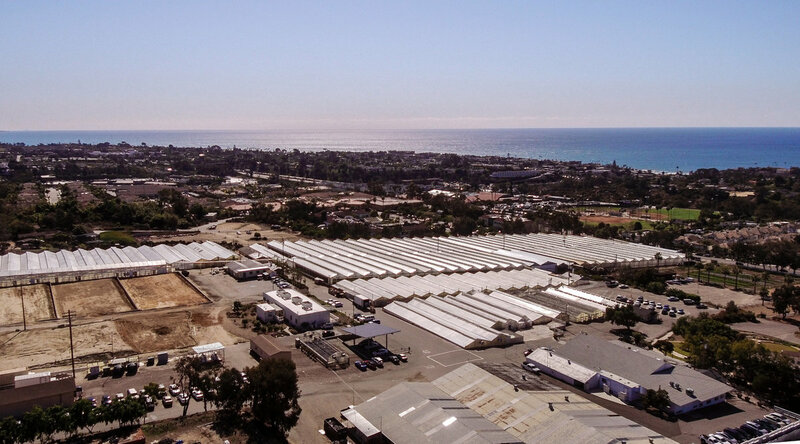 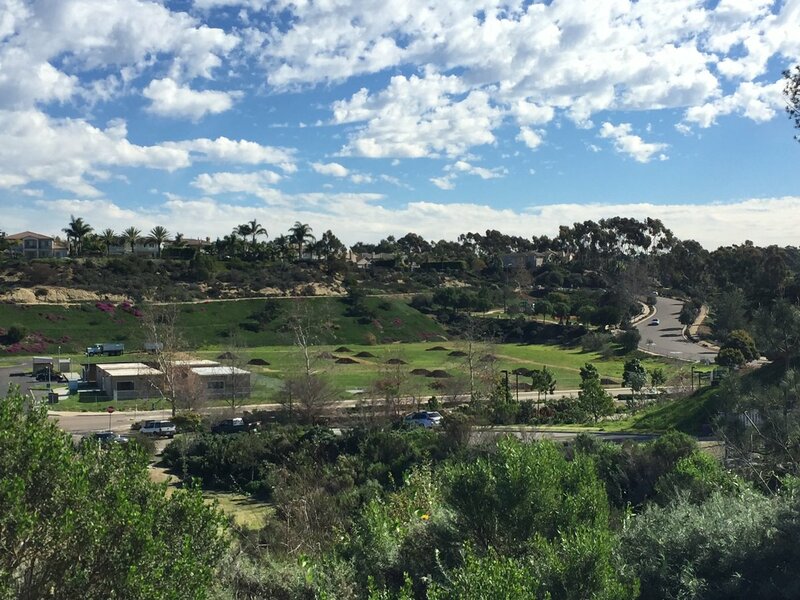 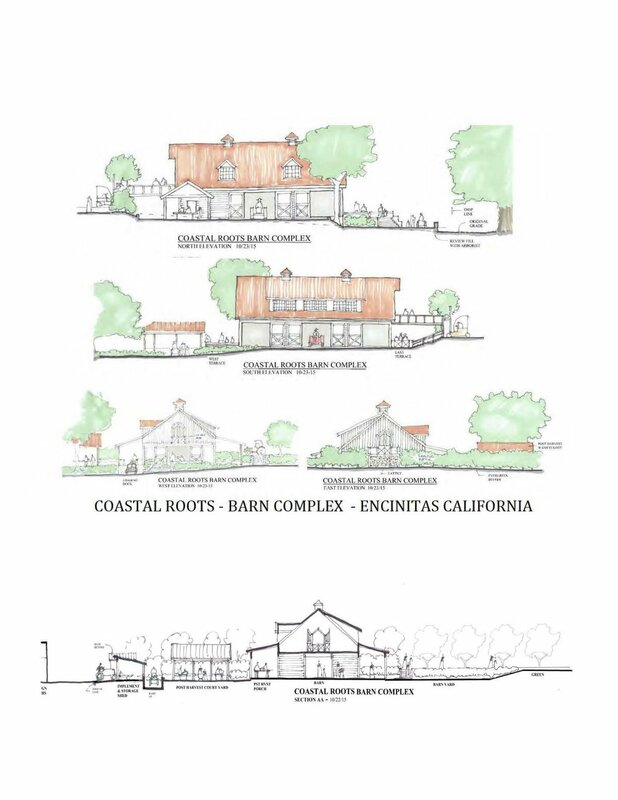 In 2013 Farmer D Consulting was hired by the Leichtag Foundation to lead a community visioning process to help develop a vision for the 67.5 acre Leichtag Commons property in the heart of Encinitas, CA. 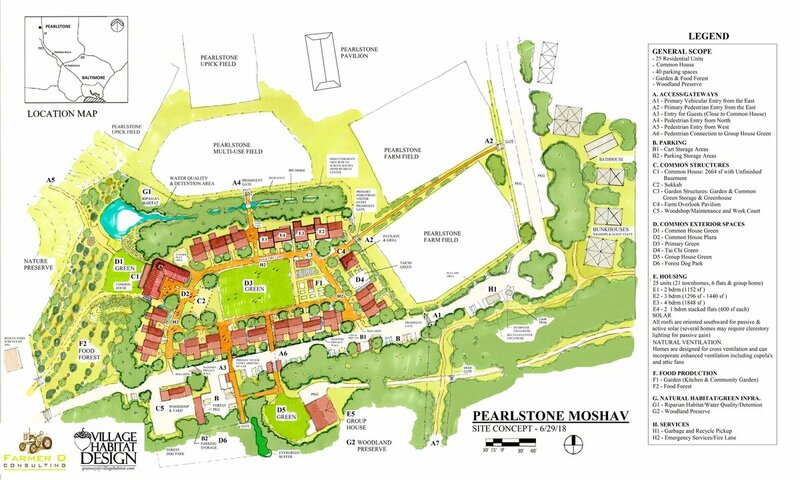 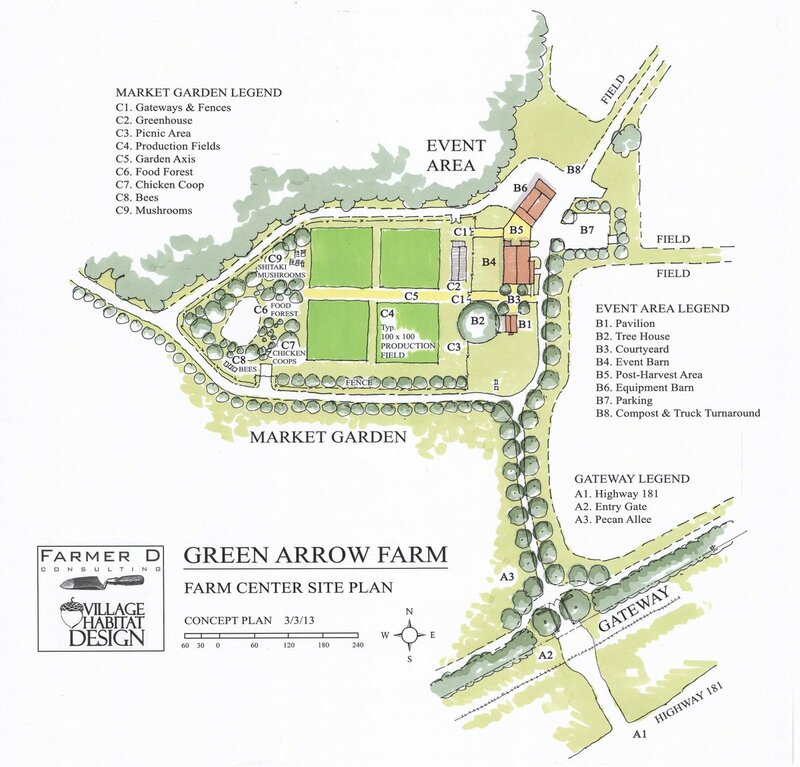 The initial concept plan developed by Farmer D Consulting included a Jewish community farm, Farm Worker Village, Ag Research Center, Co-Working Space, Commercial Greenhouses, Offices, Farm to Table Restaurant and Retreat Center. 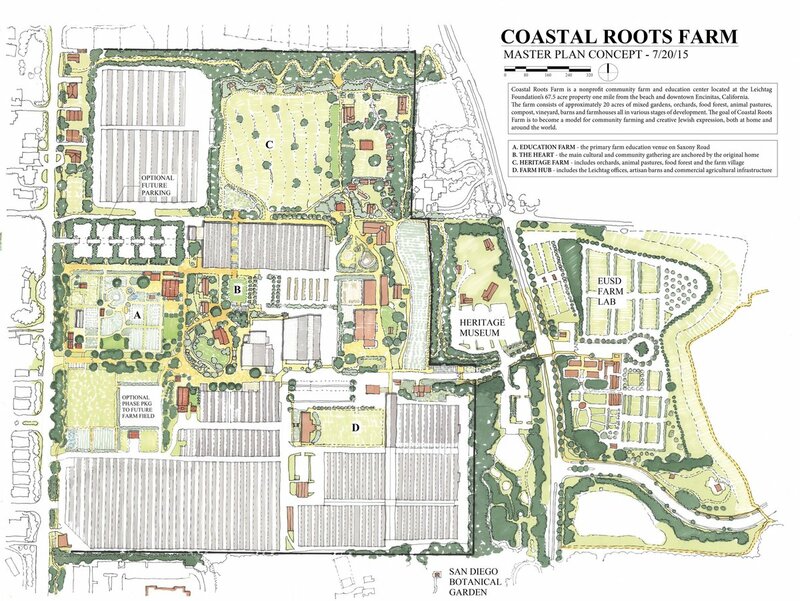 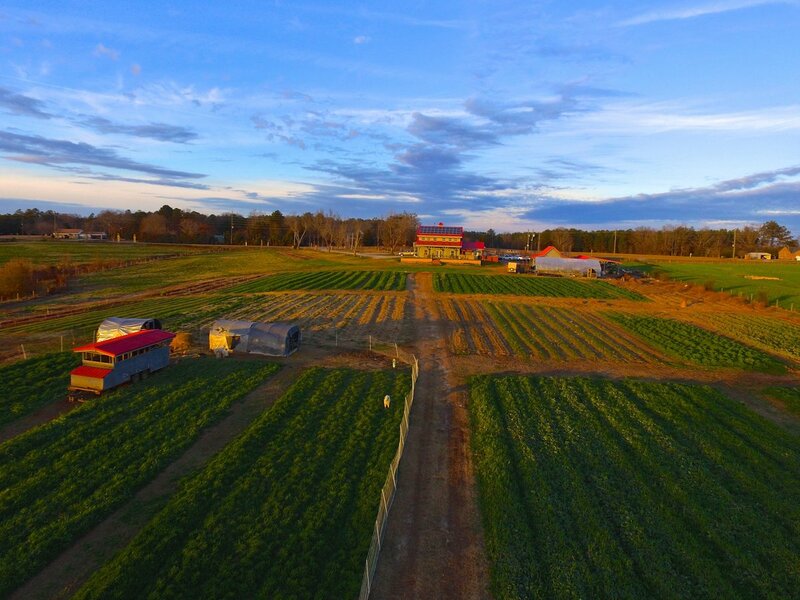 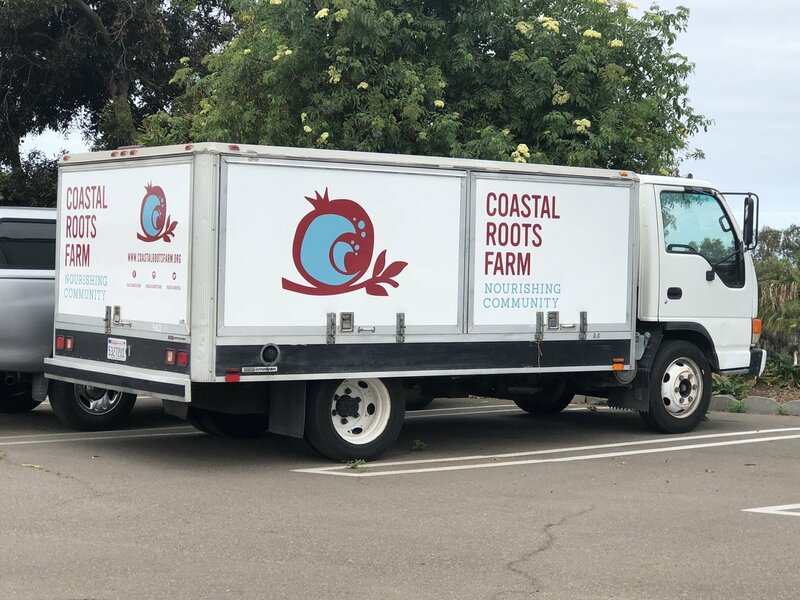 In 2014, Farmer D moved there with his family to implement the first phases of this vision focusing on the Jewish Community Farm called Coastal Roots. 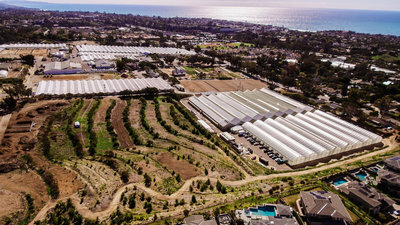 For the next five years Farmer D served as the Director of Agricultural Innovation and Development for Leichtag Foundation and helped further the vision while implementing several components including Coastal Roots Farm, The Farm House landscape, new commercial greenhouses, an Israeli Ag Innovation Hub and more. 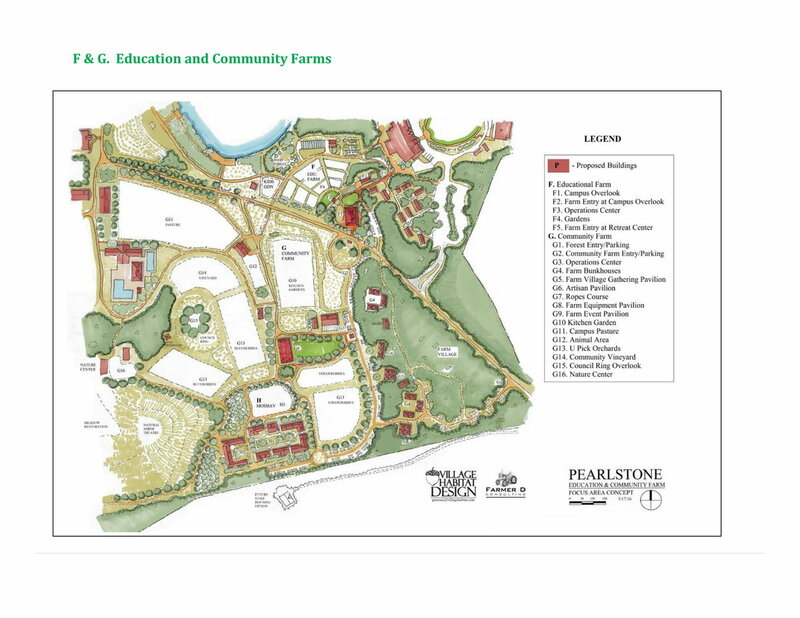 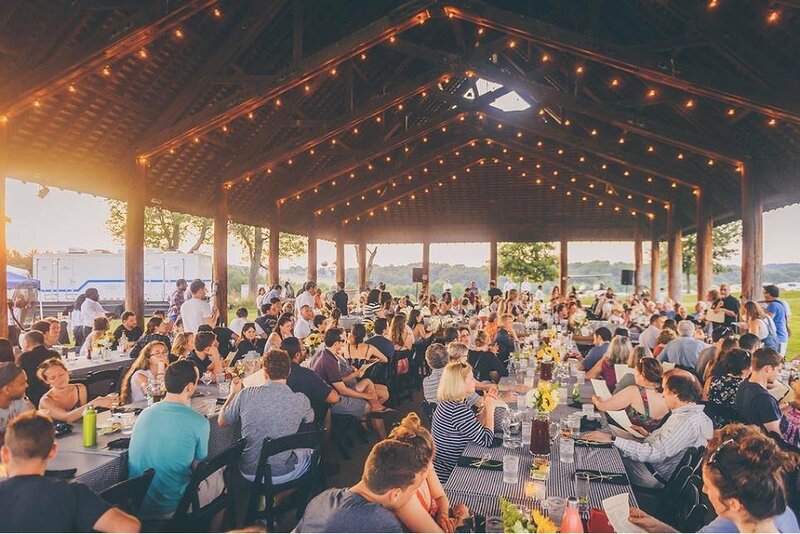 In 2015, Jakir Manela, the Executive Director of Pearlstone Retreat Center asked Farmer D Consulting to join their all-star master planning team as they began envisioning the future for this magnificent 180 acre campus. 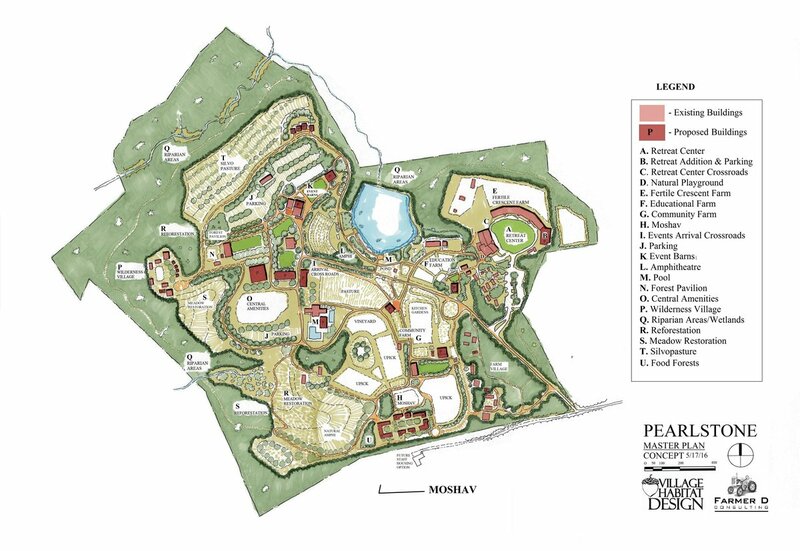 Farmer D Consulting worked closely with the consultants, staff and board to help craft a vision for the campus located in the beautiful rolling hills of Reisterstown, MD. 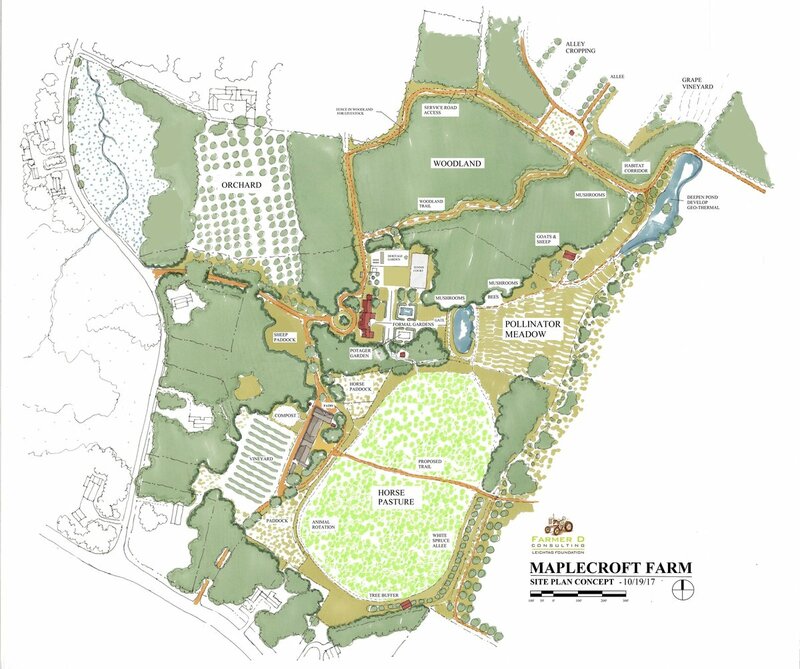 The long term vision is to steward the land with utmost respect by expanding the sustainable agriculture footprint and preserve and enhance the natural areas throughout the property. 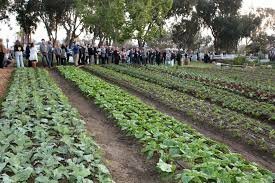 There is also a strong interest in building homes to grow a vibrant community rooted in the land and Jewish agrarian wisdom. 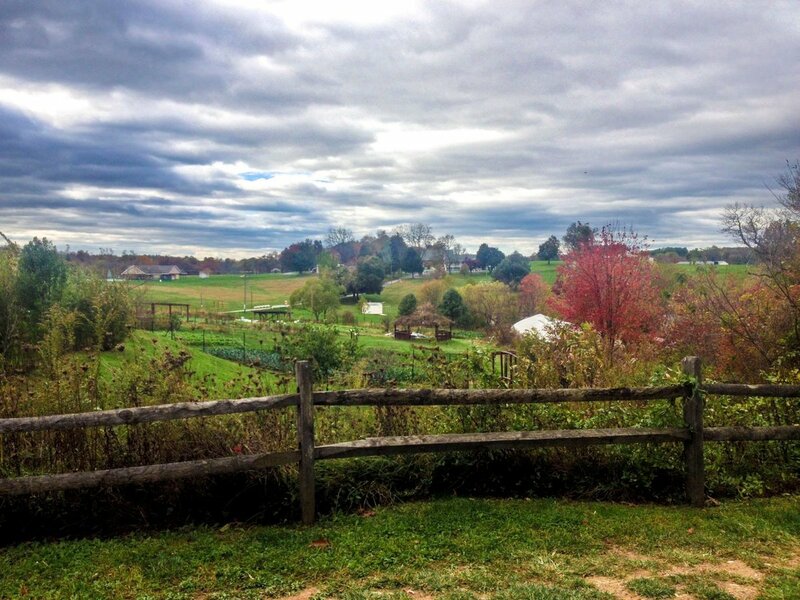 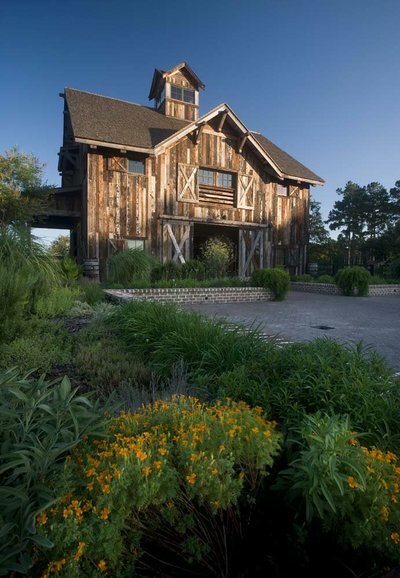 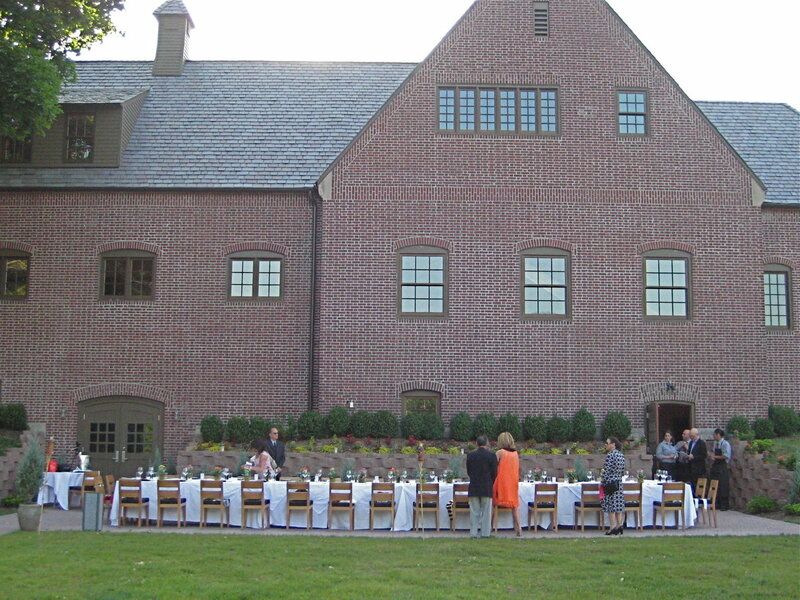 Pearlstone is a fabulous farm-based retreat and conference center. 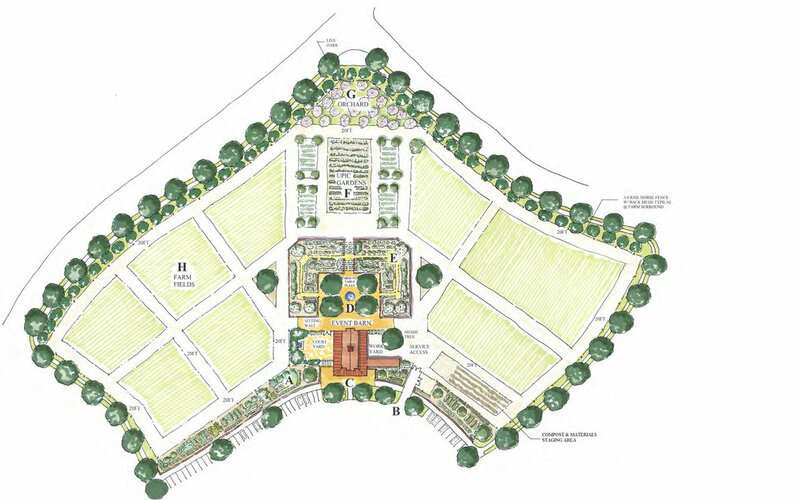 Farmer D was invited to join SEI, Southeast Engineering Inc, to compete for a bid with the City of Suwanee, GA to design a new 7 acre community garden just one mile from their new downtown CIty Hall. 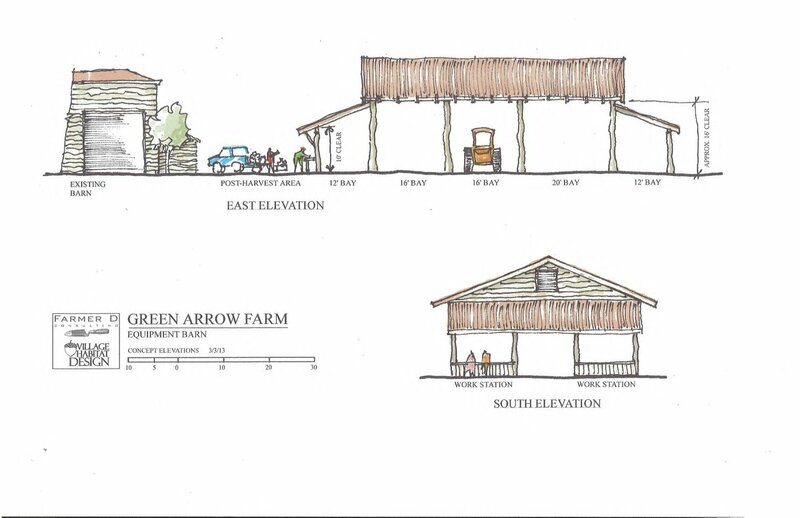 After a very competitive selection process, Farmer D and SEI were selected to lead the design process. 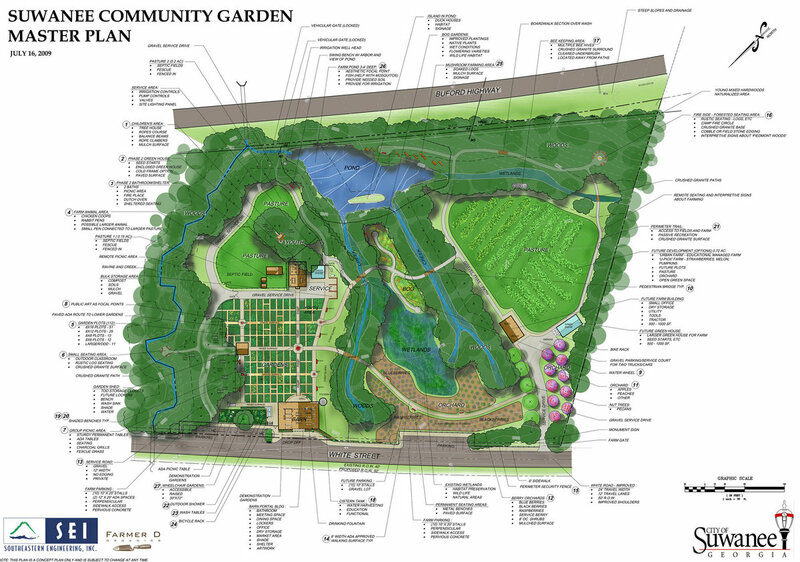 The final concept plan for this unique City owned community garden and park was the result of several community workshops including a bus trip where the whole community task force traveled to the American Community Garden Association National Conference in Columbus, Ohio. 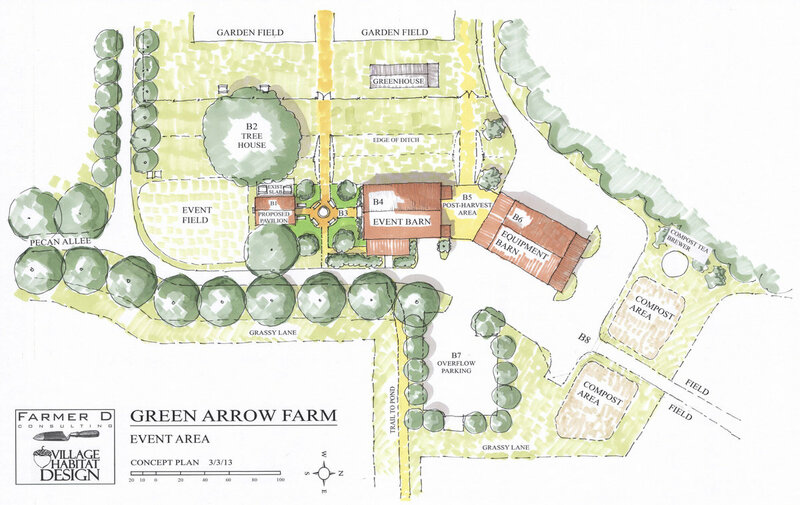 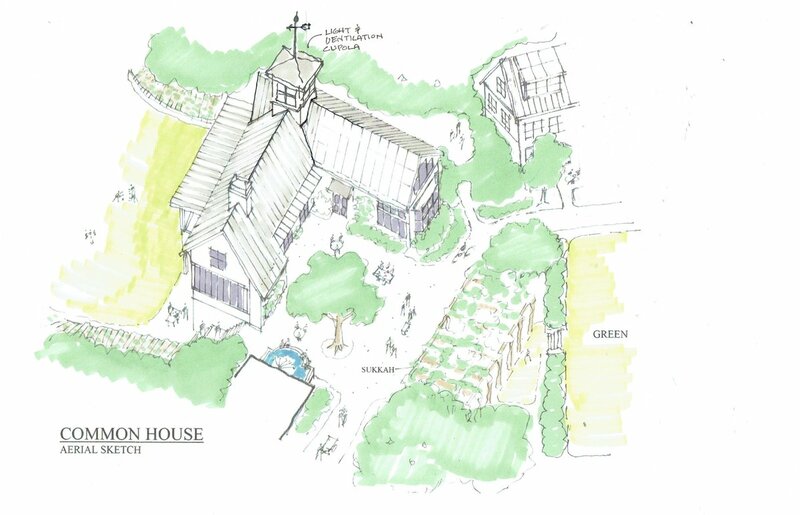 The plan included the renovation of the historic barn, pollinator and ADA accessible gardens, over 100 community plots, art sculptures, chicken coop, pick your own berry orchards and a pond with natural areas. 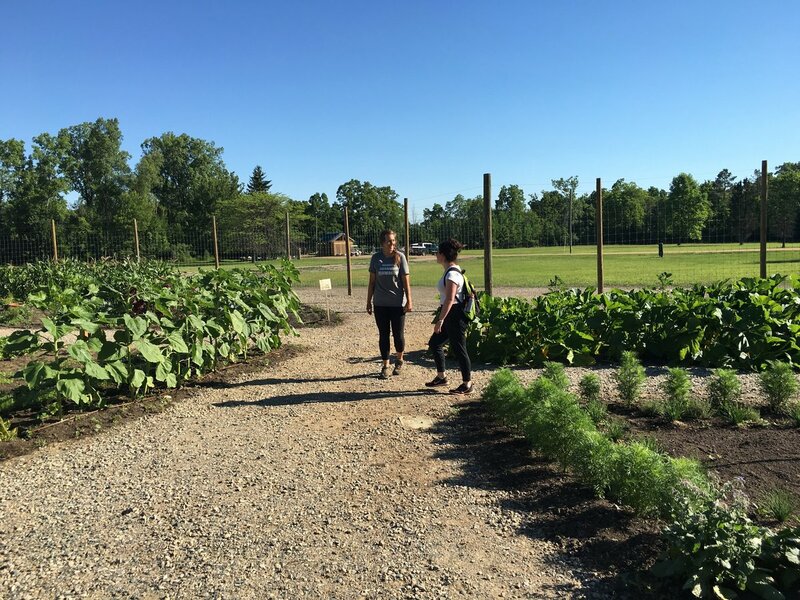 The garden has been a huge success and is one of the City's crown jewels. 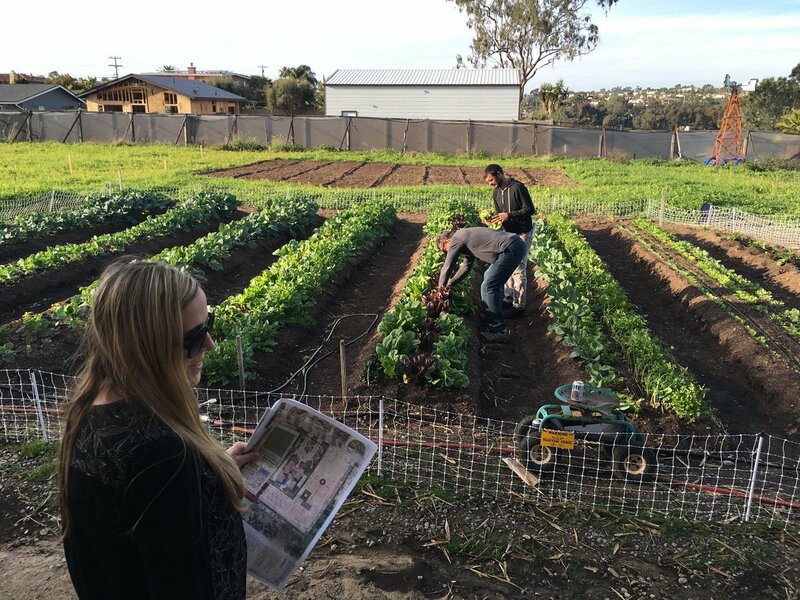 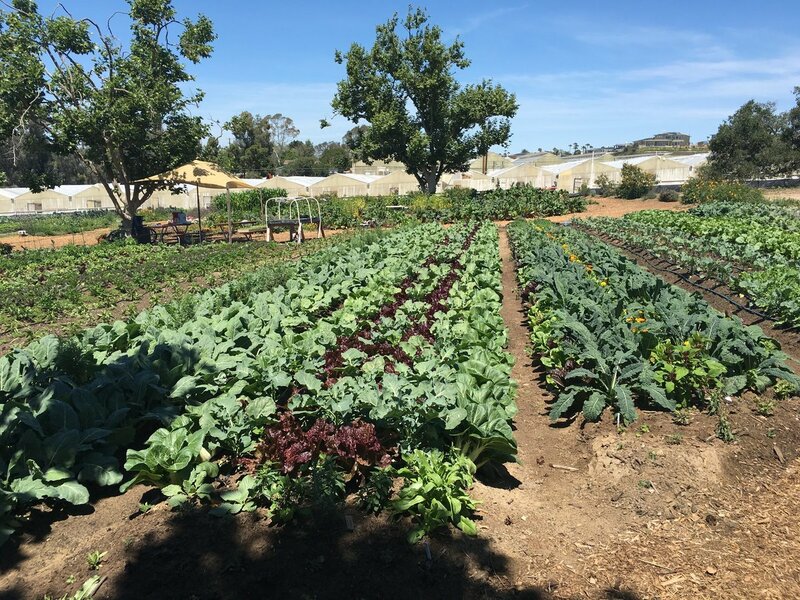 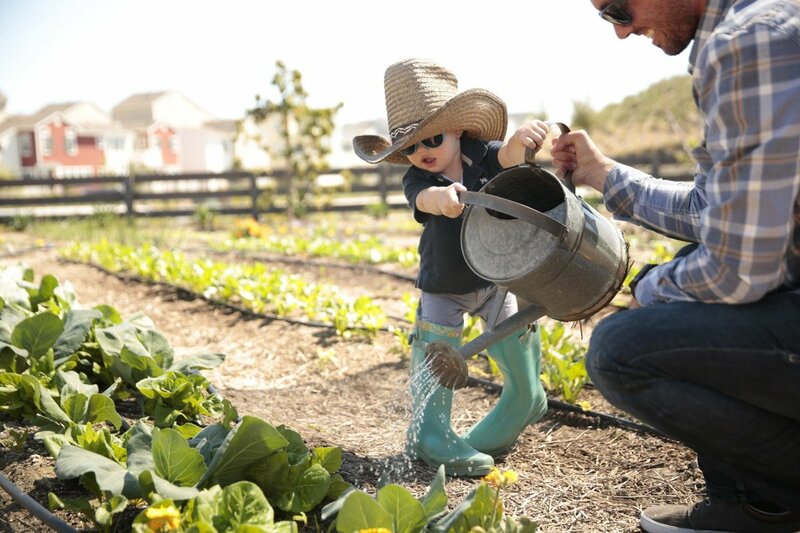 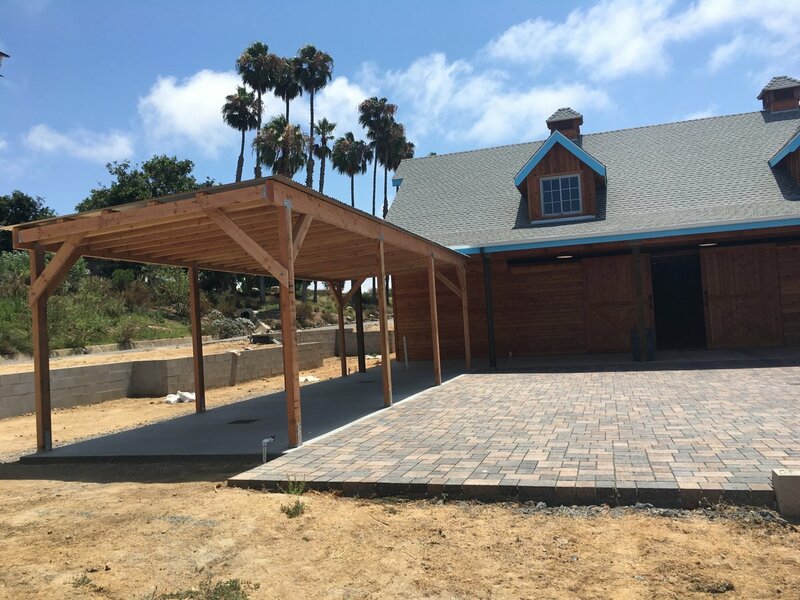 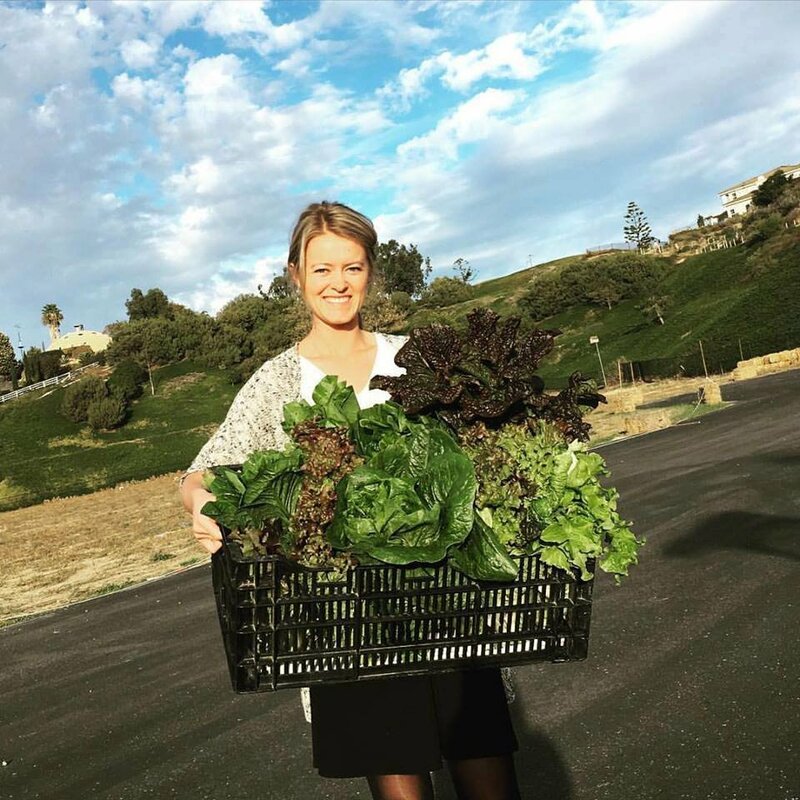 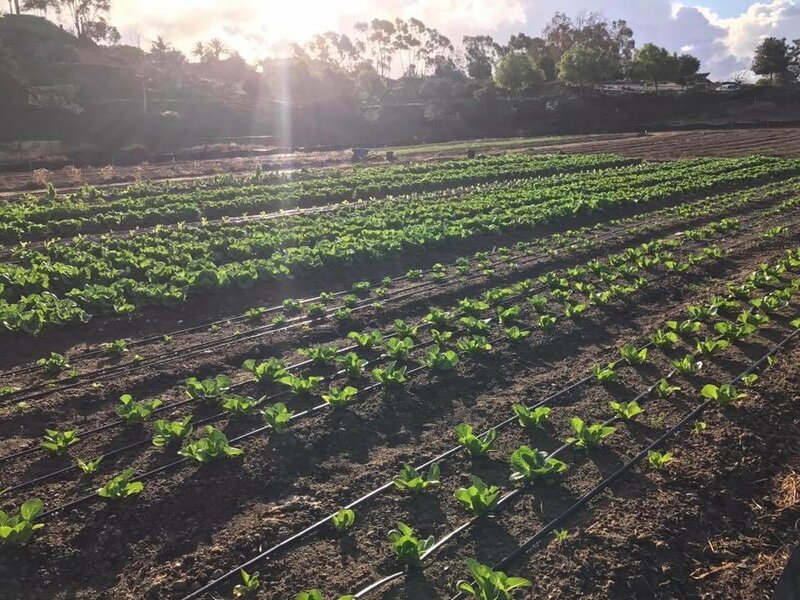 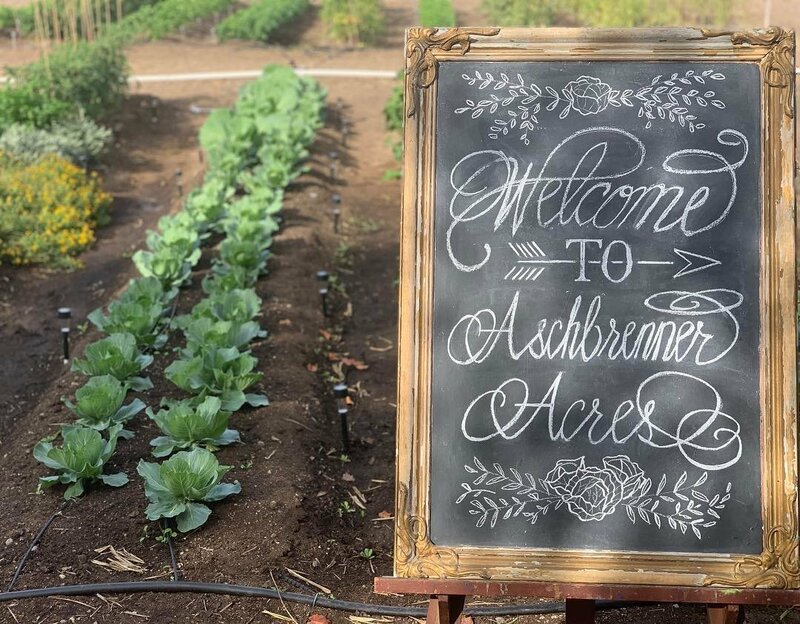 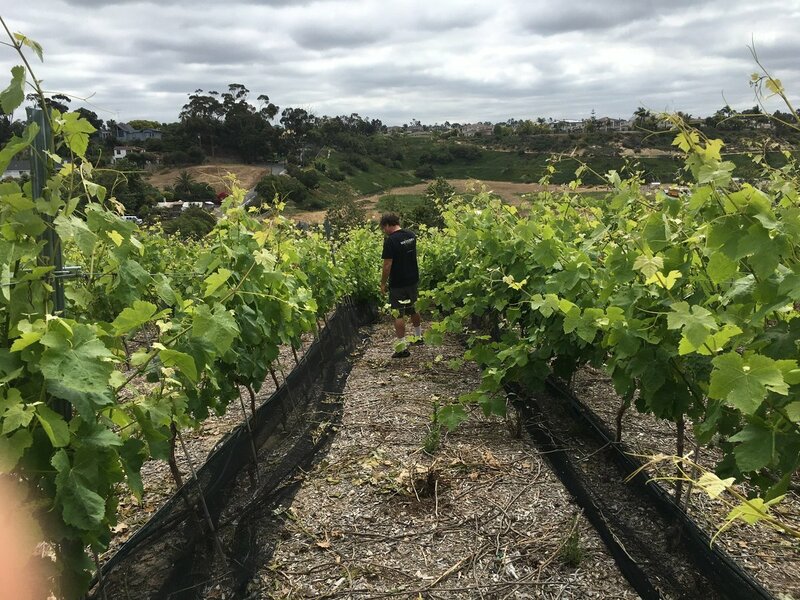 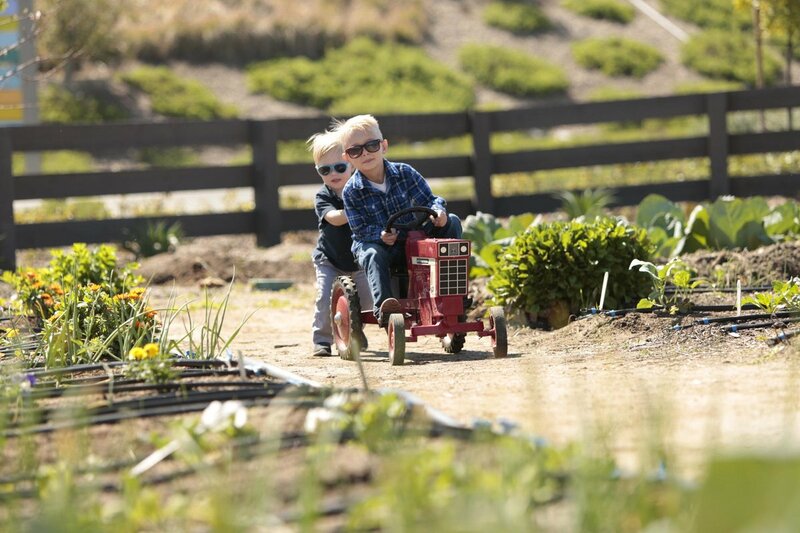 In 2017 the Aschbrenner Family hired Farmer D Consulting to help them develop a vision for their 3 acre urban farmstead in Encinitas, CA. 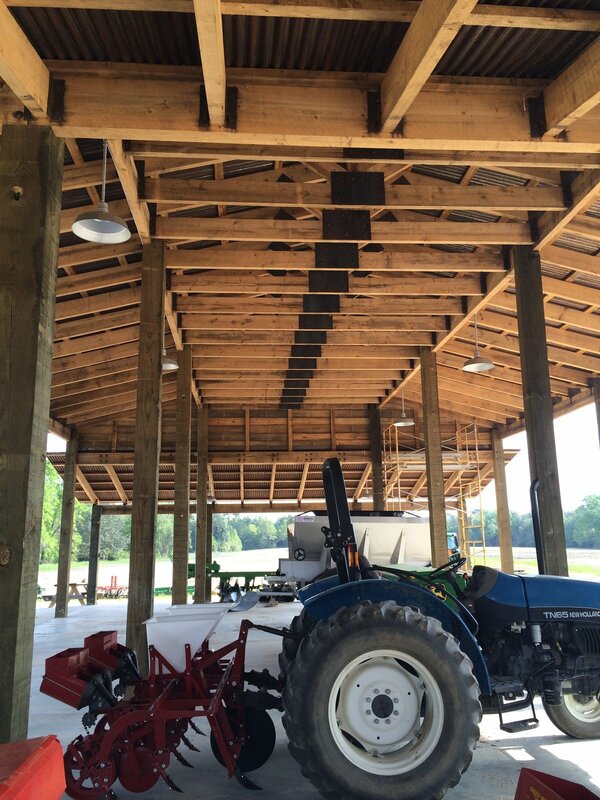 Their goals were to remove two acres of old wood greenhouses and install a large market garden, orchard, events area, modern greenhouse and more to honor the legacy of their farming roots. 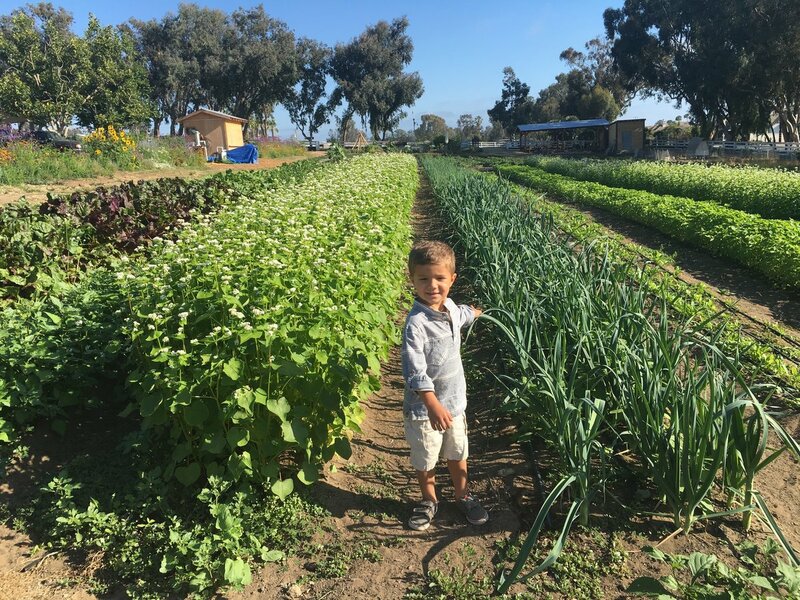 Gene, the patriarch of the family grew up on the farm in Encinitas and wanted to provide his children and grandchildren with similar experiences working the land and enjoying its bounty. 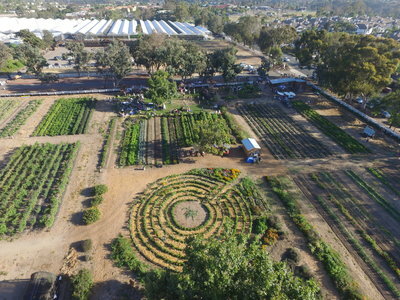 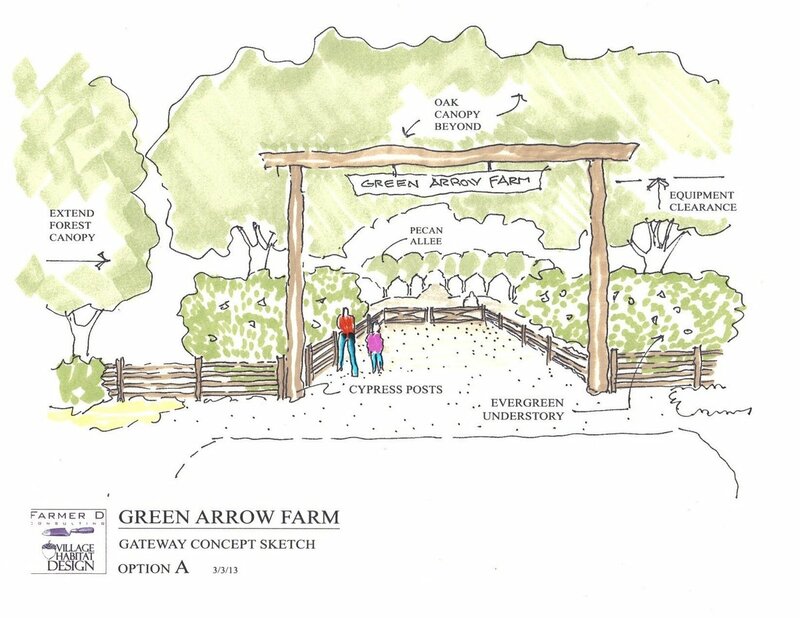 After developing a concept plan for the entire site, FDC helped implement the market garden, new greenhouse, post harvest wash area, orchard events area and food forest. 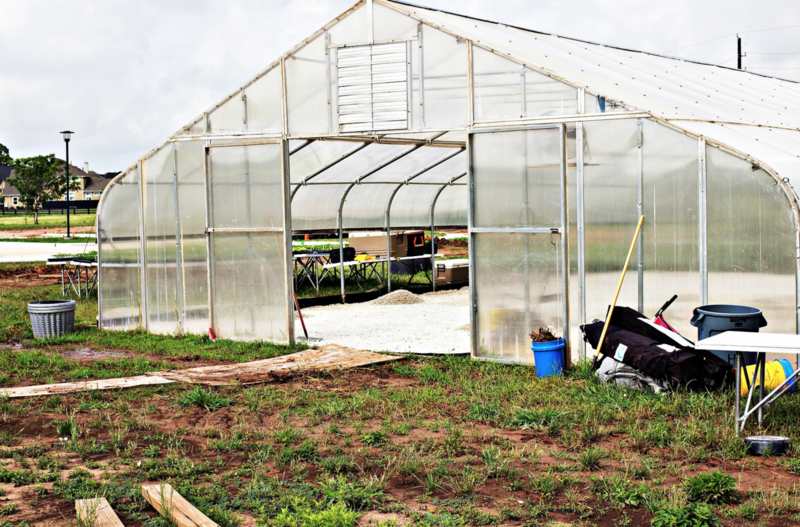 Farmer D introduced Gregory Reuschle of Wonderland Hydroponics to the family who is now operating the 10,000 square feet of greenhouse for tomato and cucumber production. 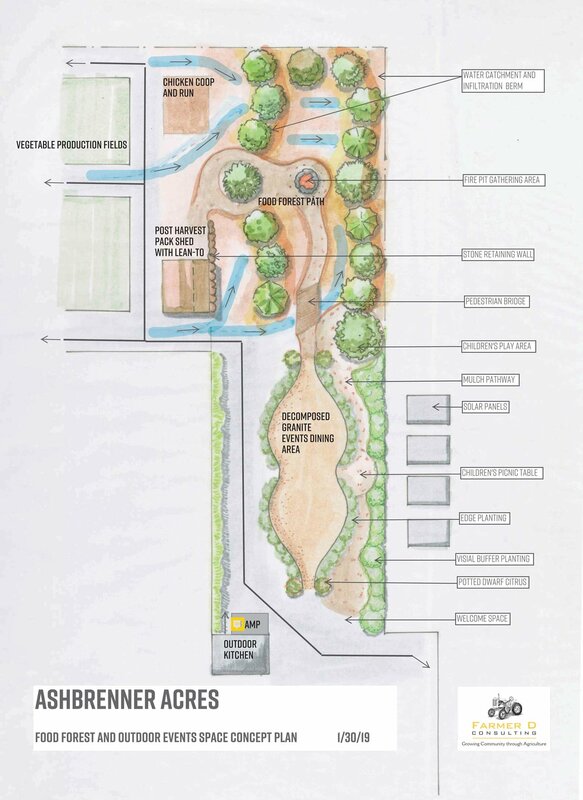 FDC continues to consult on design and management. 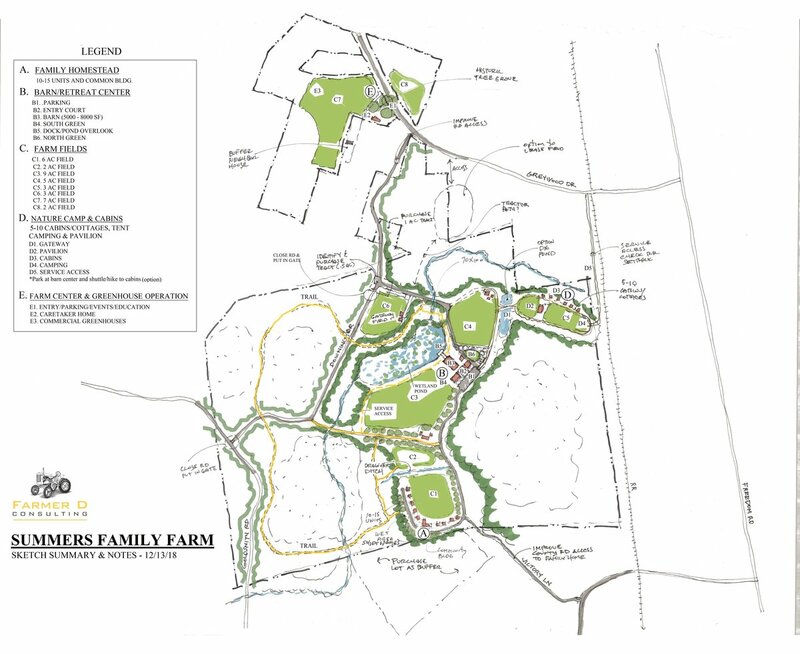 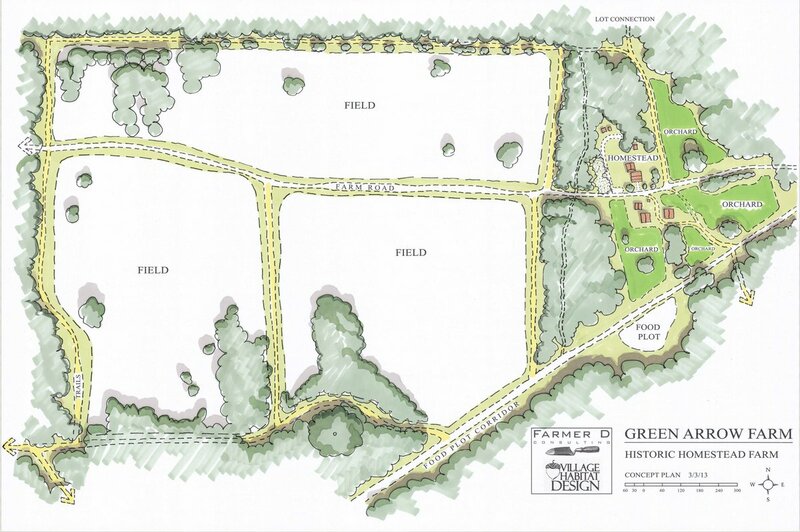 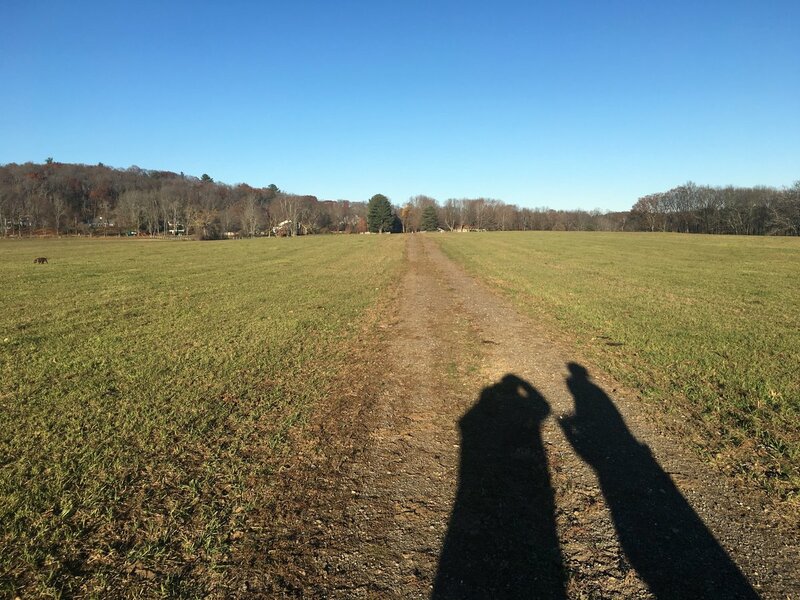 Farmer D Consulting was hired to help develop a vision and preliminary concept plan for a roughly 275 acre family farmstead in Ipswich, MA. 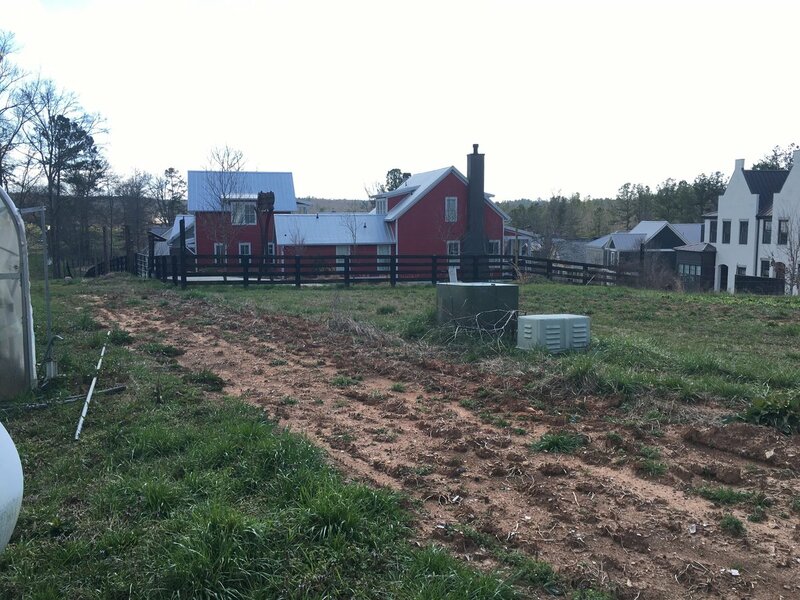 After doing an initial ag overlay for the overall property, FDC focused on the roughly 30 acre homestead property belonging to the Glosserman family. 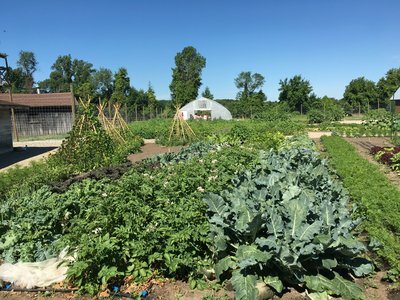 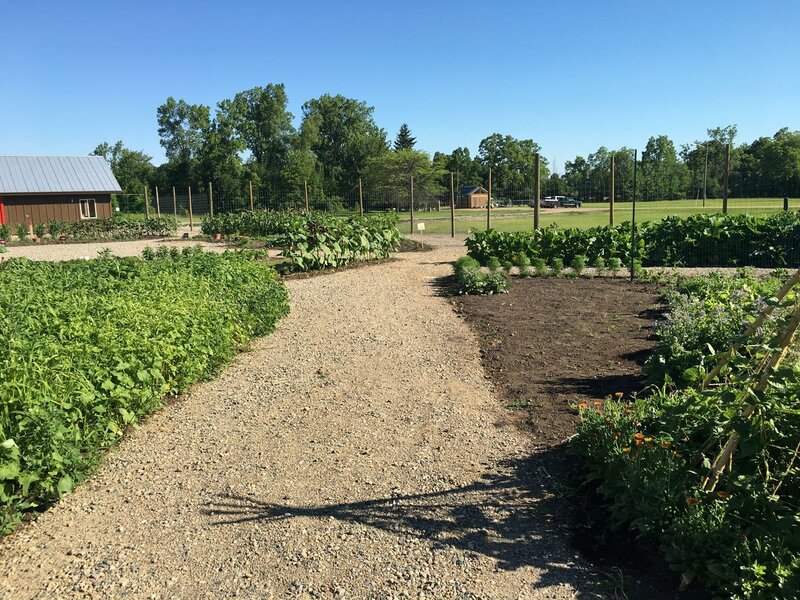 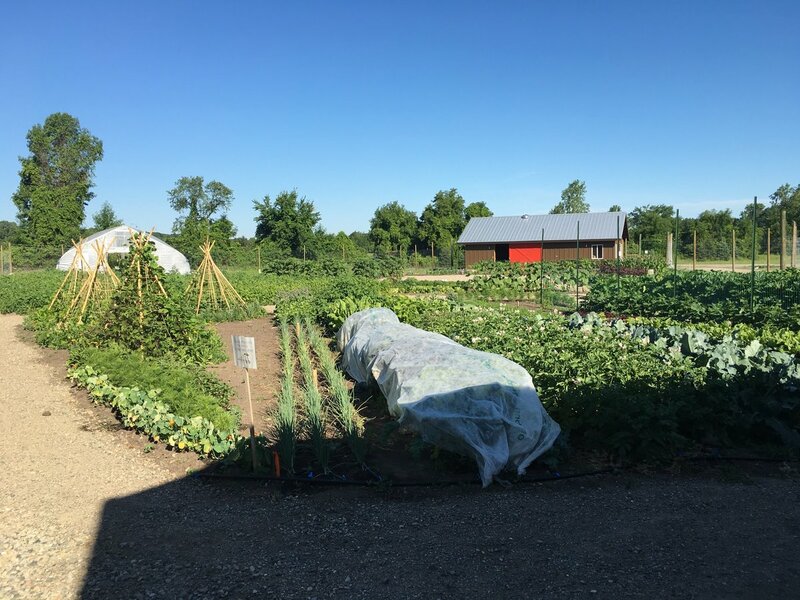 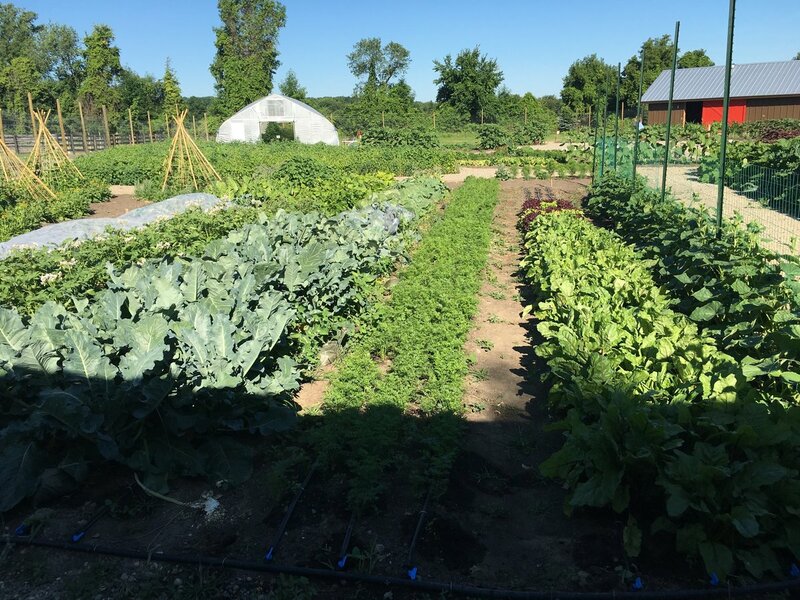 There is an amazing history of vegetable gardening on the property that goes back several decades with Albert Burrage who grew a garden here and wrote a book Burrage on Vegetables documenting his time gardening here on this property. 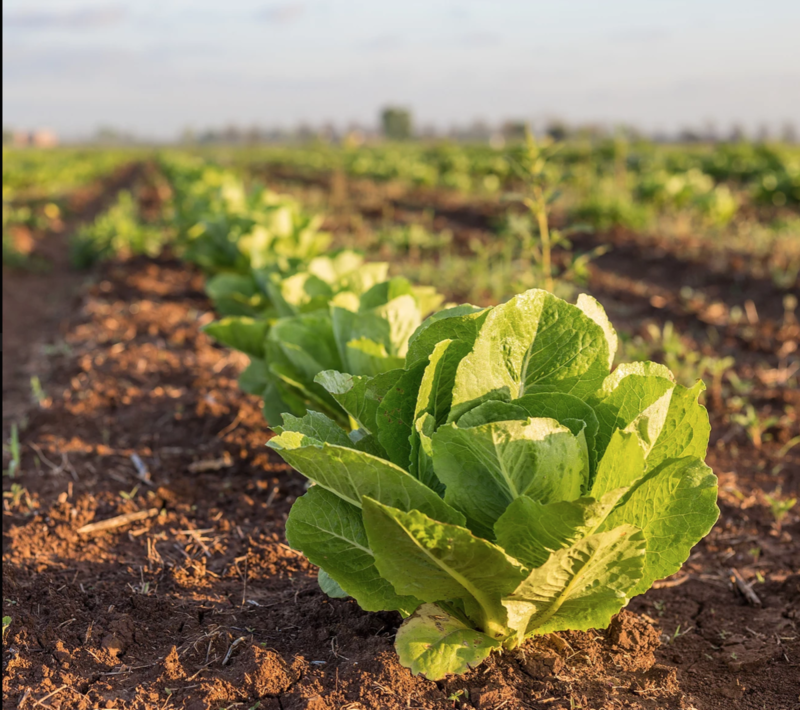 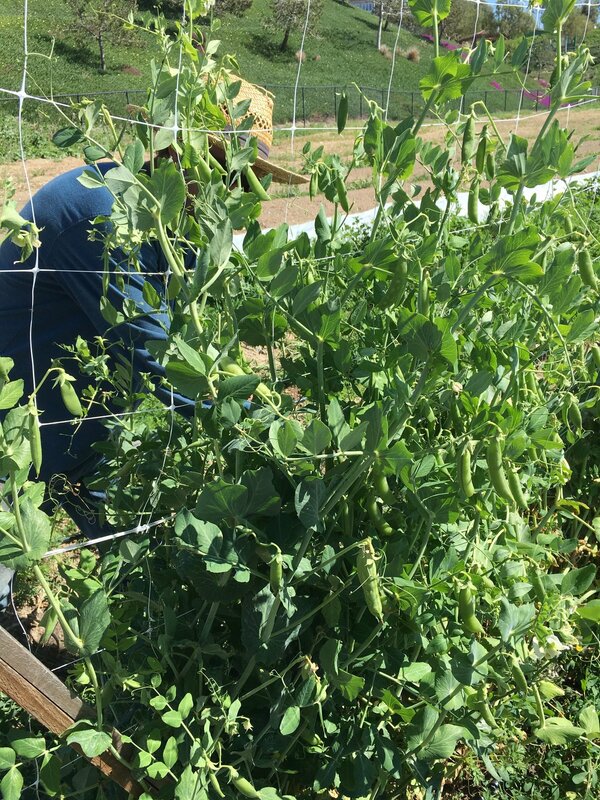 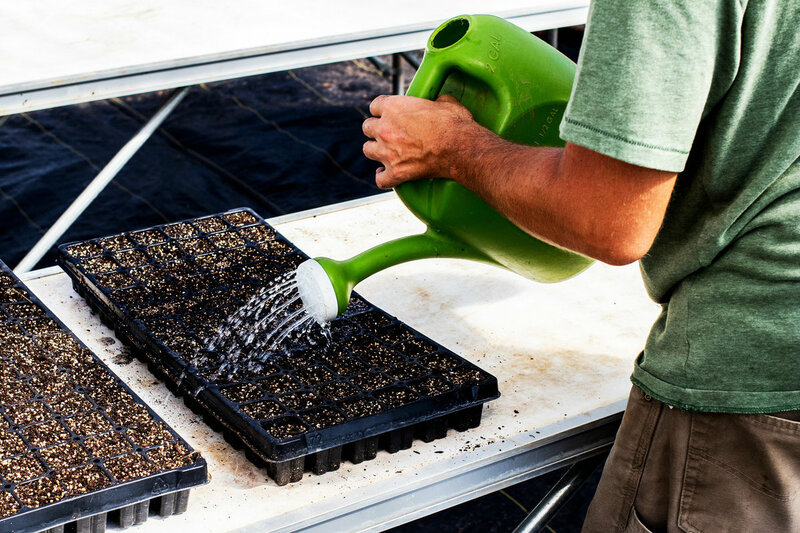 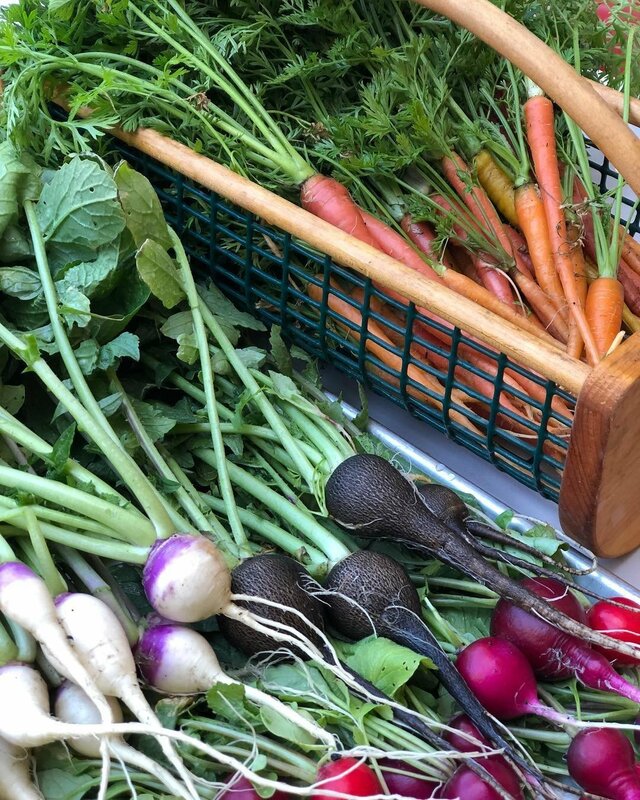 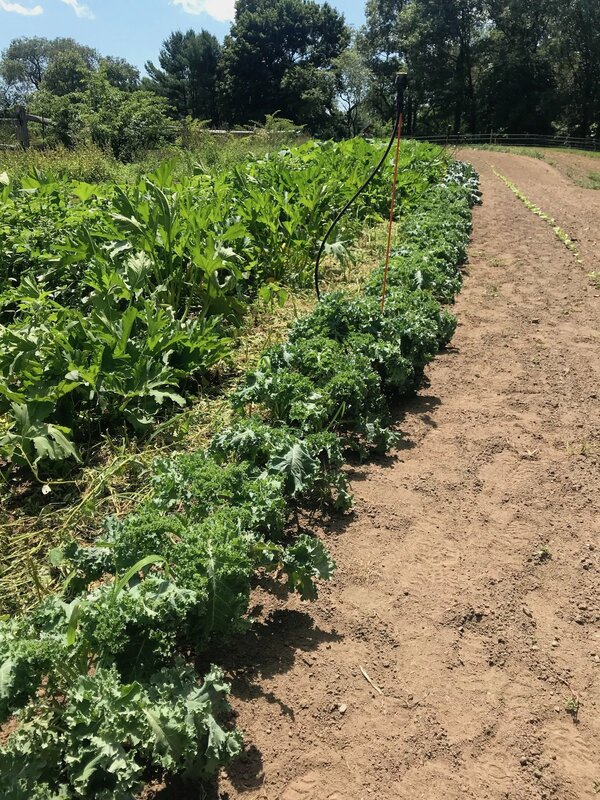 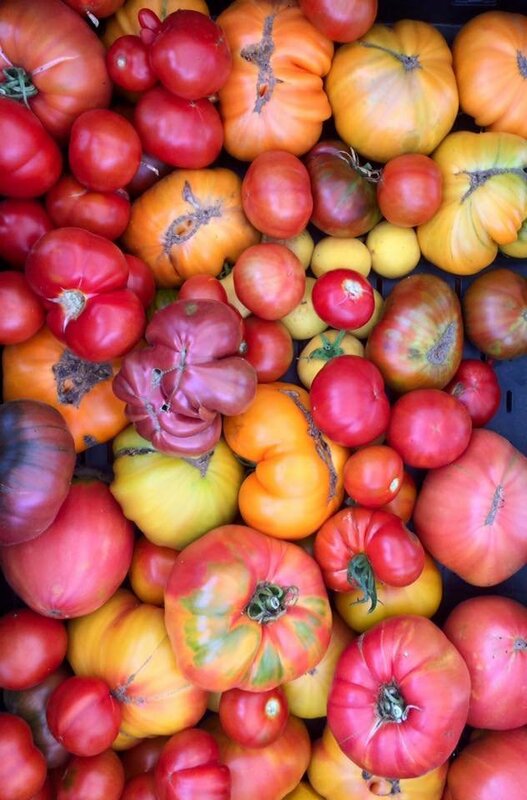 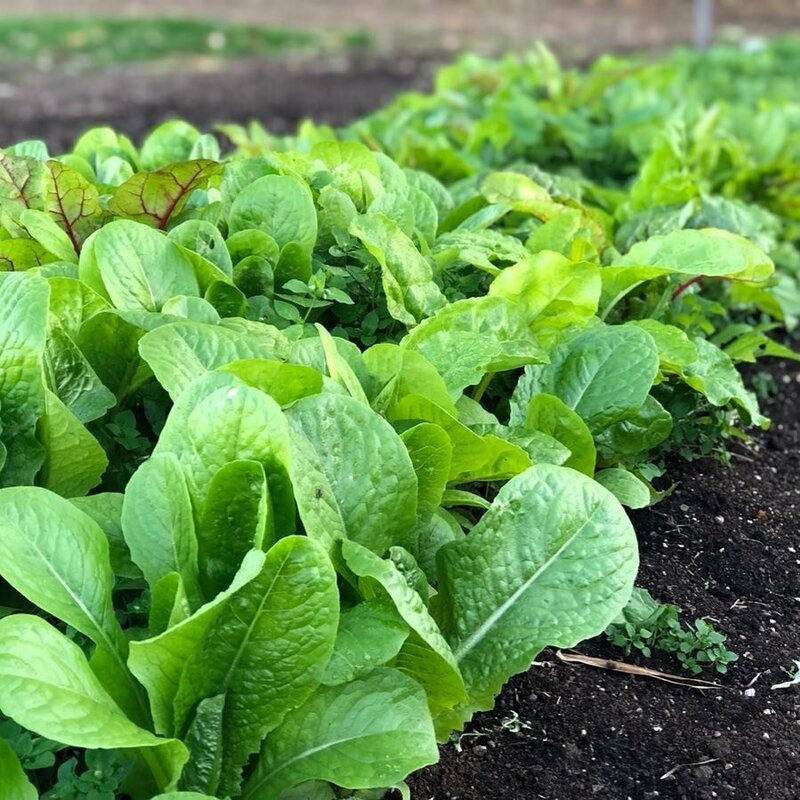 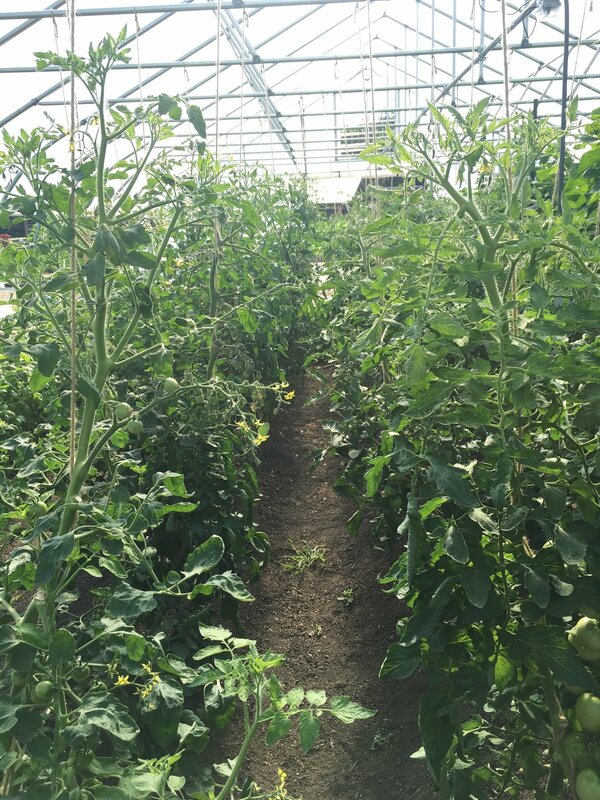 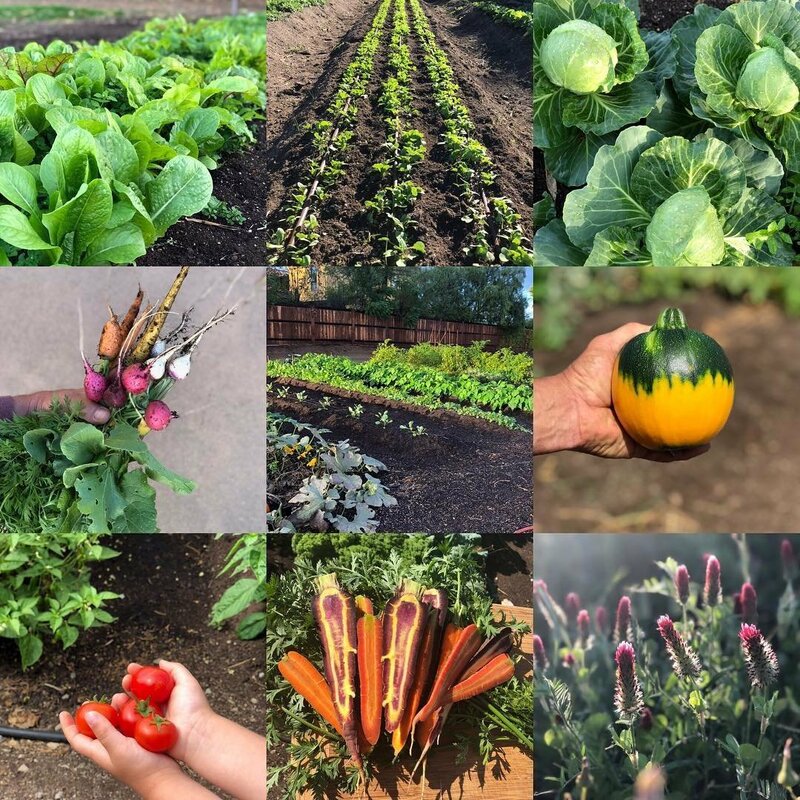 In that spirit, FDC helped the client develop a vegetable garden growing many of the original heirloom varieties that Burrage grew back in the day. 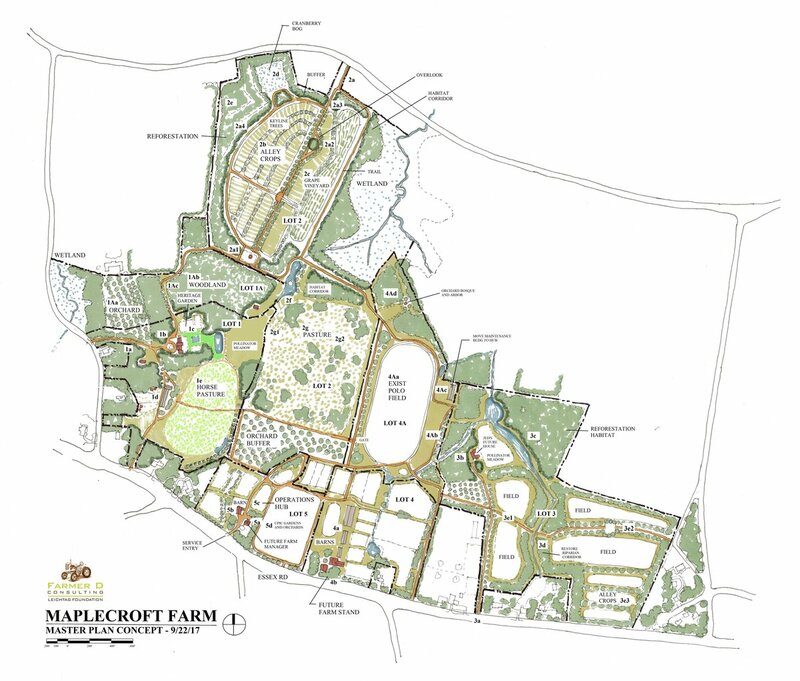 Future plans include key line silvopasture, expanded vegetable production and additional orchards and animals. 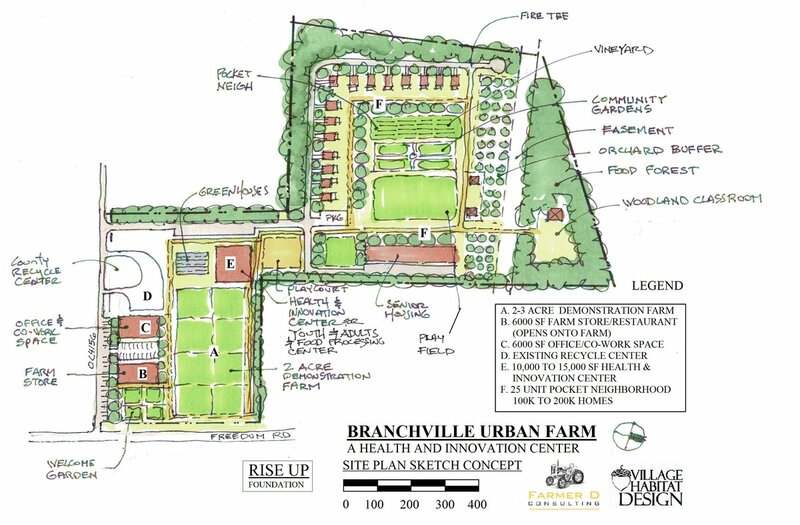 Farmer D Consulting was hired to help develop a vision and site plan for how the Summers family farm could be reimagined as a nexus for technology, agriculture and basketball to help youth in the Branchville community Rise Up and find a career path. 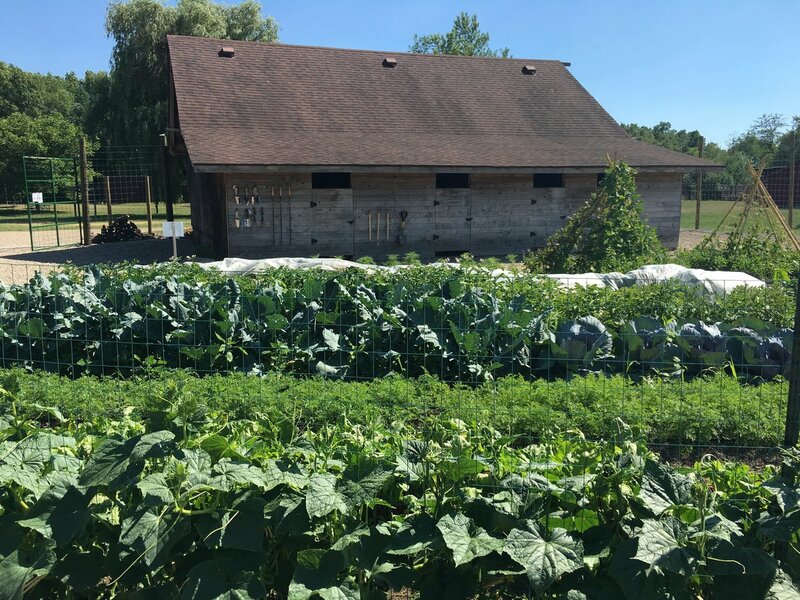 The inspiration for the project comes from Kevin Summers deep roots in the community where his father and grandfather both farmed and sold vegetables there. 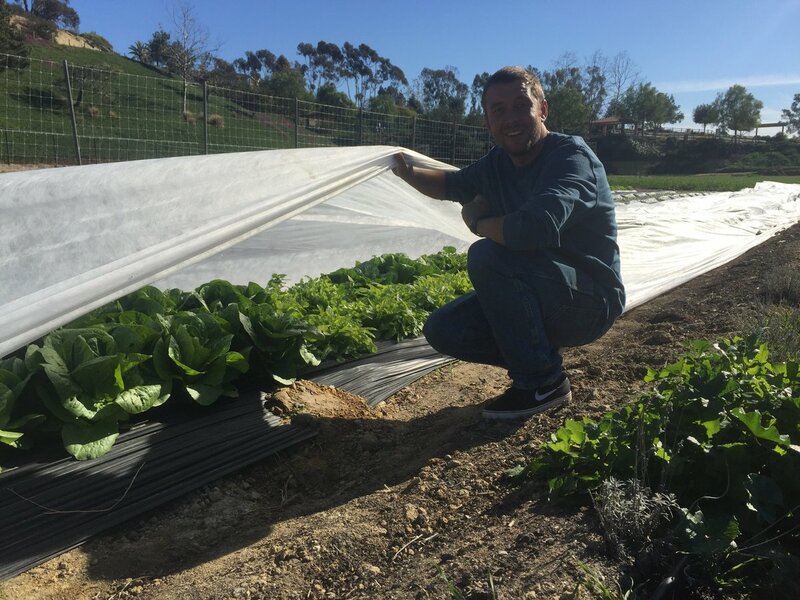 Kevin received a basketball scholarship and became a successful chief technology officer for several Fortune 500 companies before realizing he wanted to go back to the family farm to help make a difference in the community where he grew up. FDC is helping to develop the vision, concept plans and farm plan which will include hemp, produce and focus on education, health, technology and economic development.